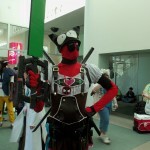 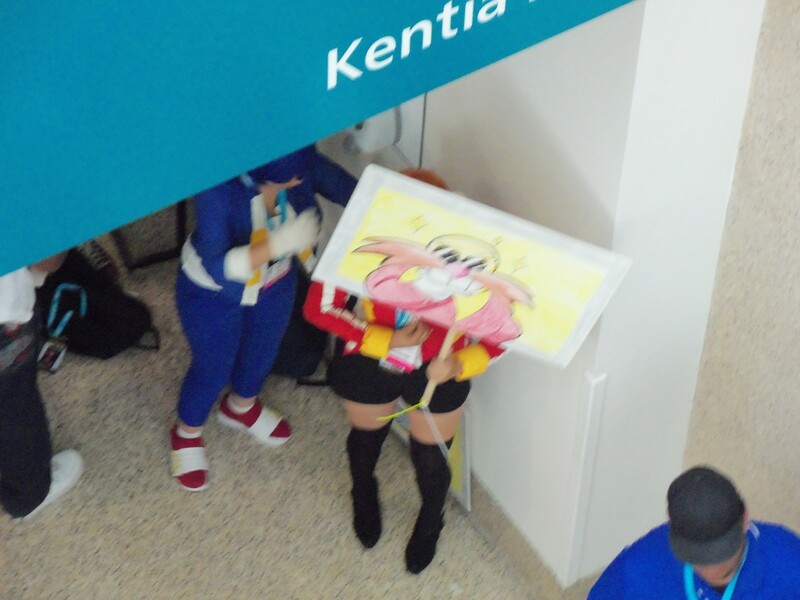 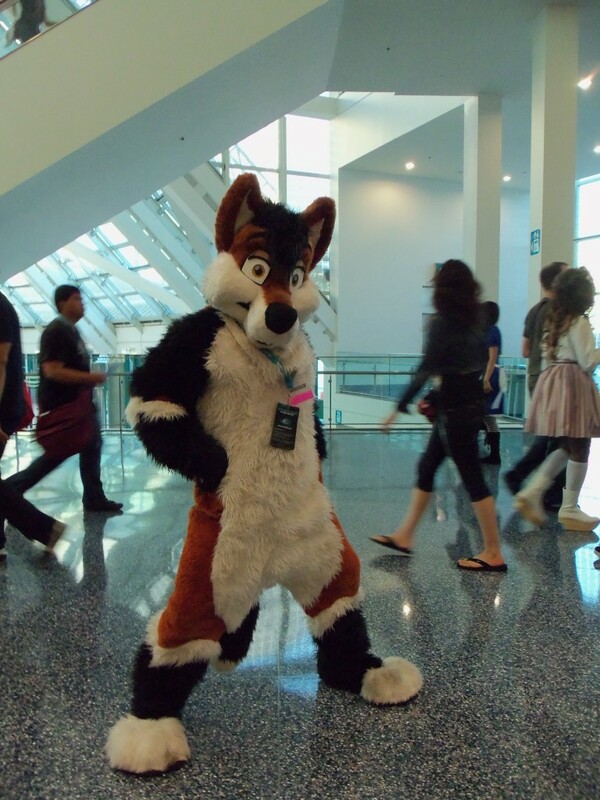 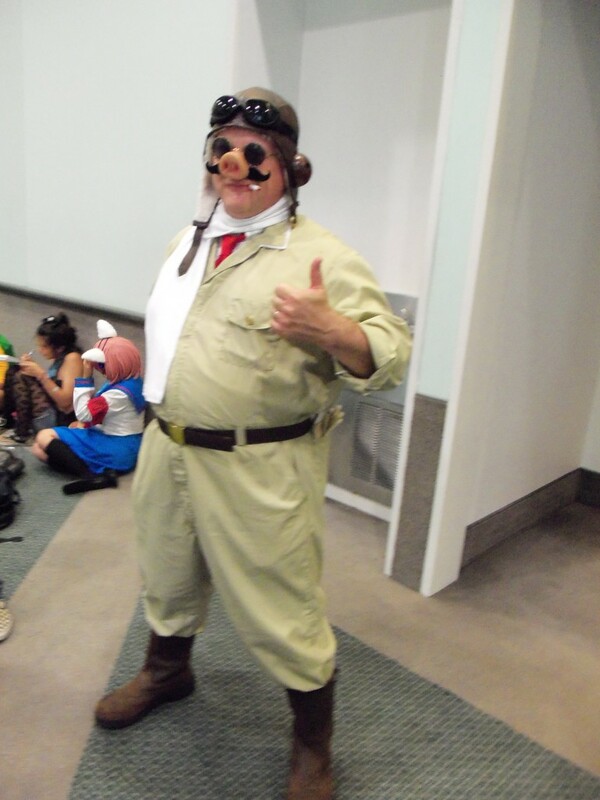 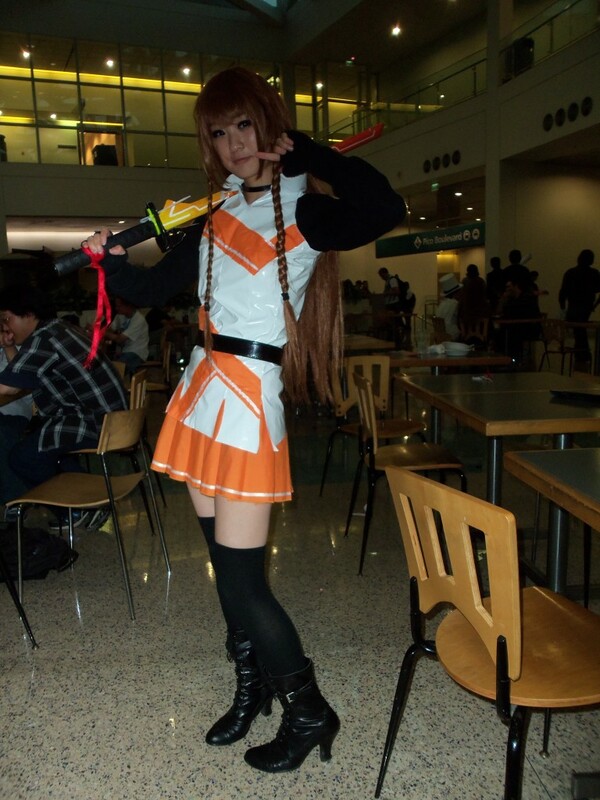 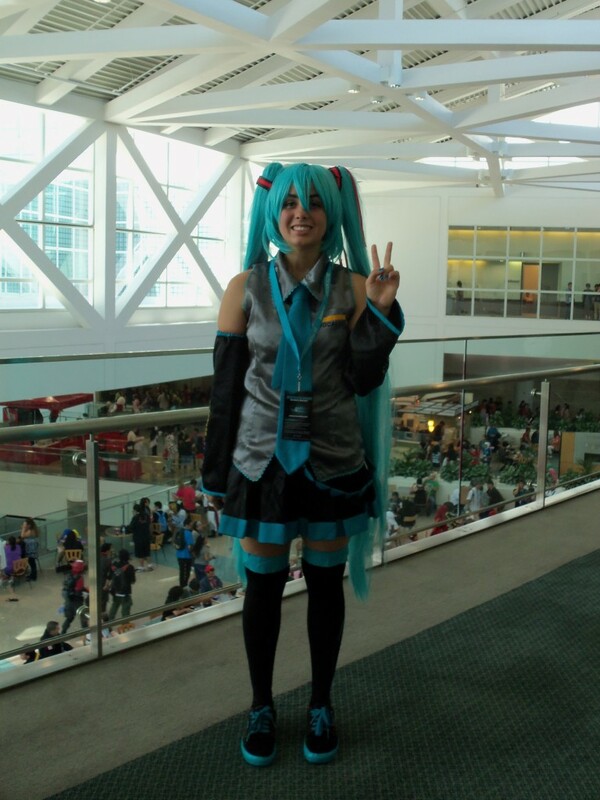 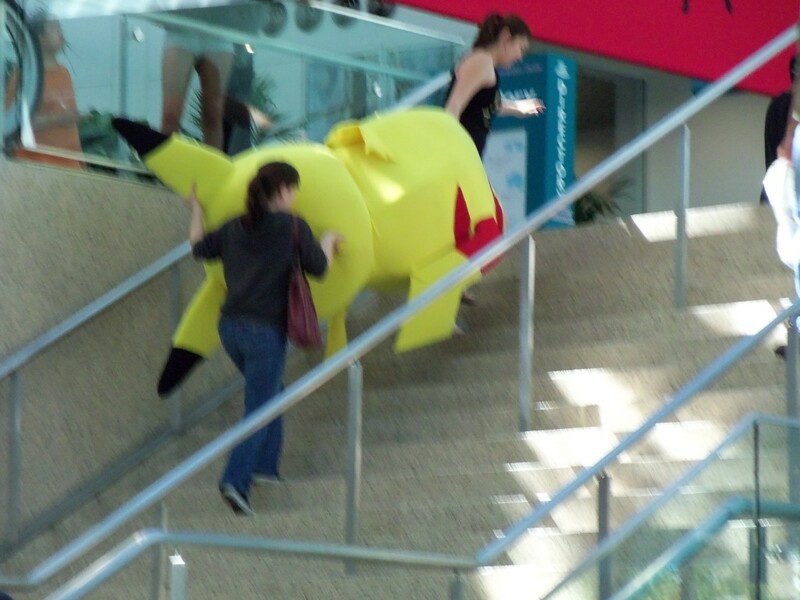 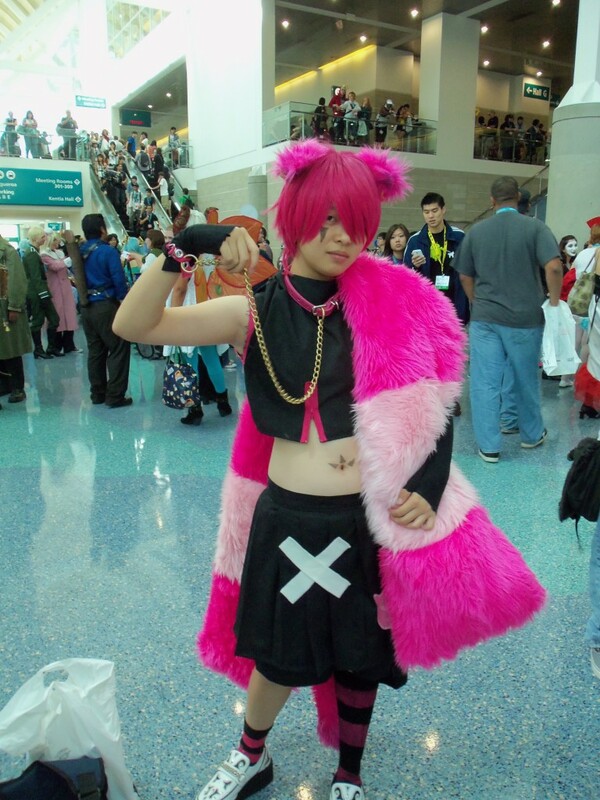 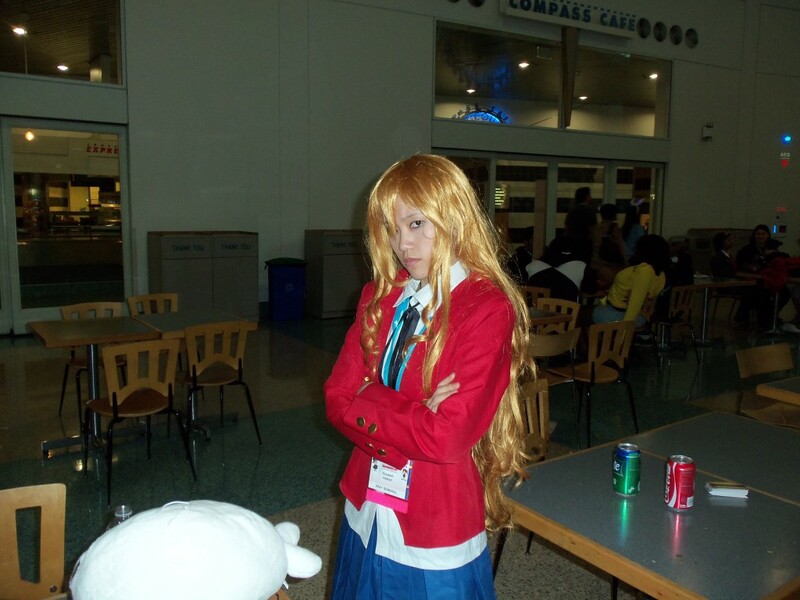 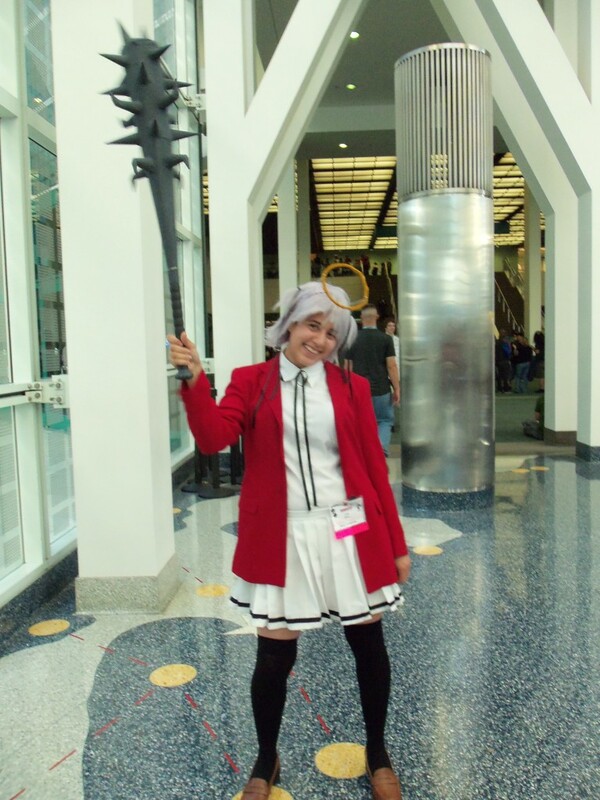 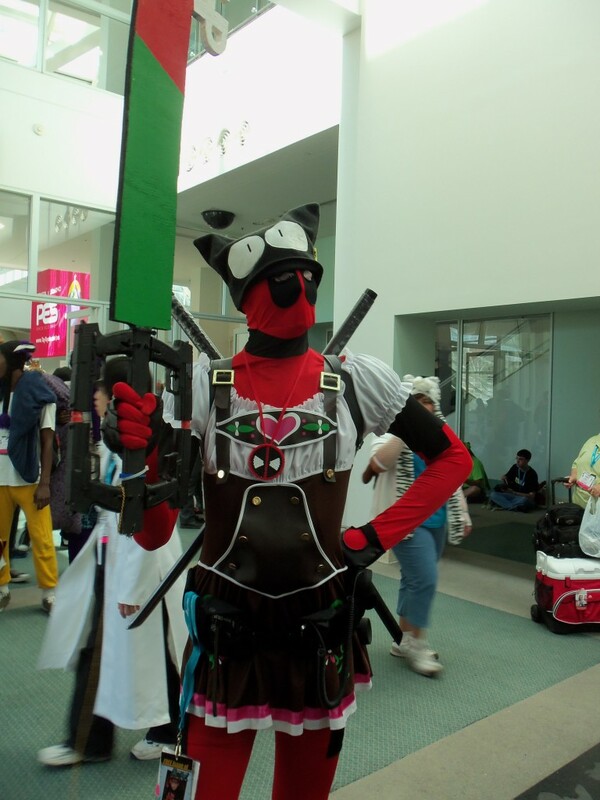 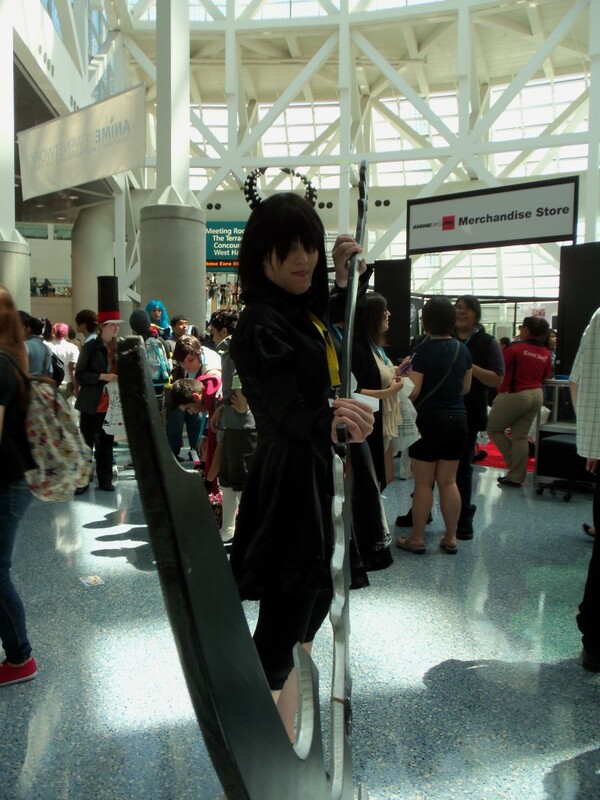 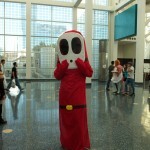 While Deedo and I were waiting for the exhibit hall to open on the first day this particular cosplayer caught my eye. 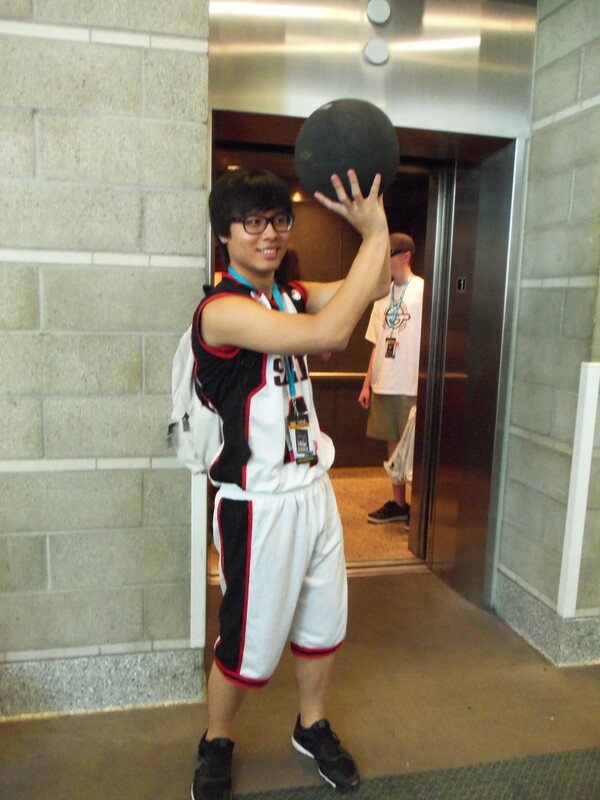 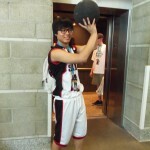 It was Anthony and he was dressed in a Seirin uniform. 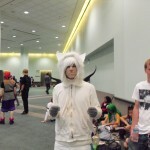 I grabbed him for a quick chat! 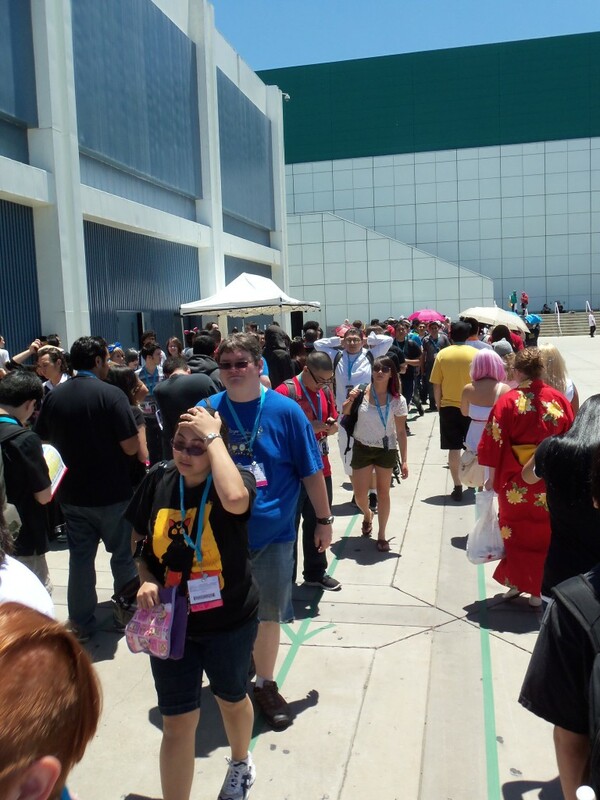 After wandering around the exhibit hall for a while to get the lay of the land Deedo and I find the Otaku Social Network booth, which are friends of the site. 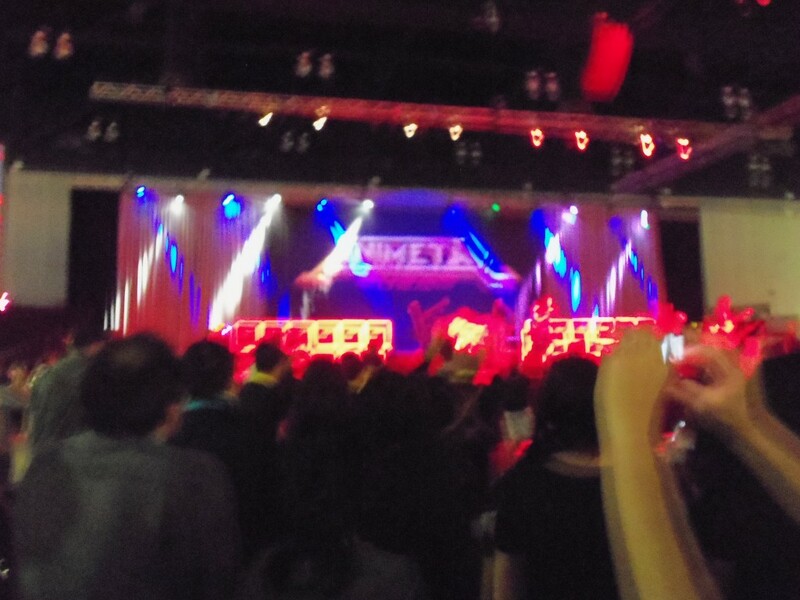 Apparently during a Kita! 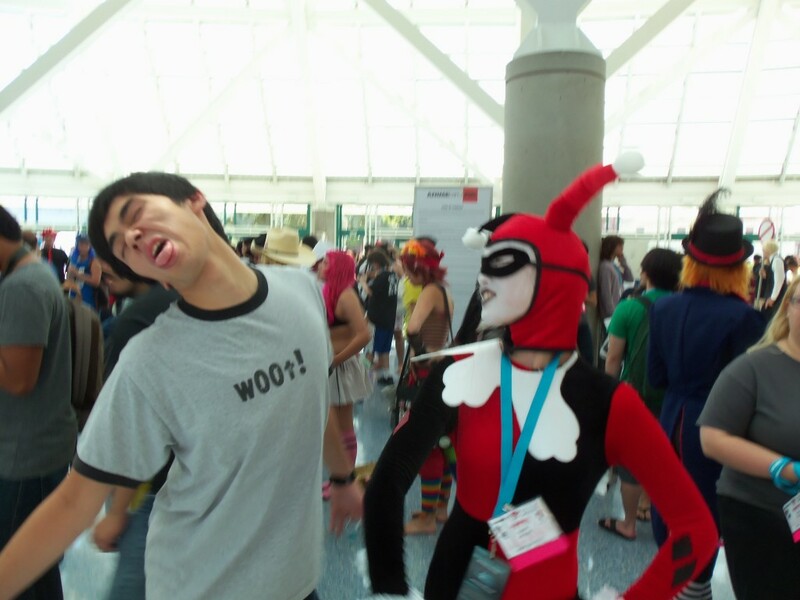 live stream I promised Sparky3000 that we would do the Voodoo dance from Kore Wa Zombie No Desu Ka? 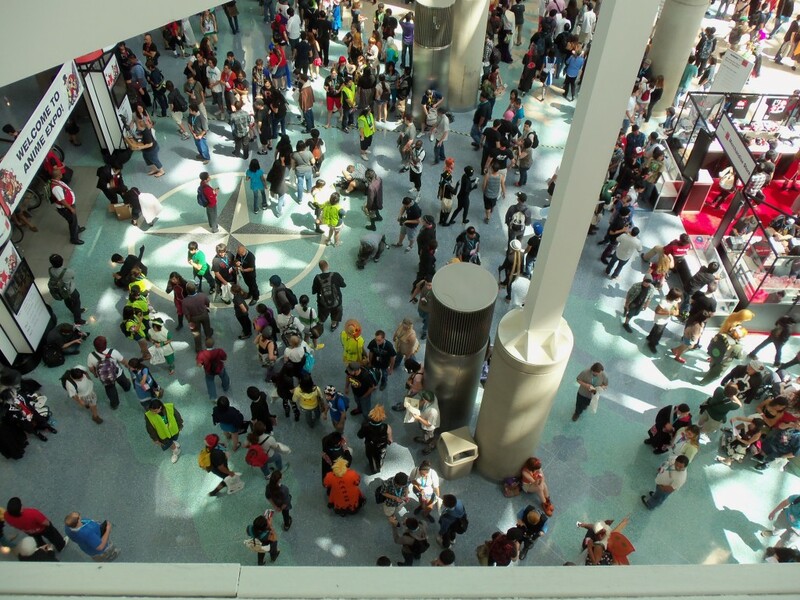 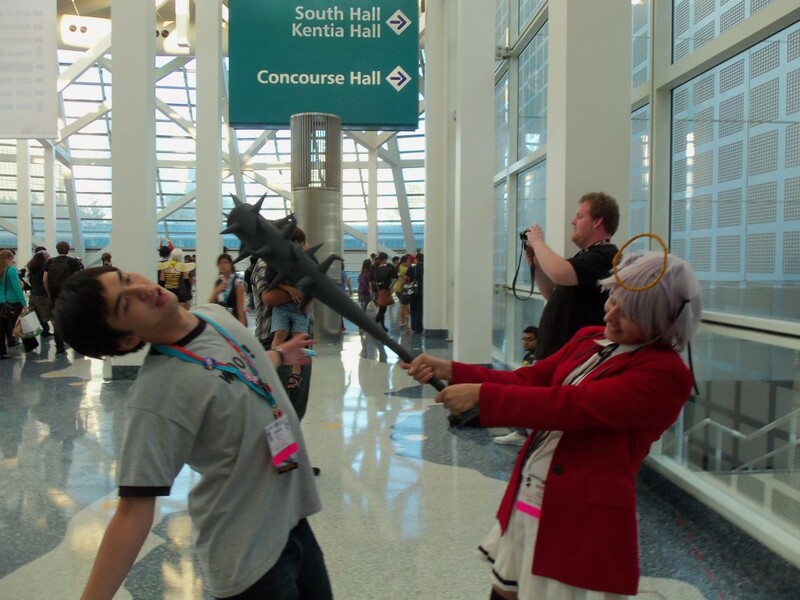 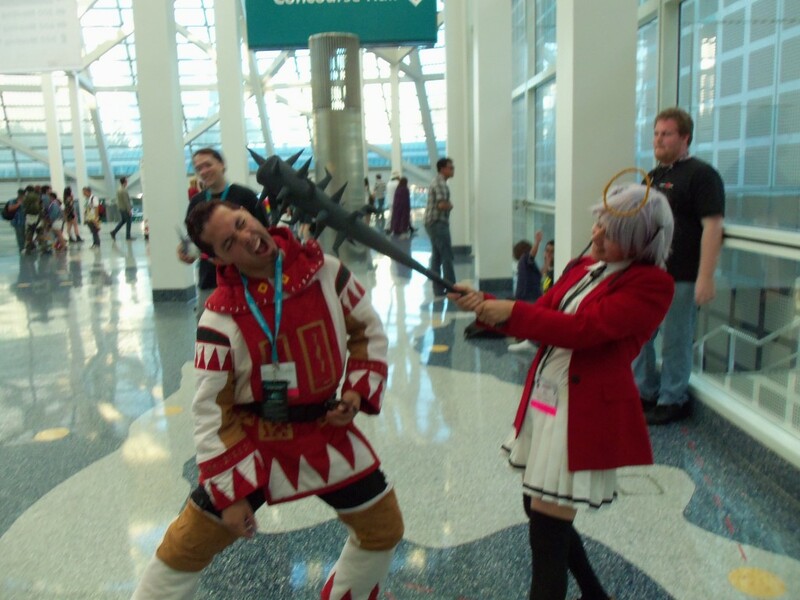 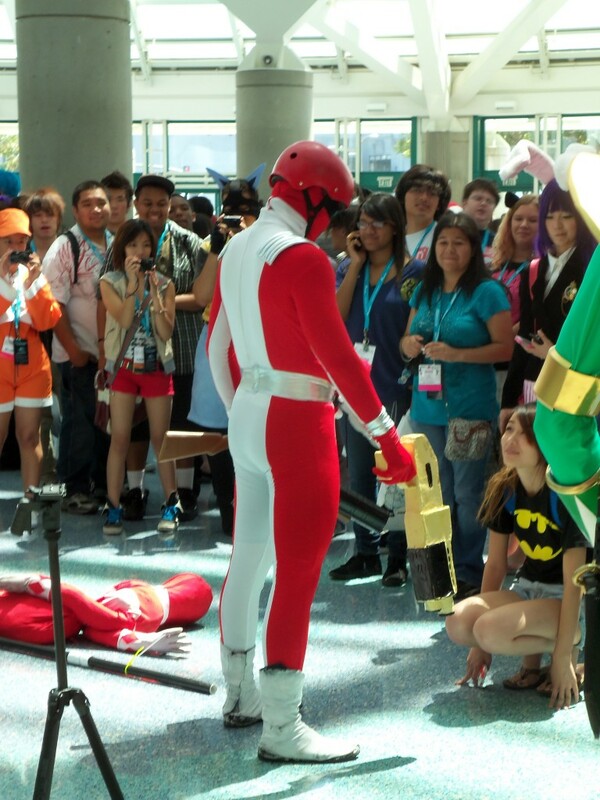 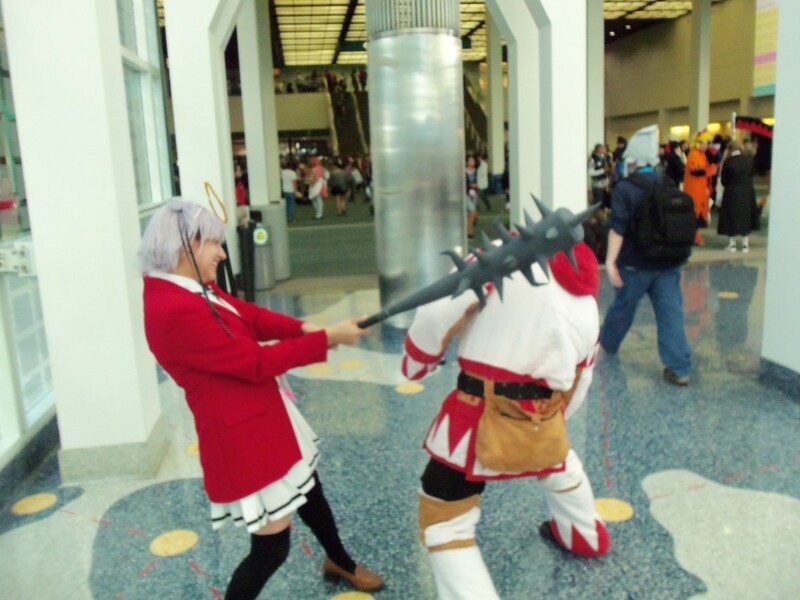 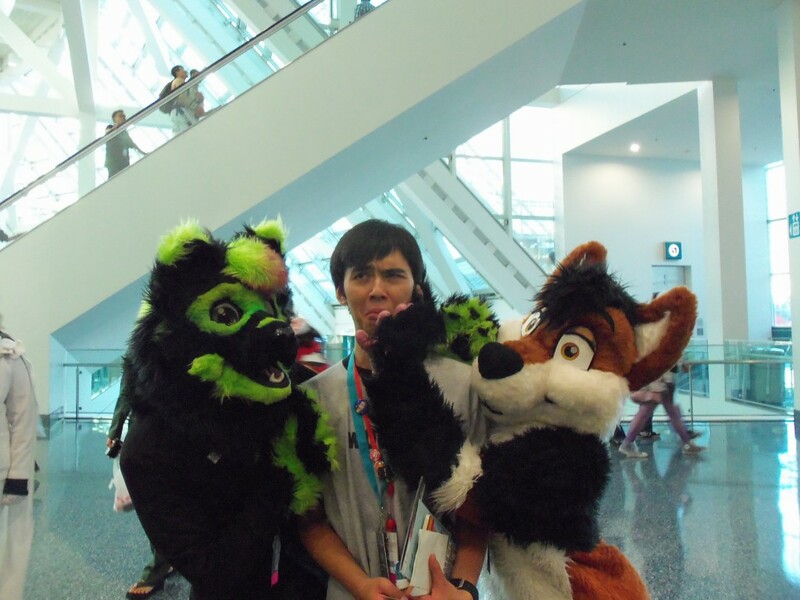 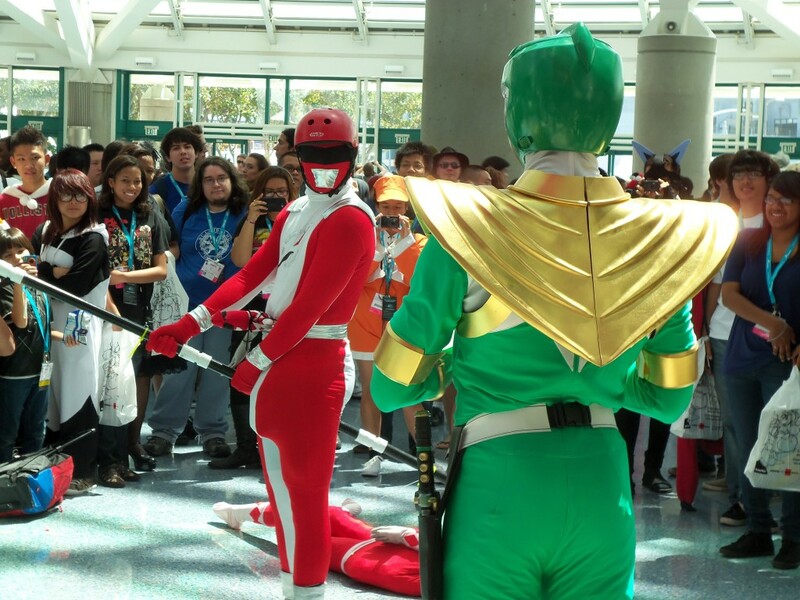 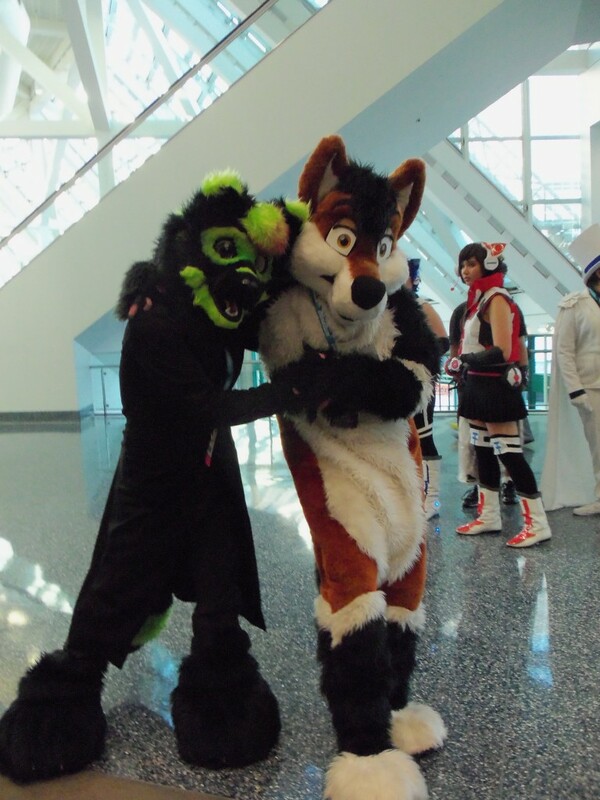 Of The Dead at Anime Expo (I totally don’t remember this but hey I don’t remember a lot of things I say on the live stream). 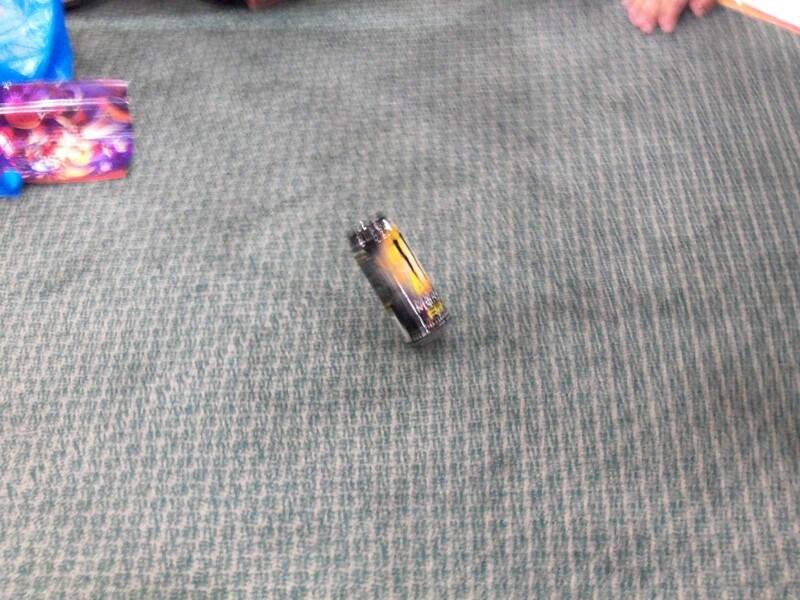 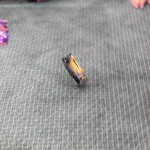 So here’s a video of Deedo, Sparky3000 and I doing the Voodoo Dance! 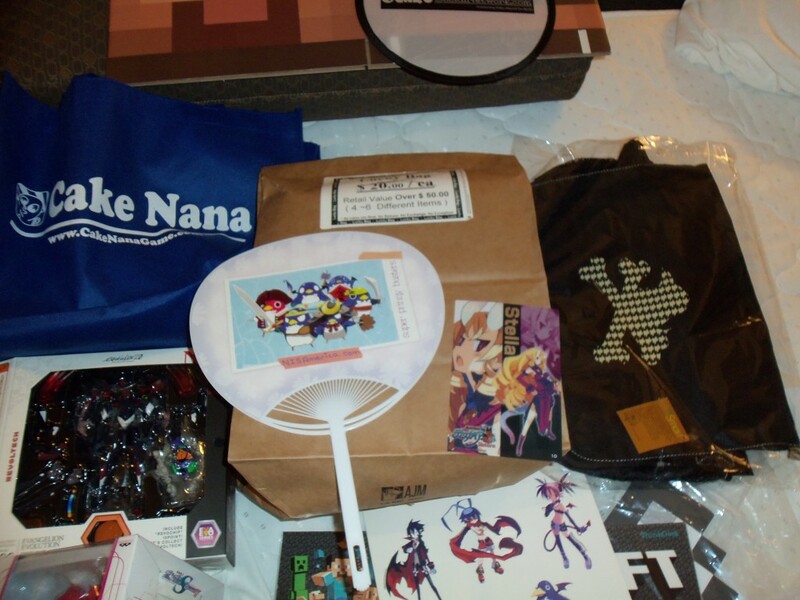 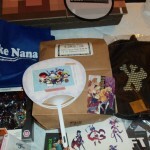 For more information about Cake Nana make sure you guys check out their website. 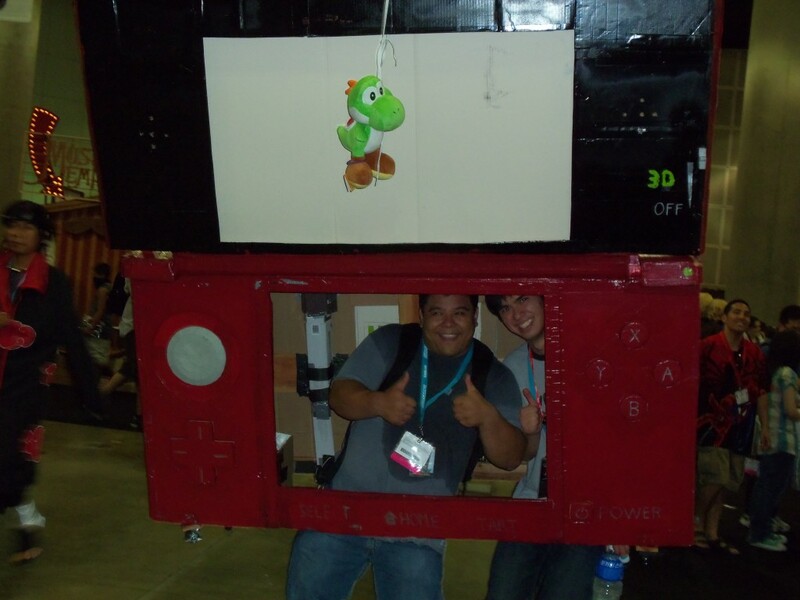 I can’t wait for the game to come out and you’ll be helping some cool guys out! 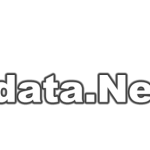 If you haven’t already make sure you check out the Ktdata.Net Raws. 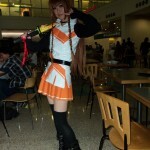 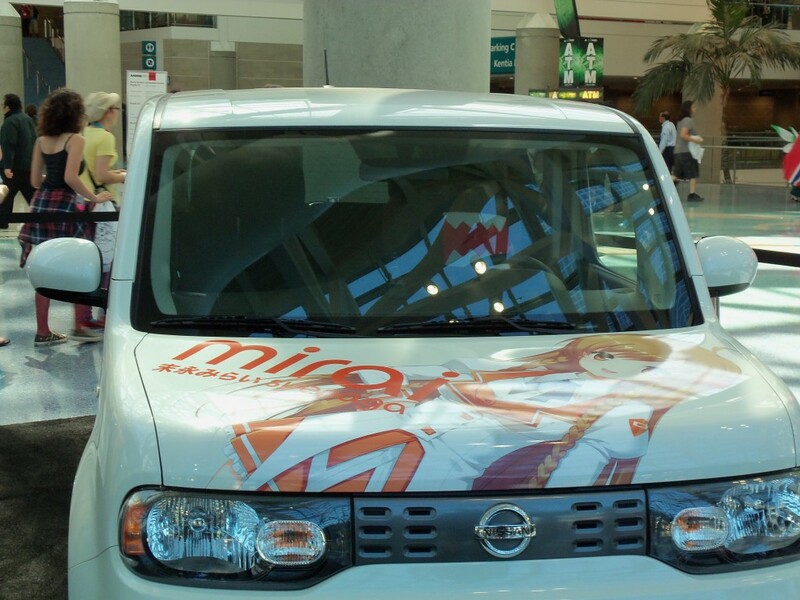 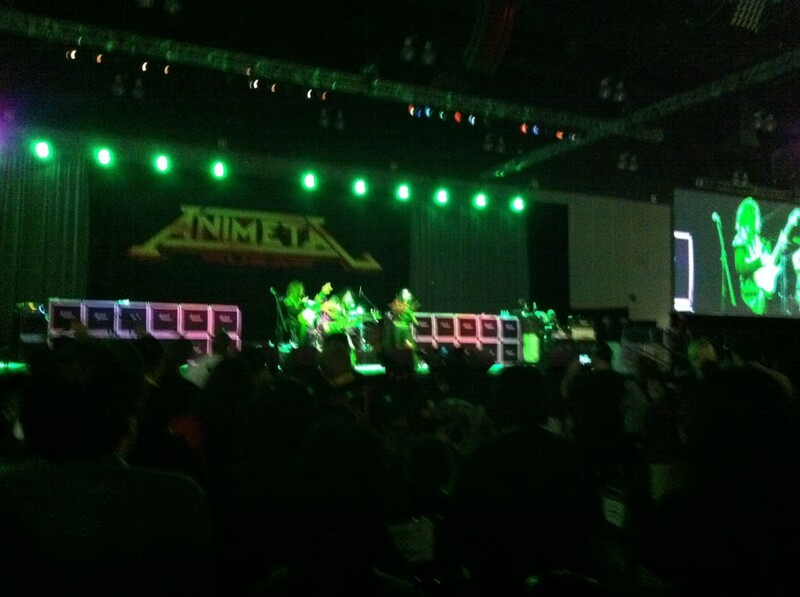 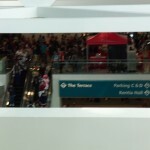 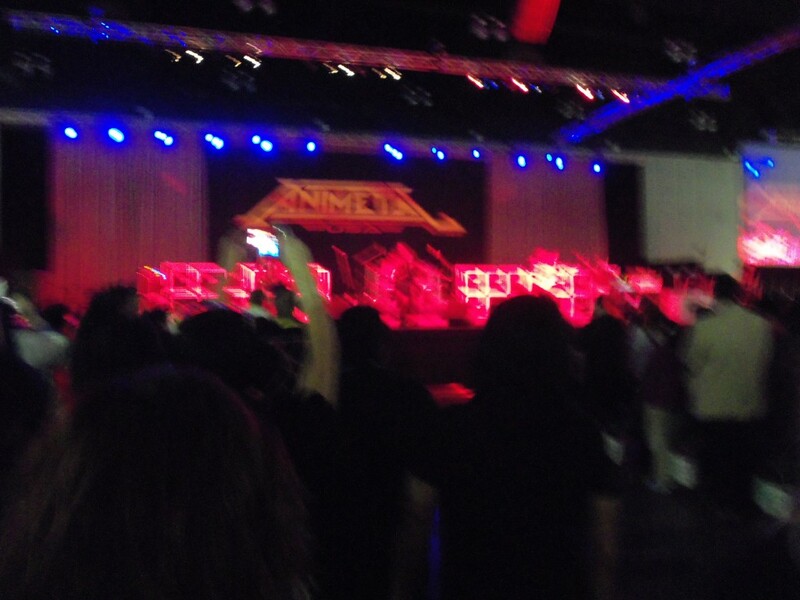 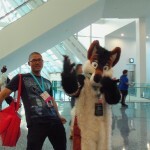 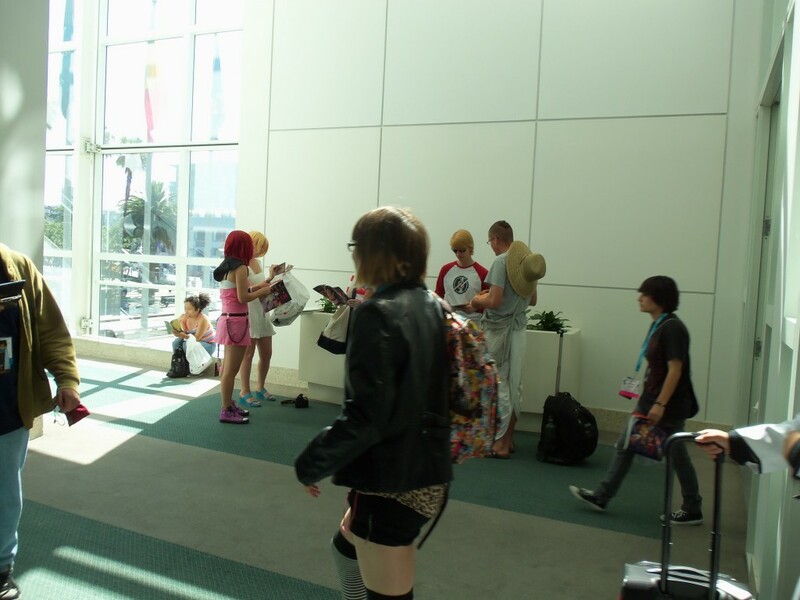 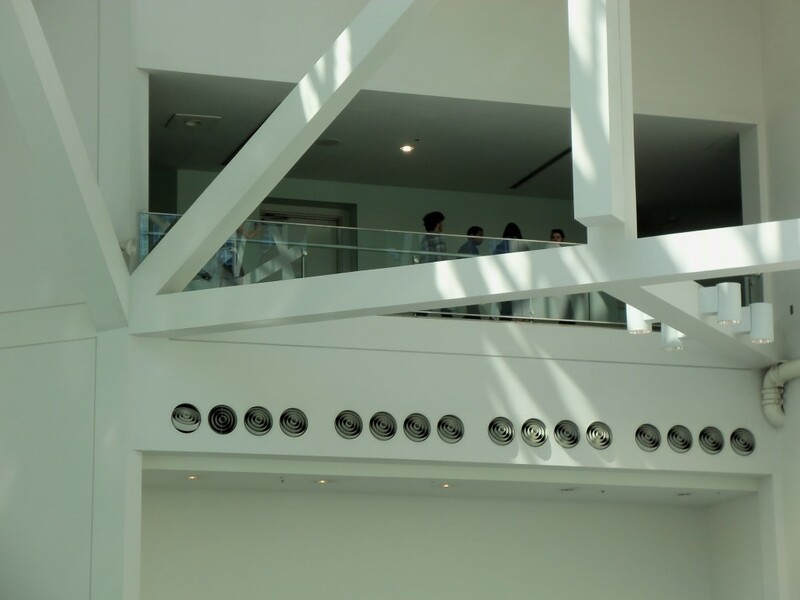 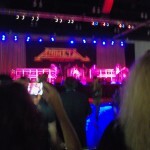 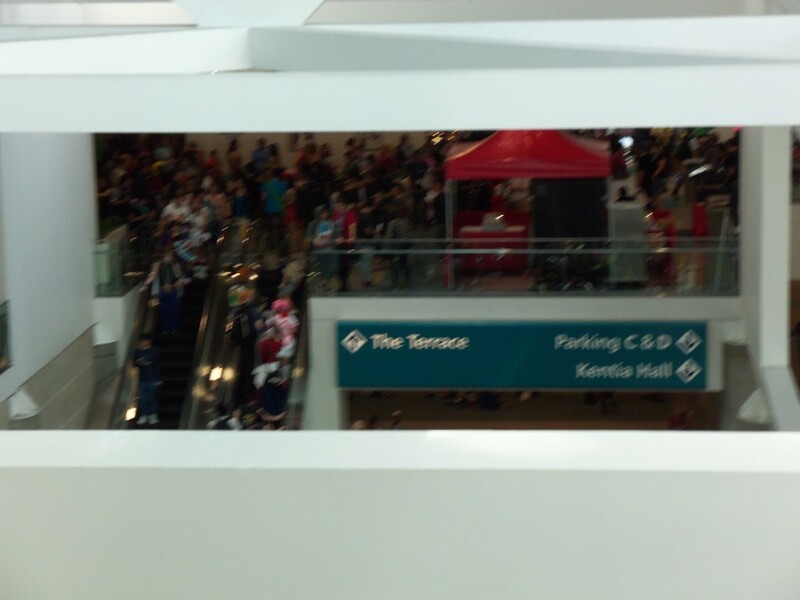 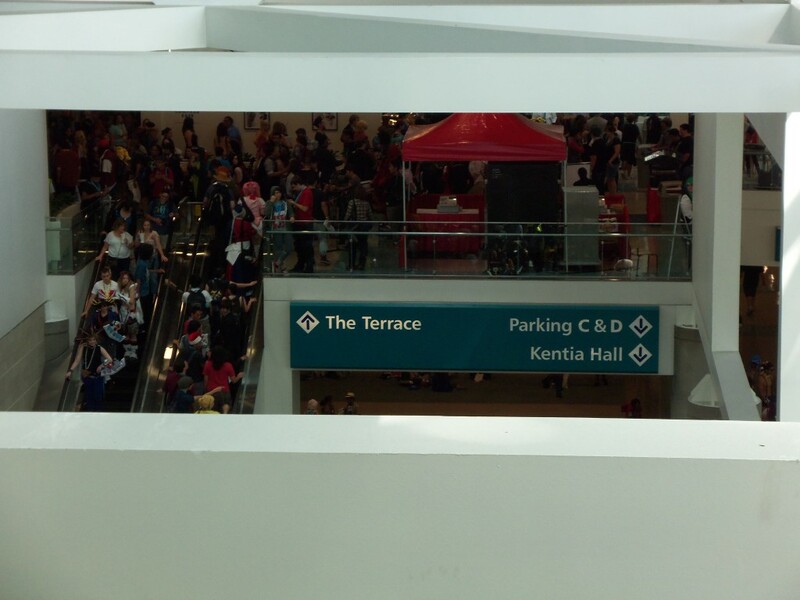 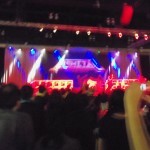 These are quick videos I took with my phone that give a “behind the scenes” look of us at Anime Expo. 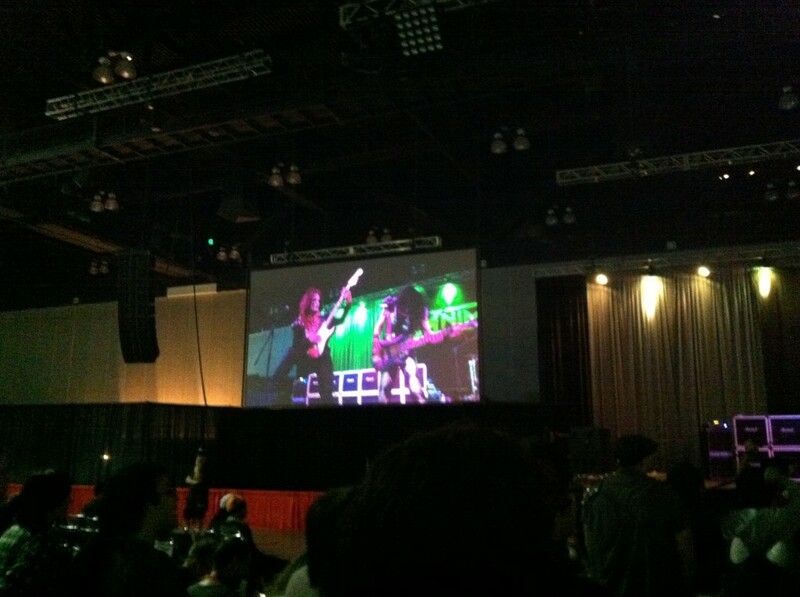 Two videos being a before and after of the concert! 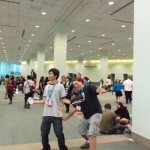 You can see how much fun I had rocking out in the second video from how hoarse my voice sounds! 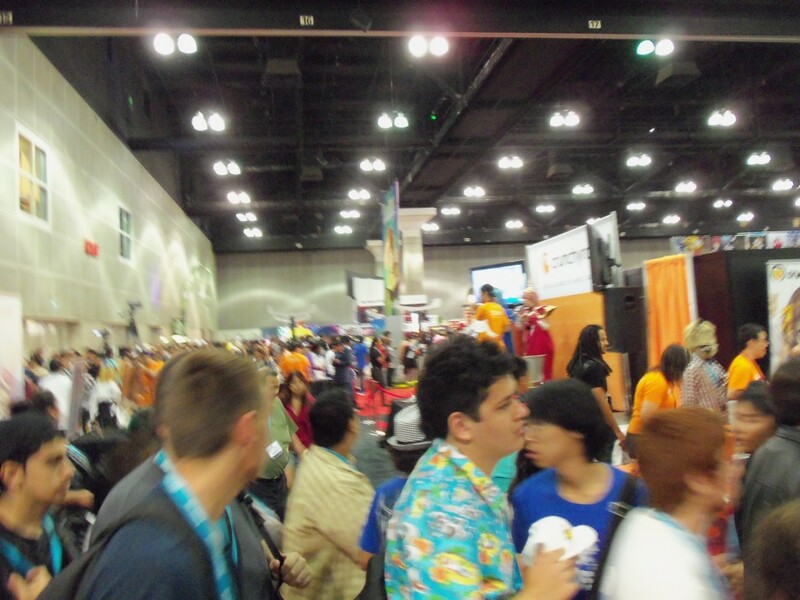 Day 1 went by so quick that Deedo and I barely even noticed that it was almost over! 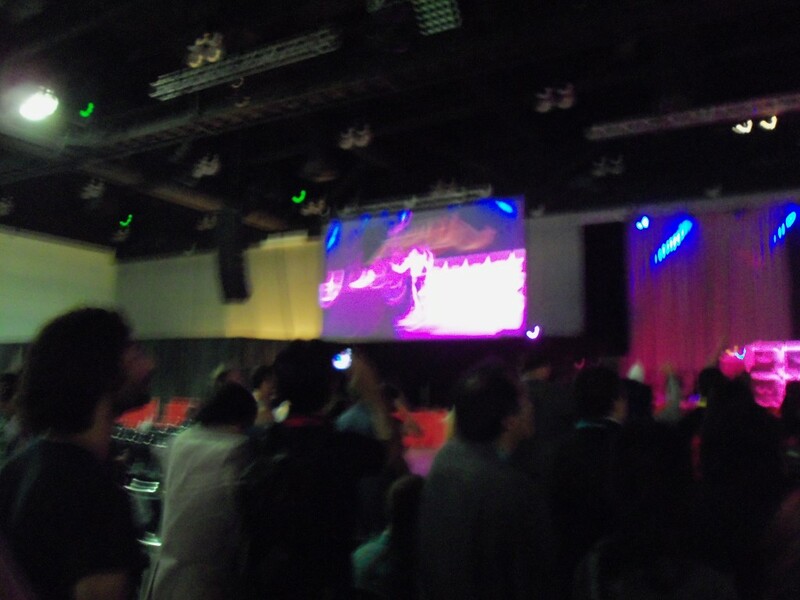 Here is our day 1 closing video from a very interesting location. 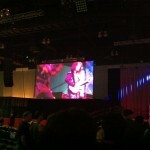 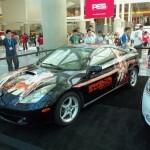 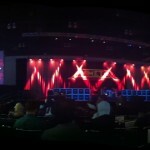 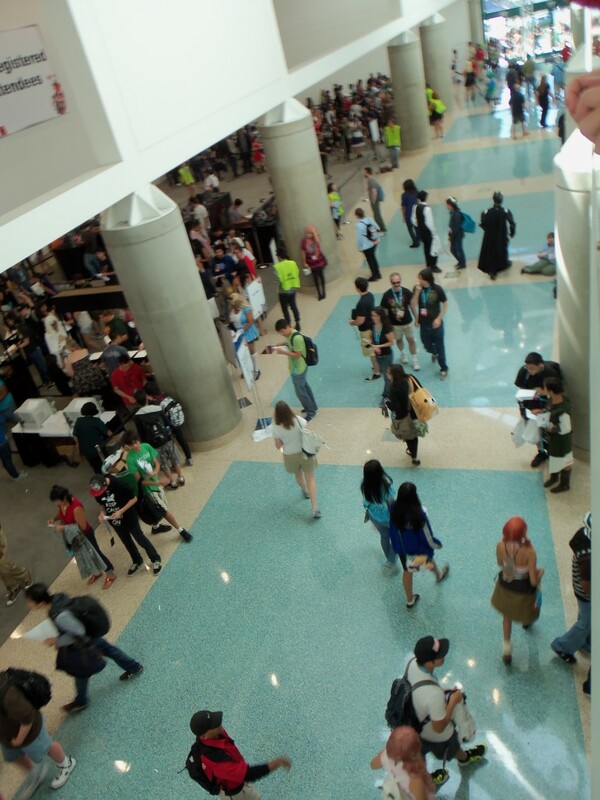 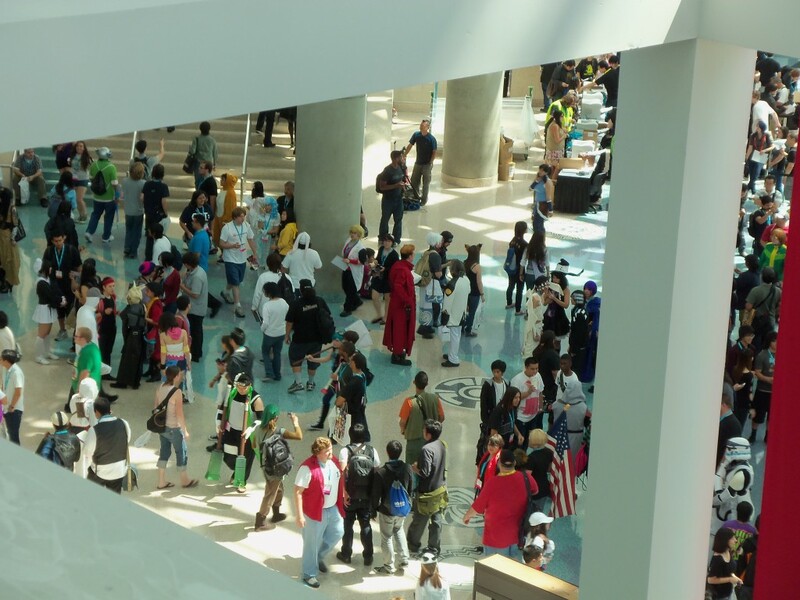 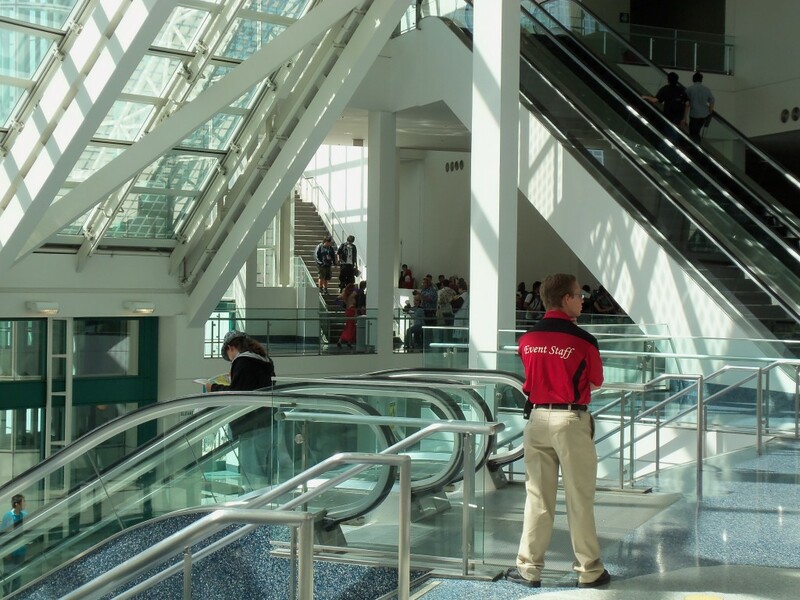 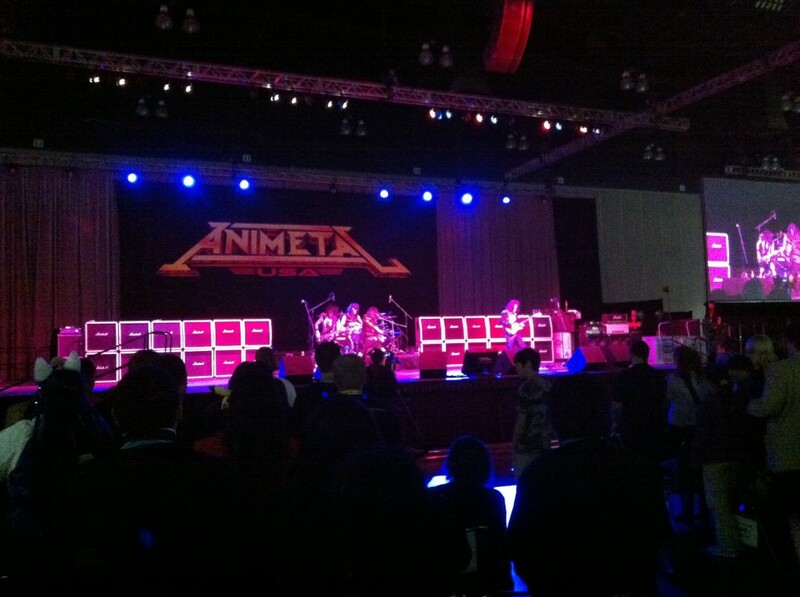 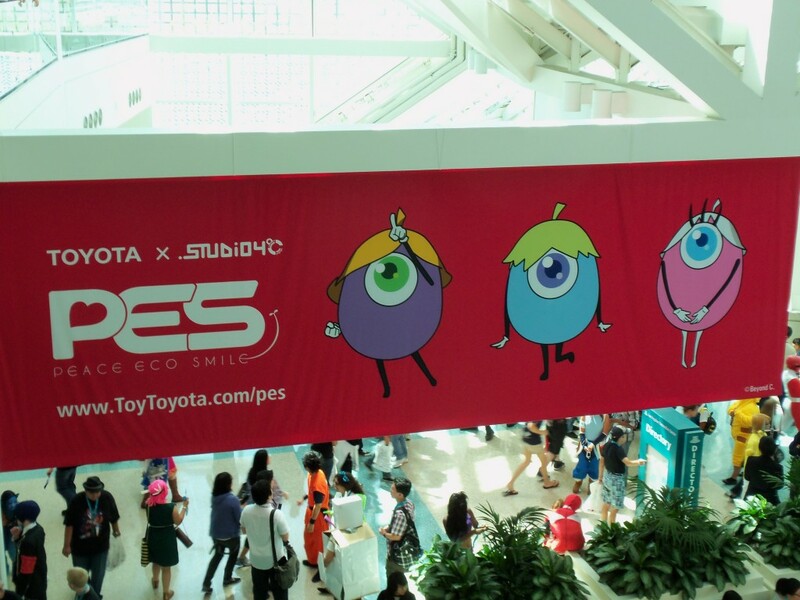 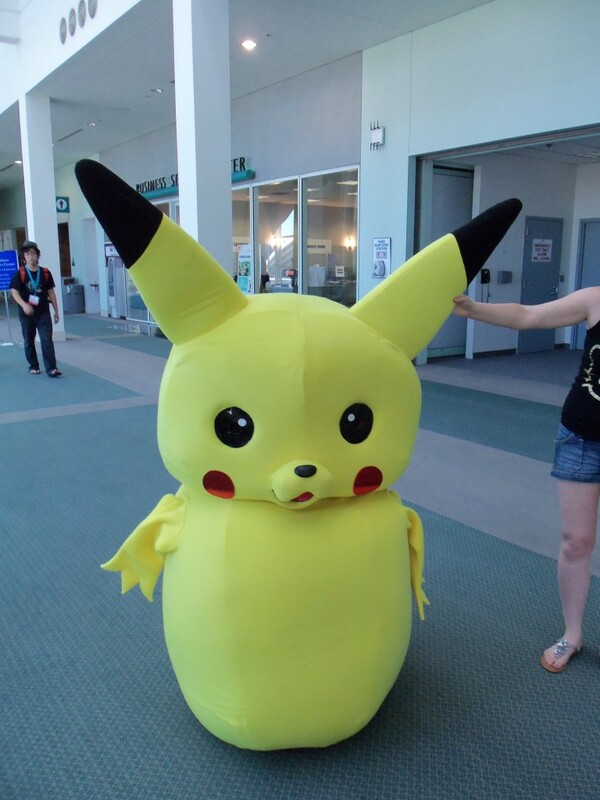 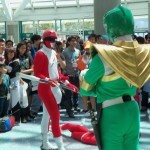 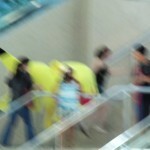 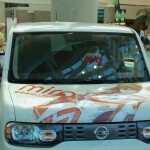 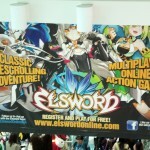 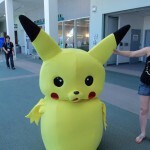 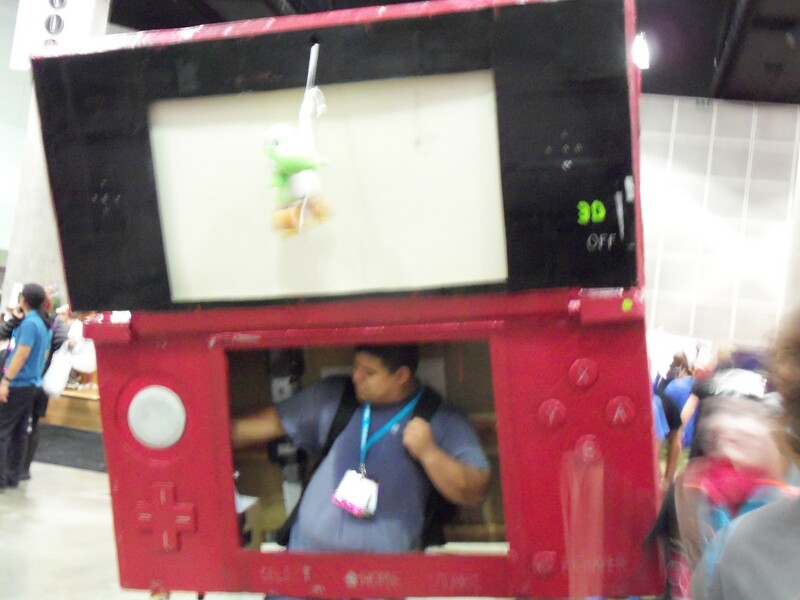 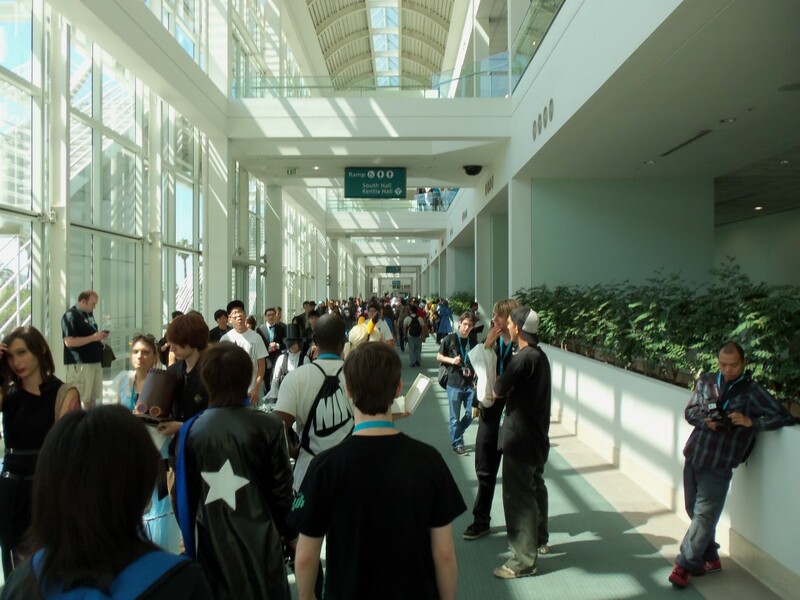 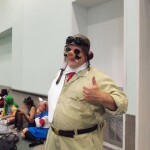 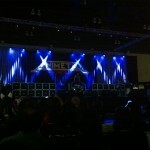 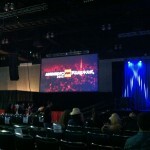 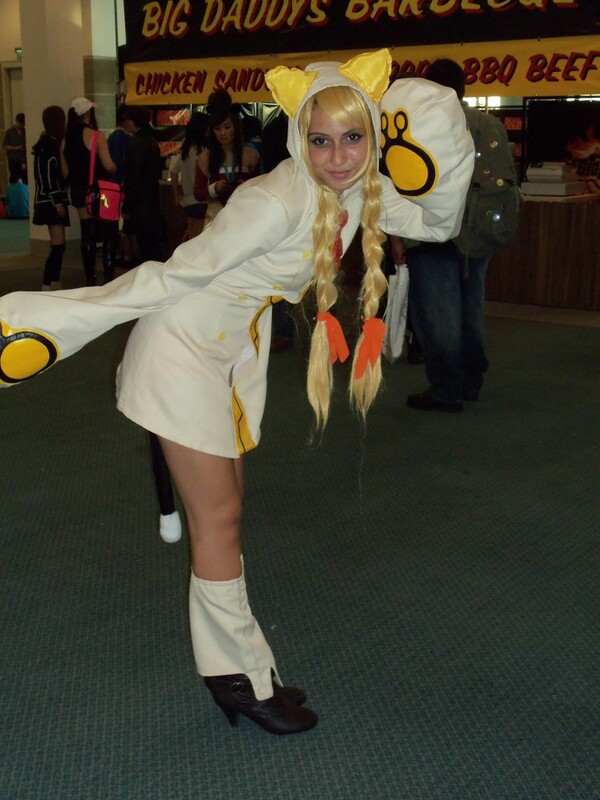 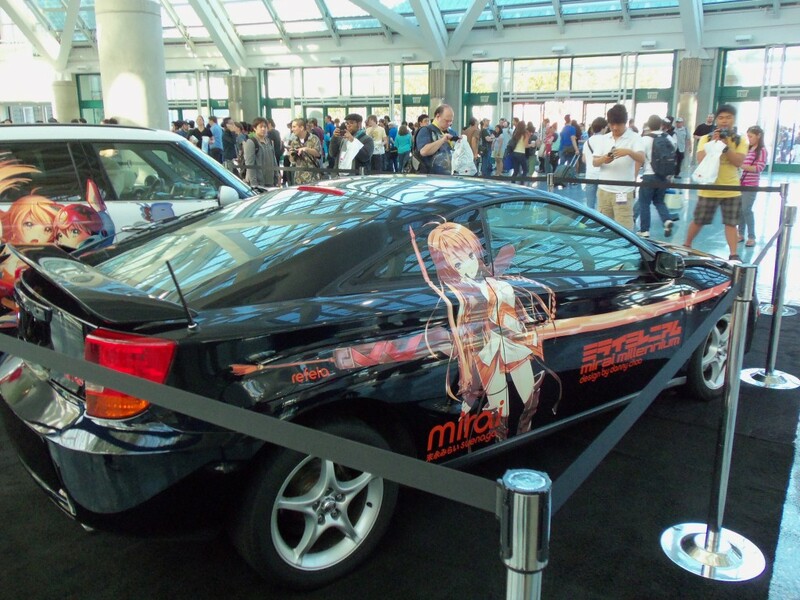 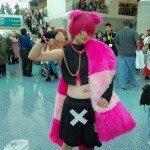 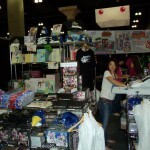 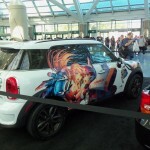 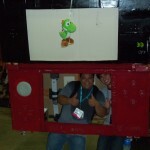 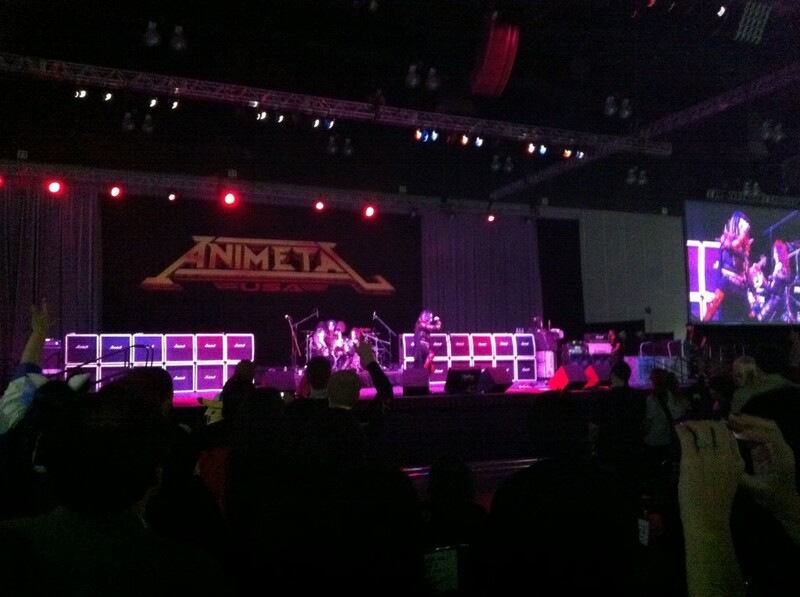 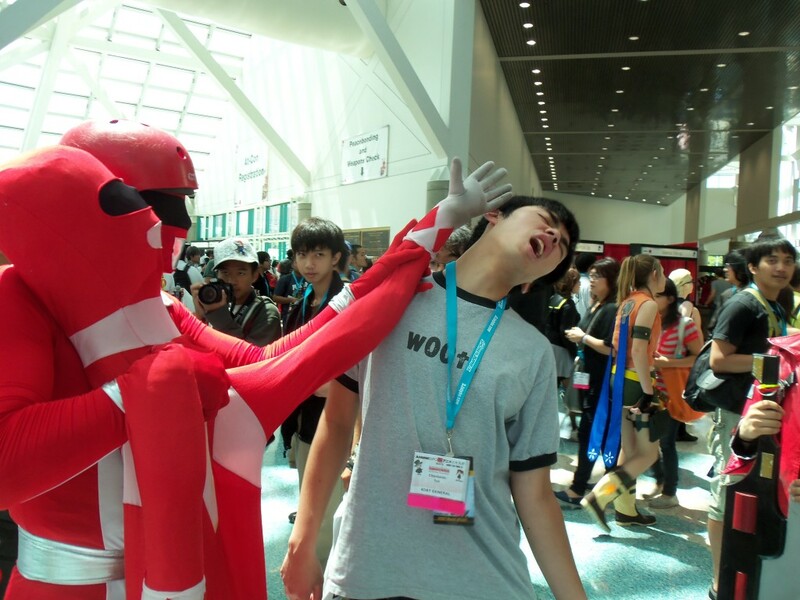 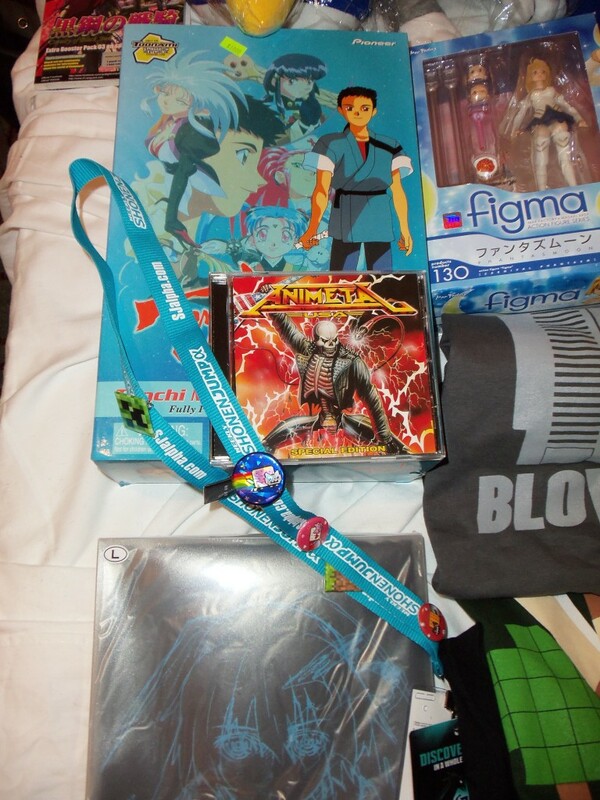 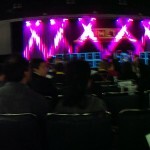 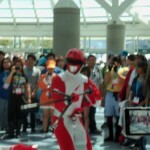 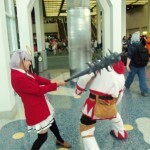 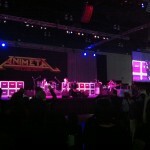 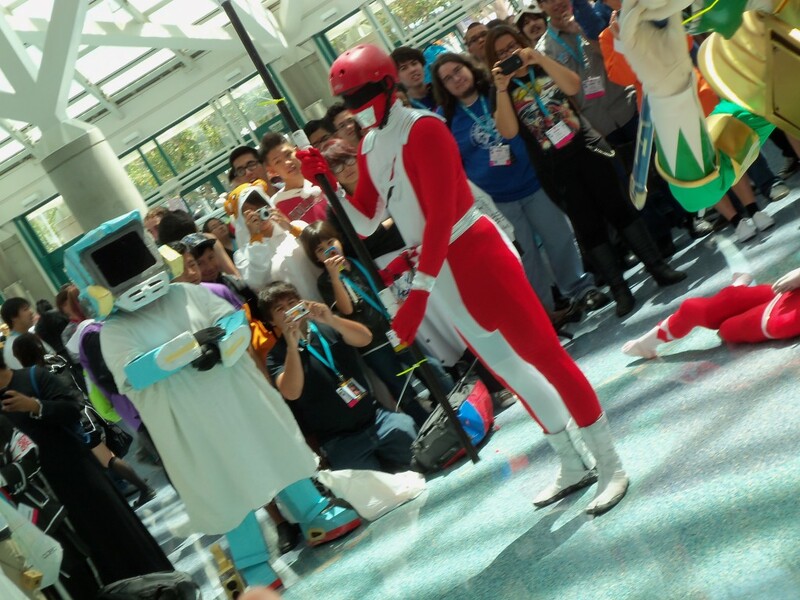 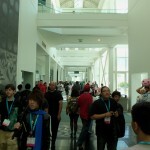 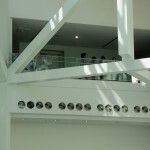 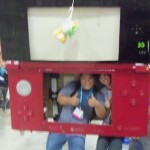 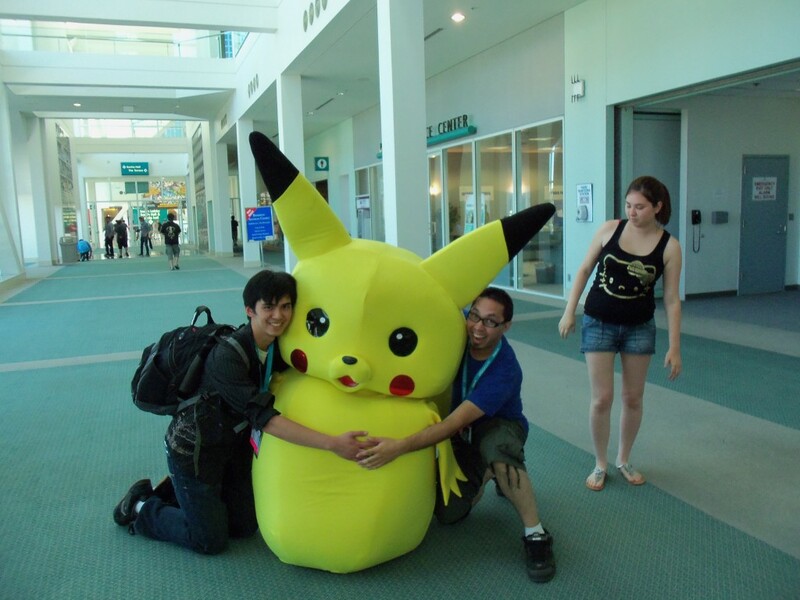 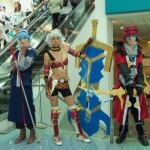 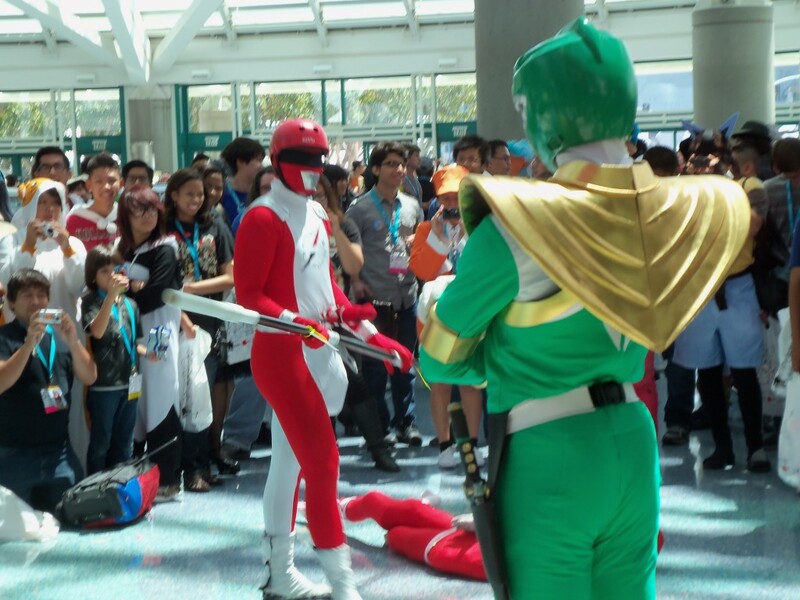 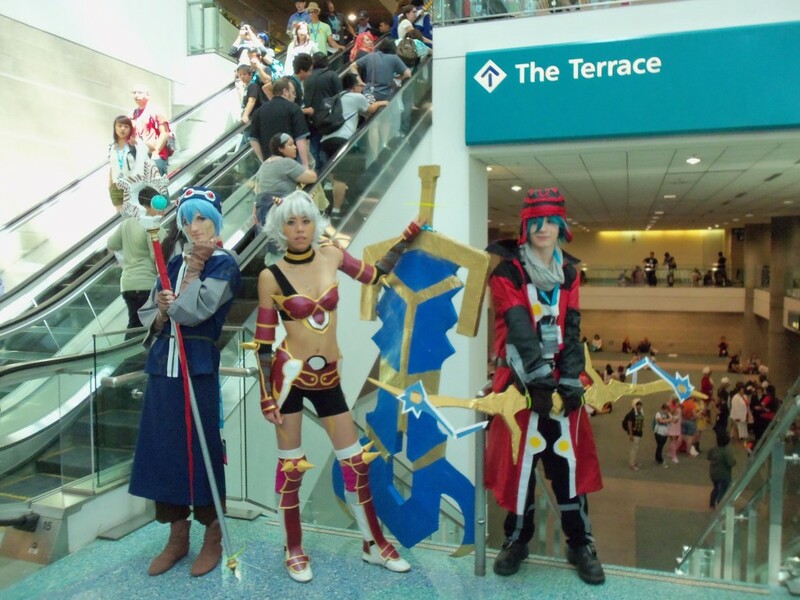 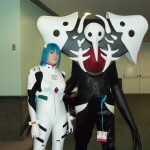 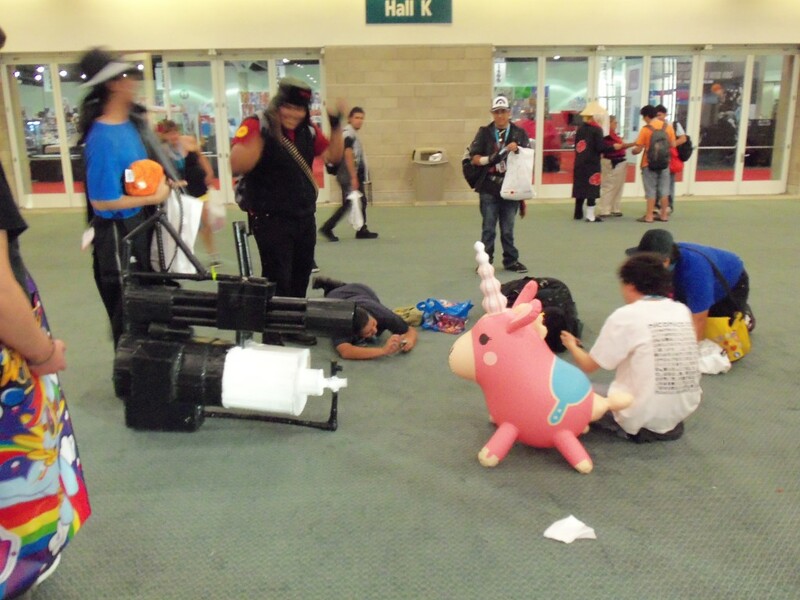 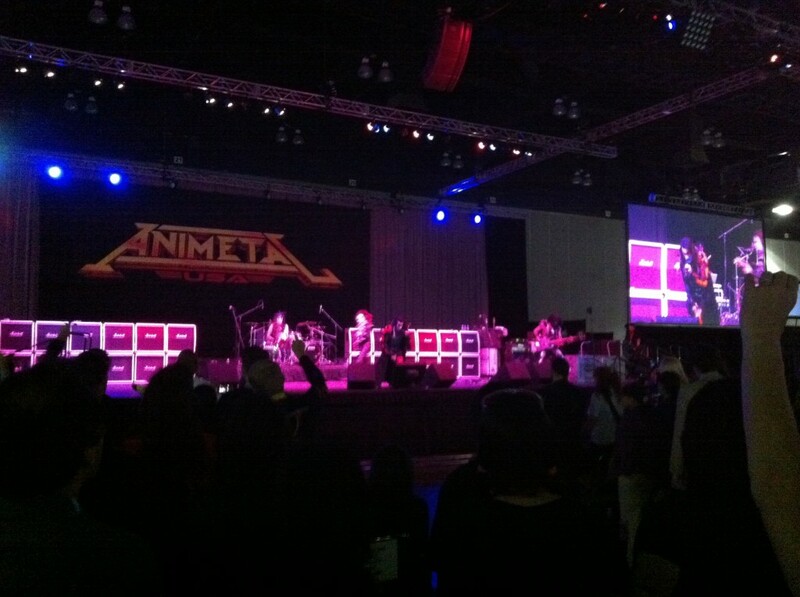 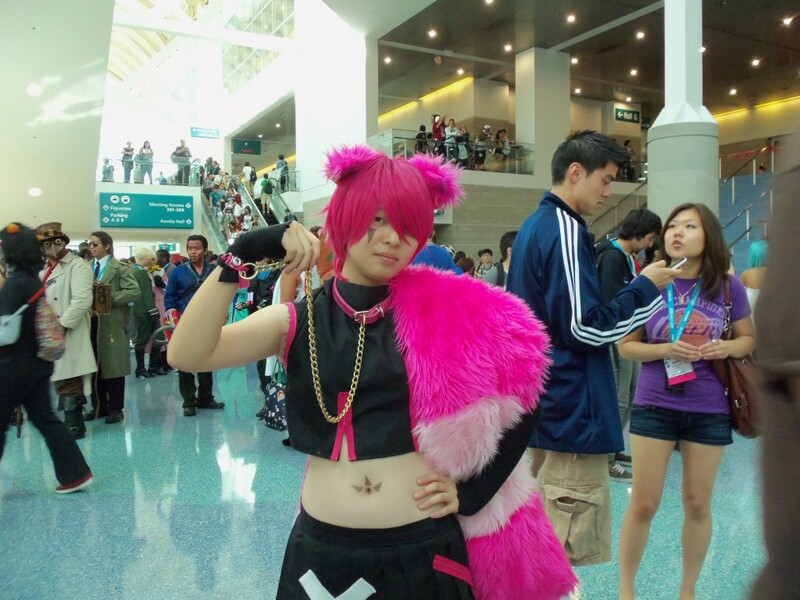 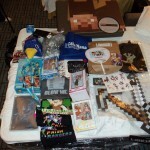 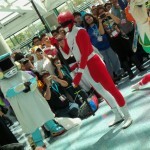 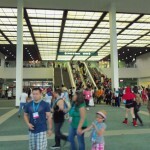 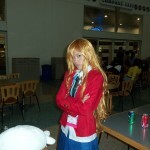 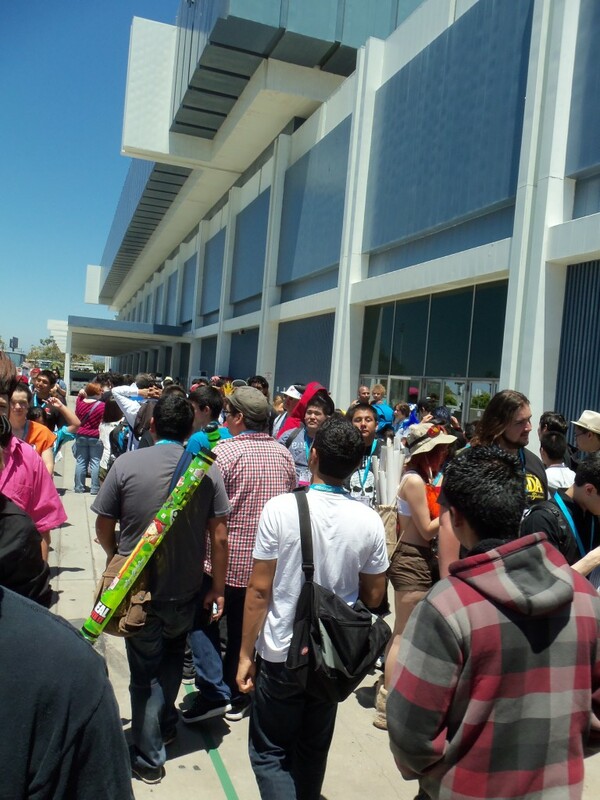 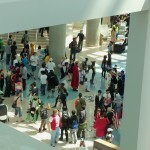 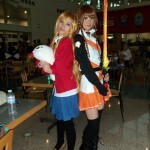 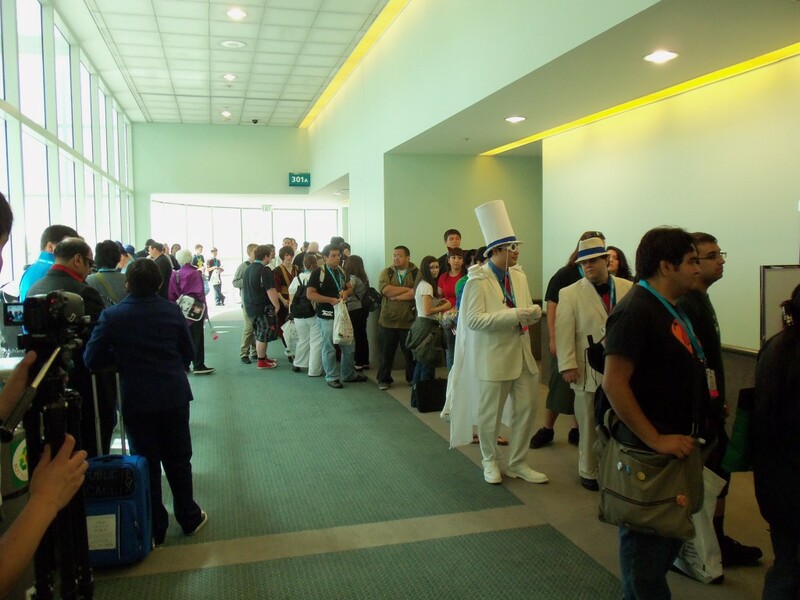 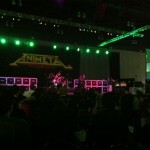 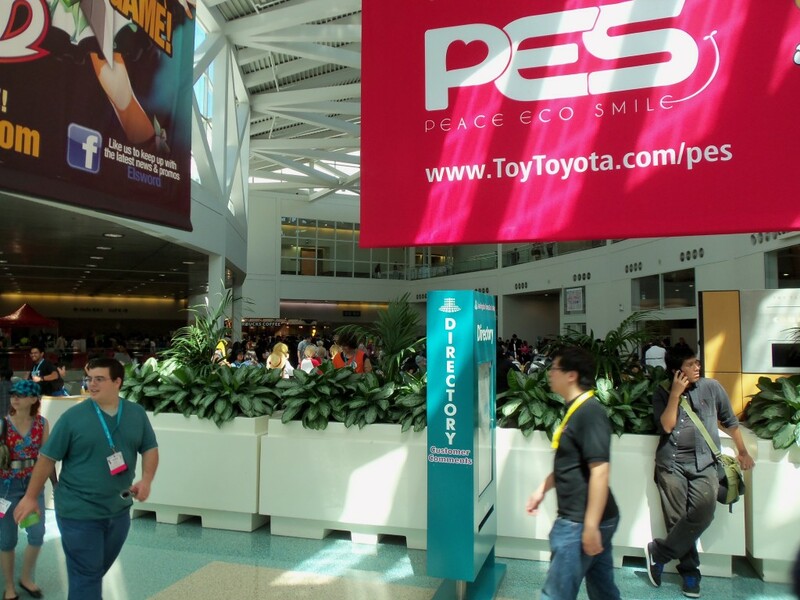 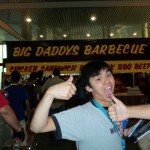 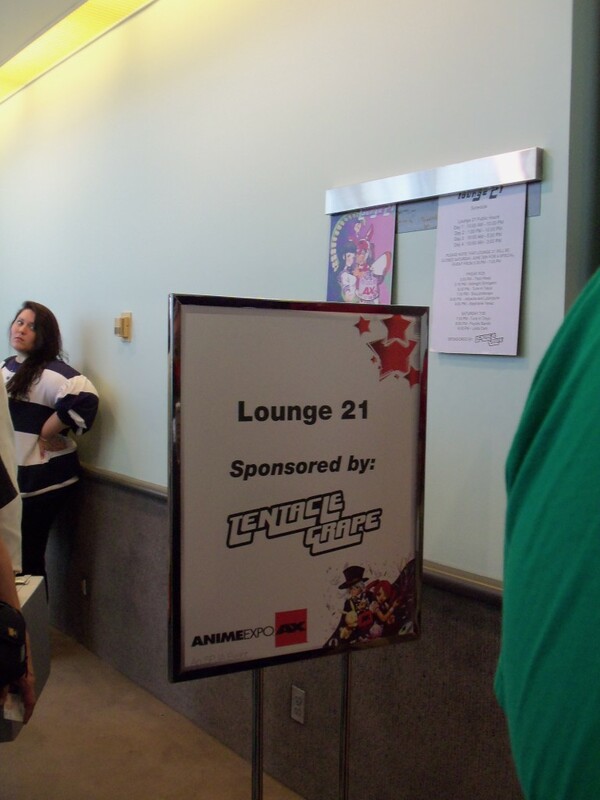 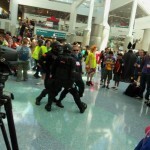 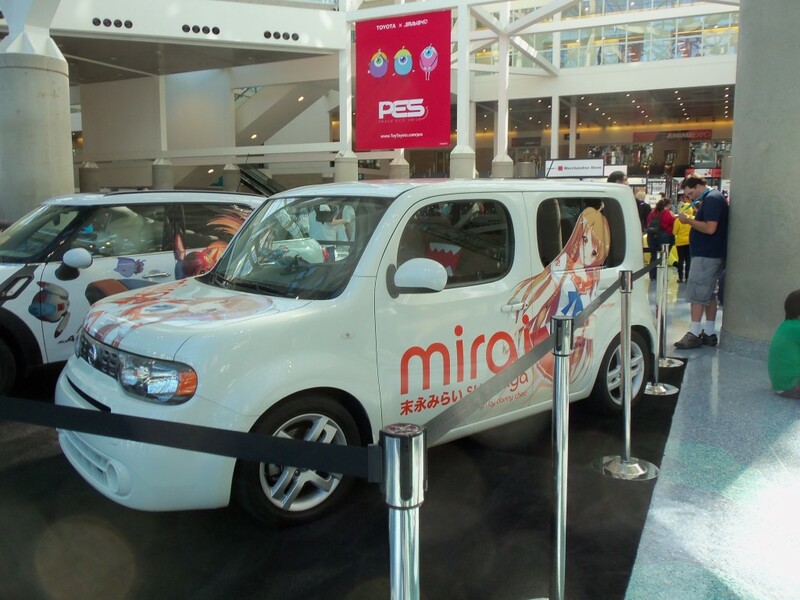 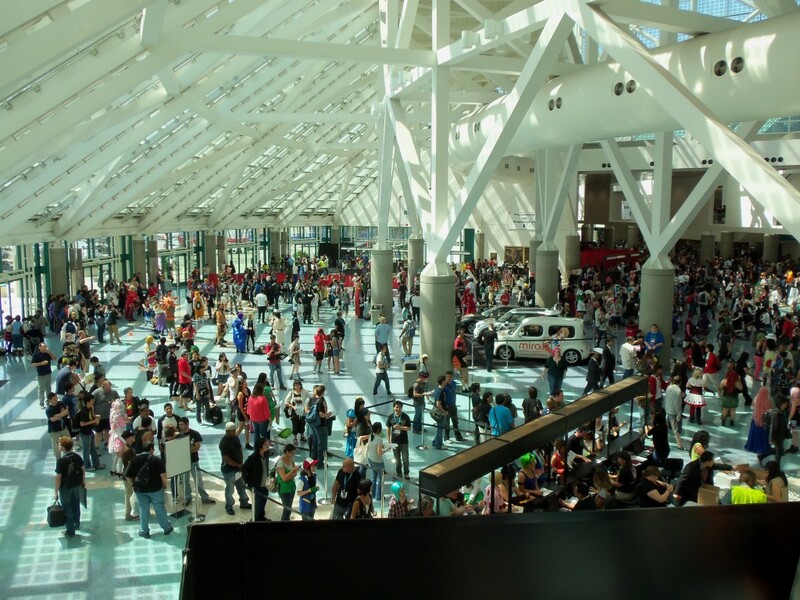 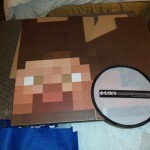 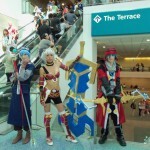 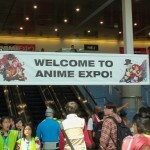 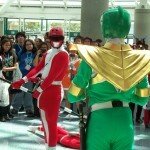 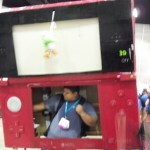 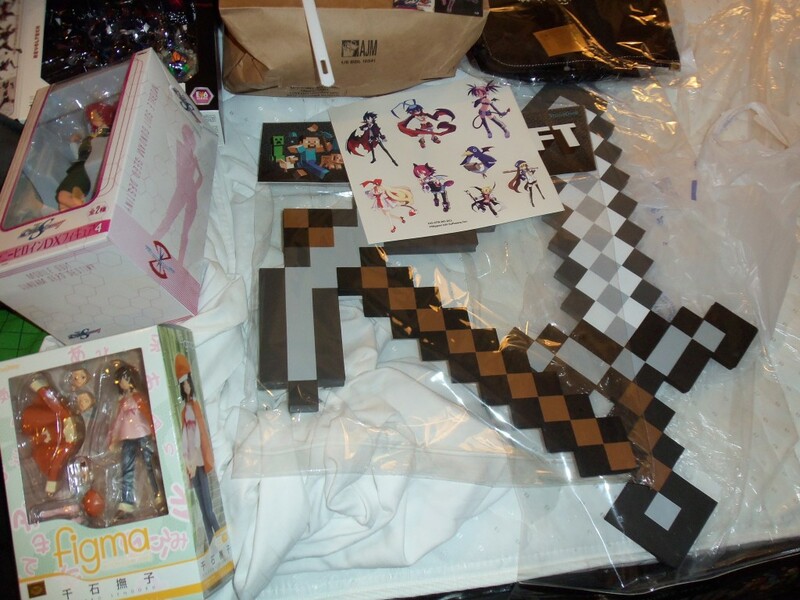 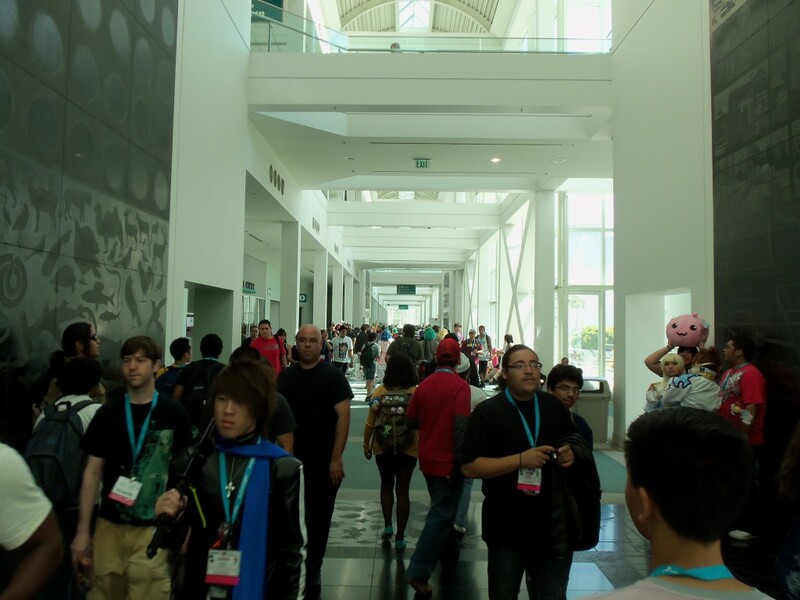 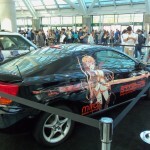 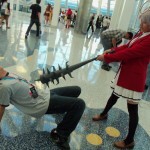 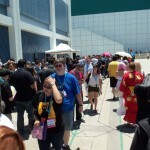 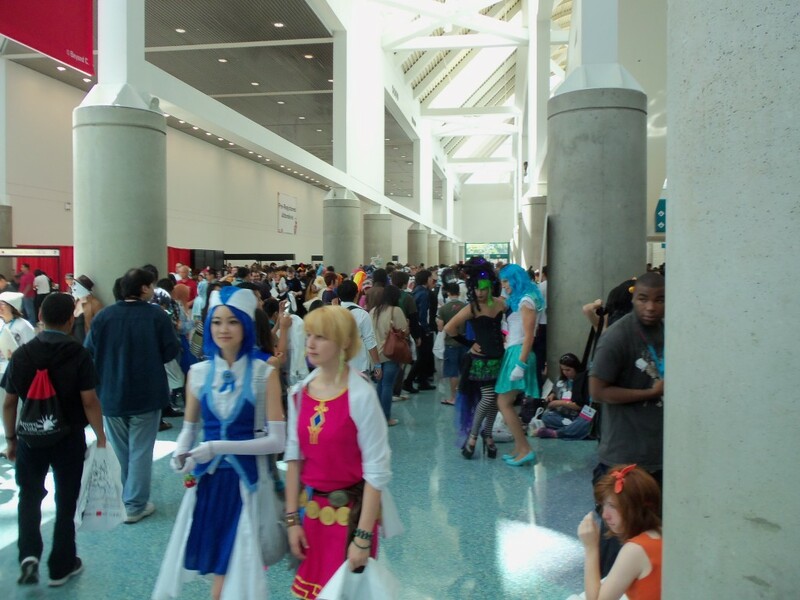 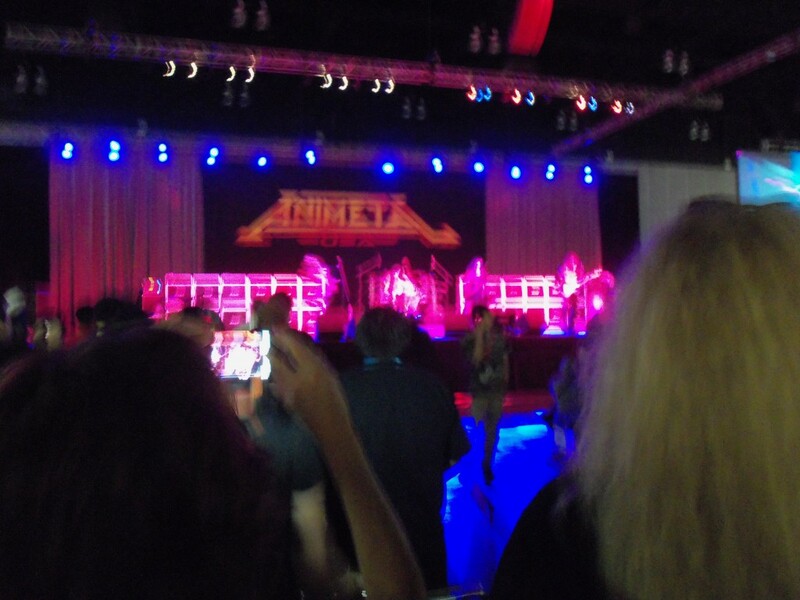 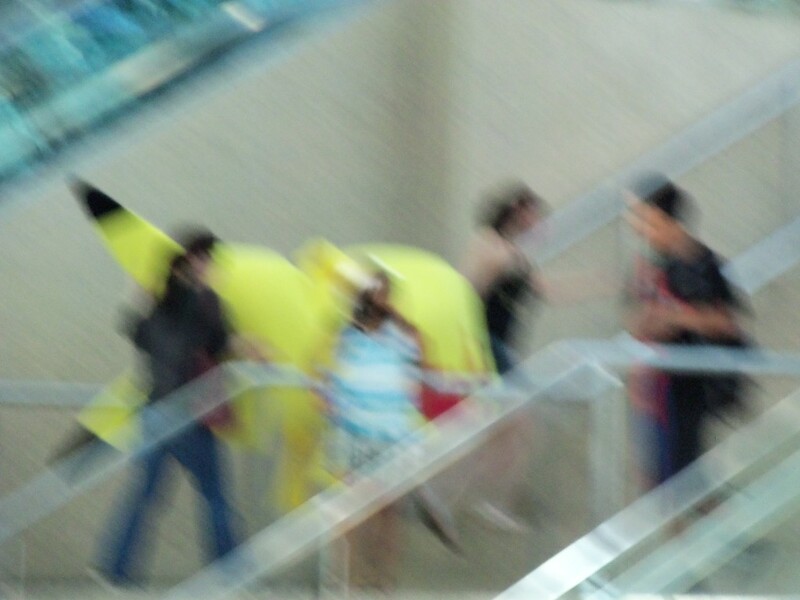 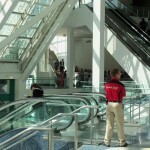 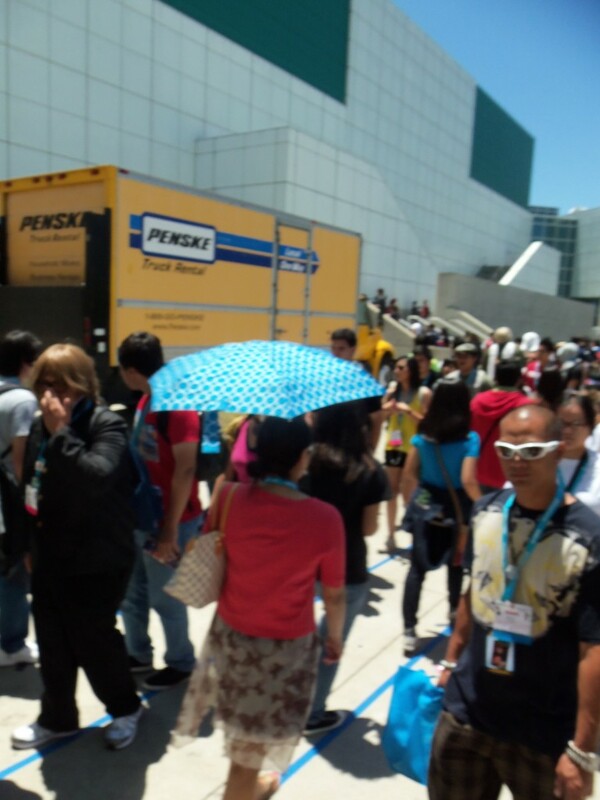 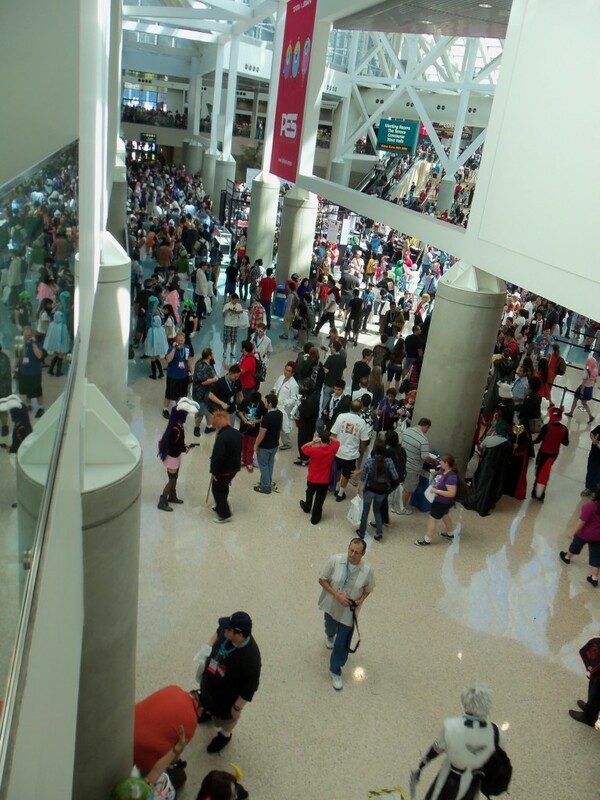 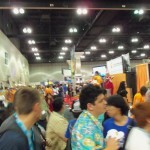 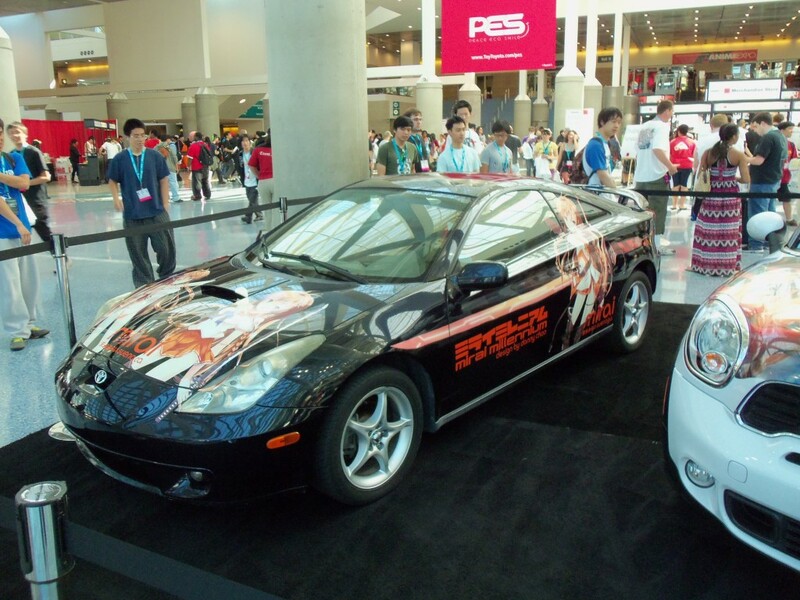 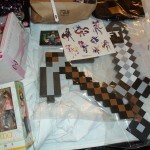 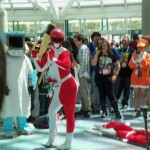 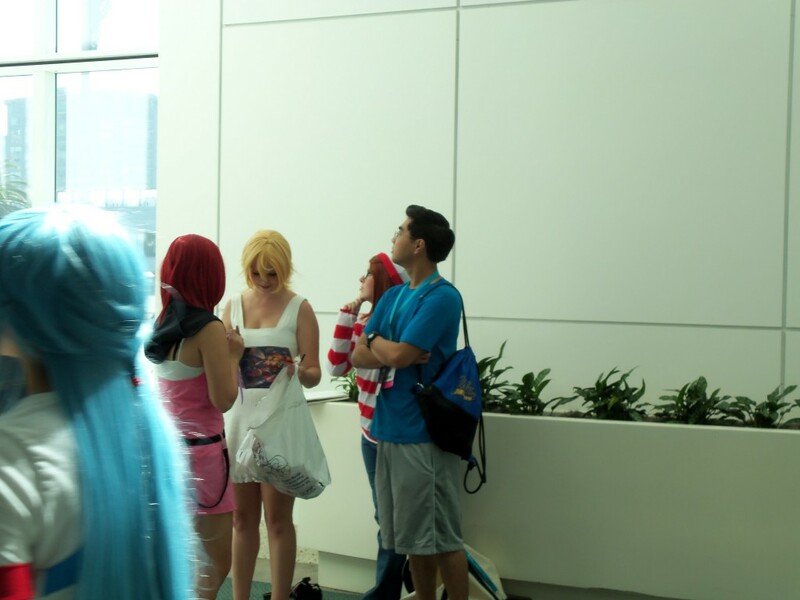 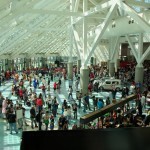 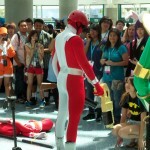 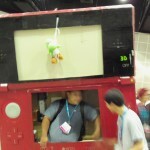 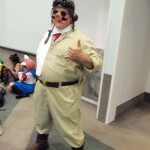 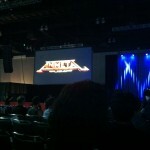 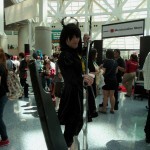 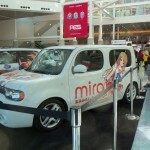 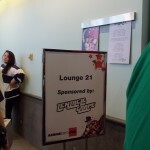 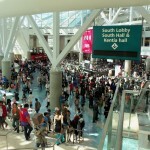 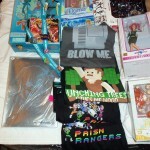 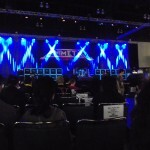 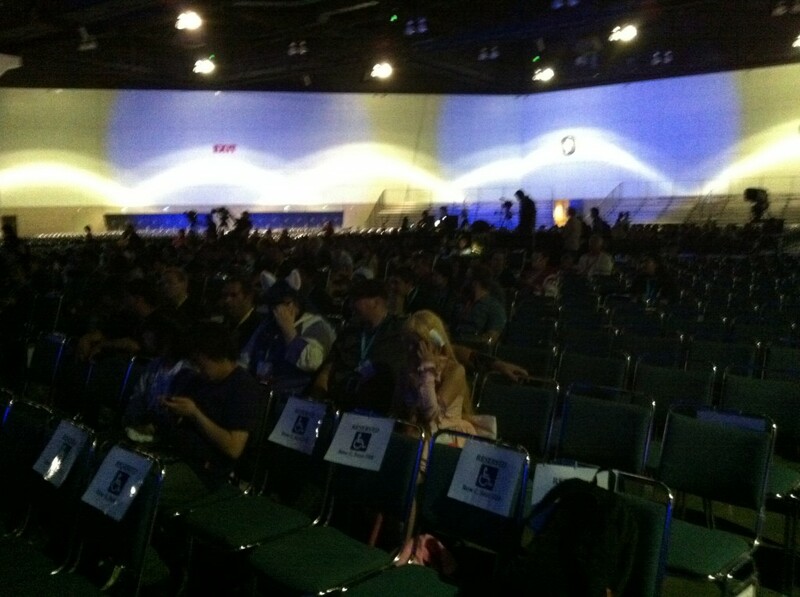 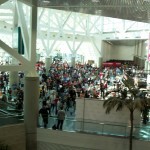 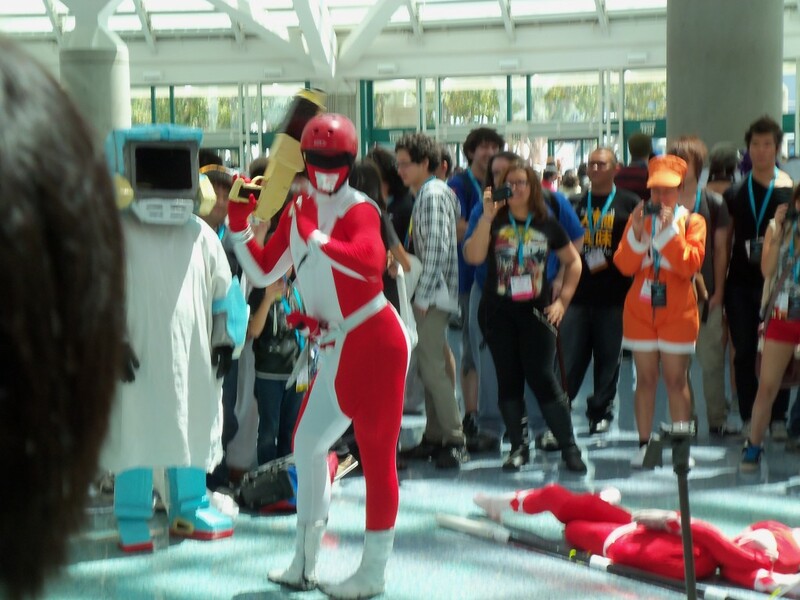 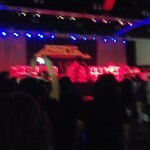 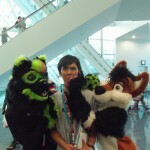 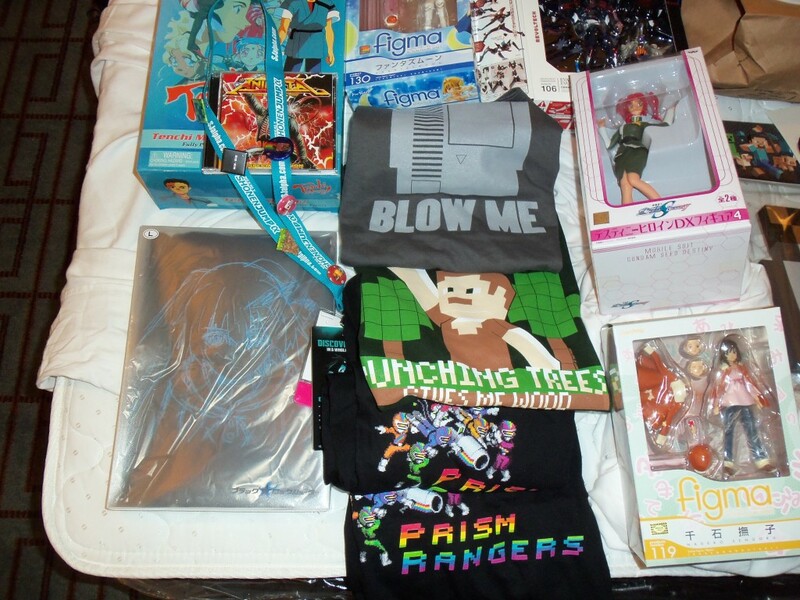 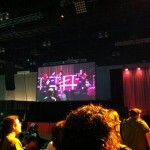 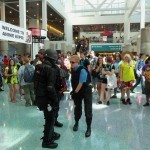 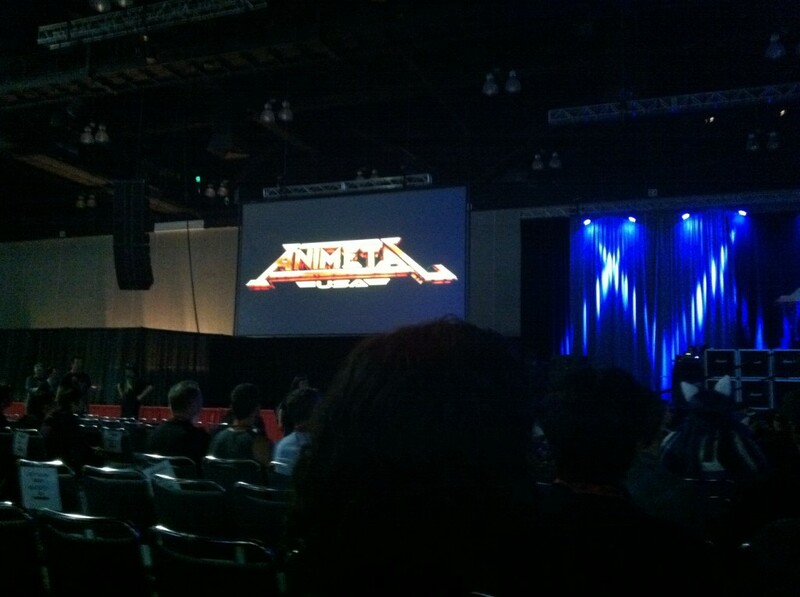 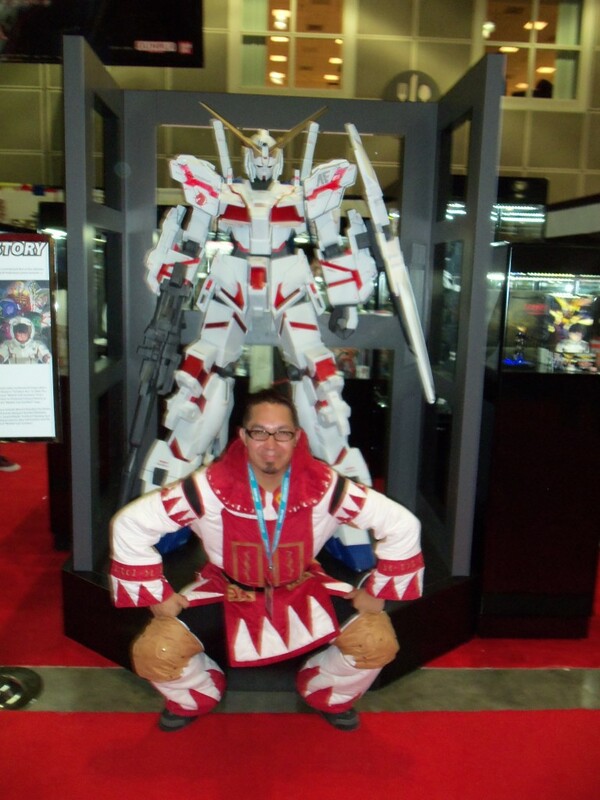 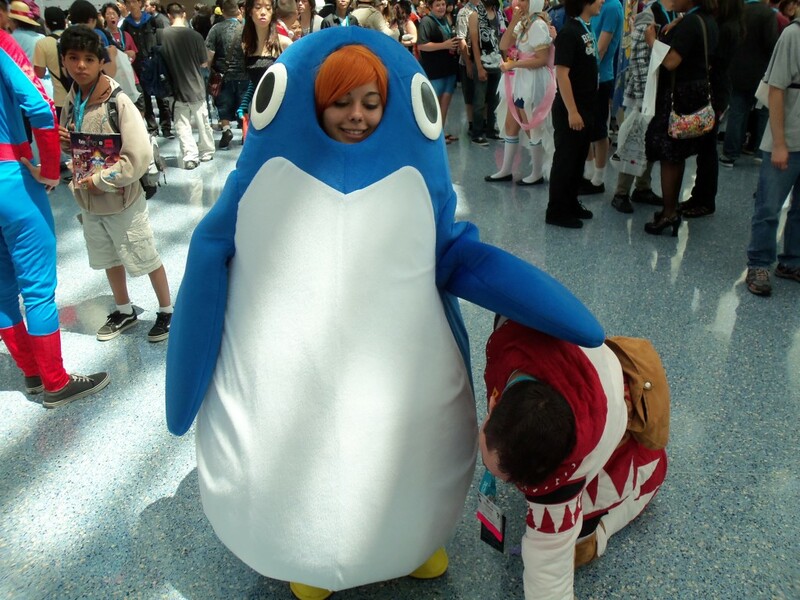 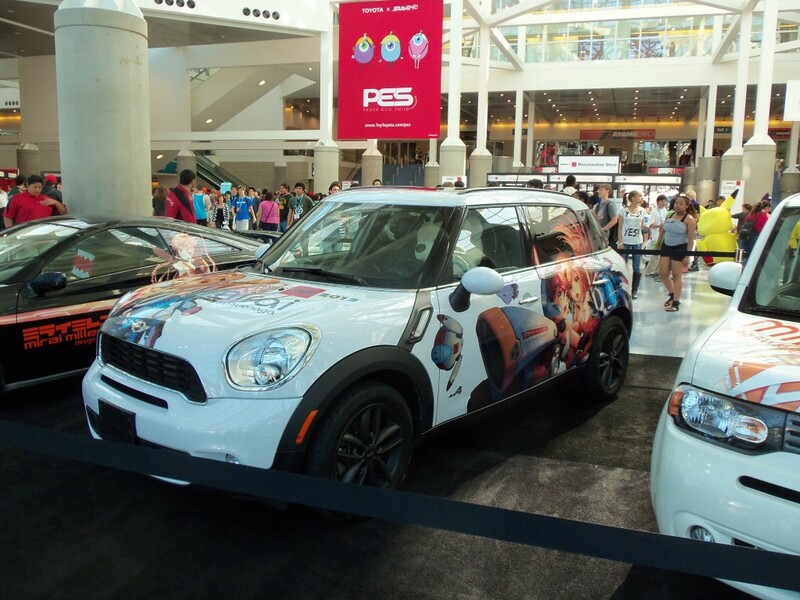 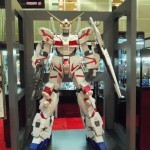 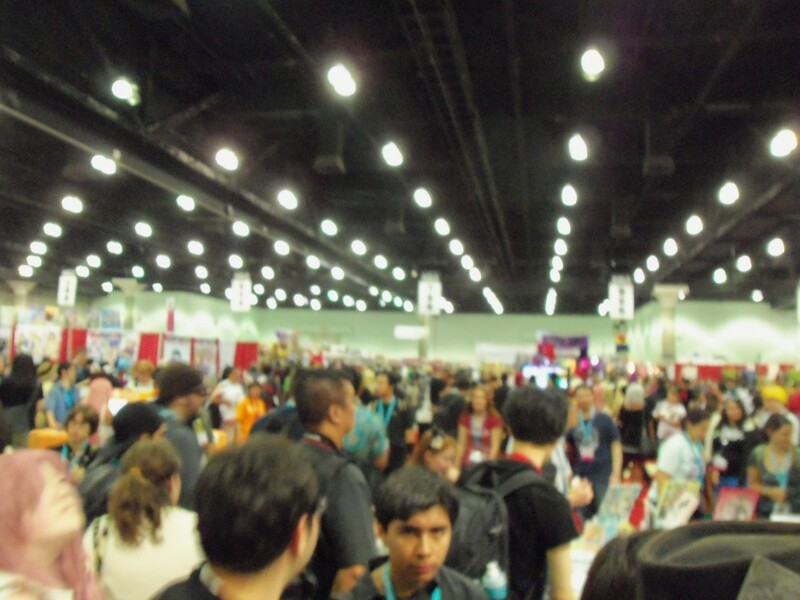 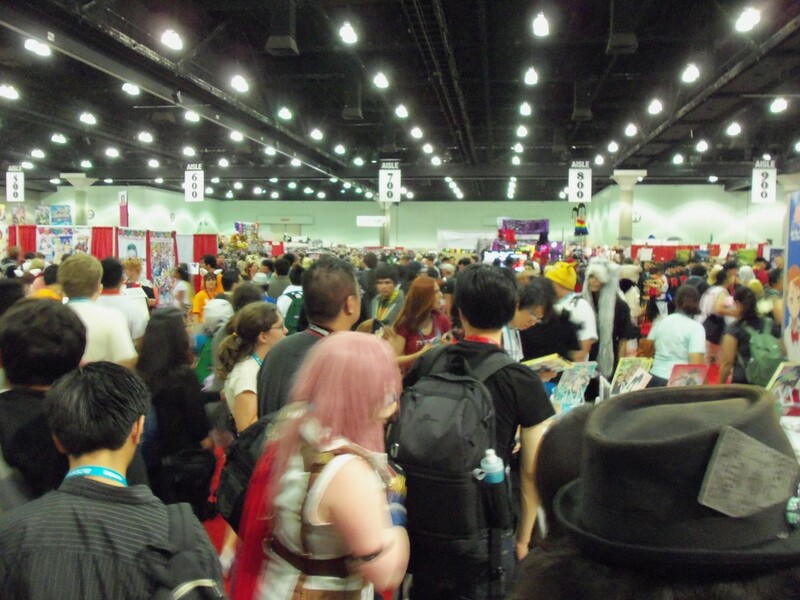 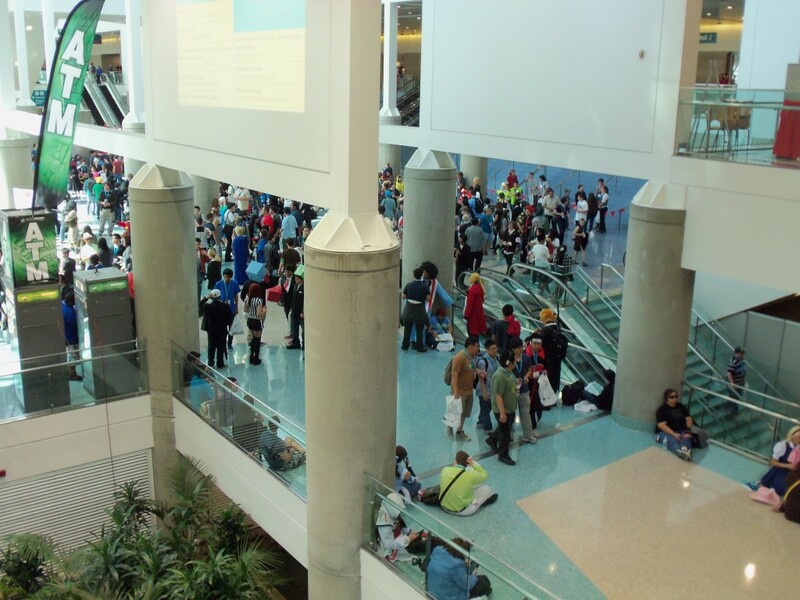 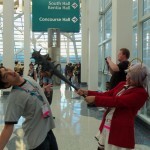 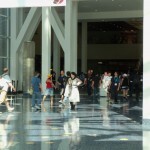 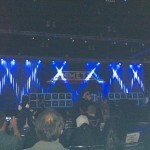 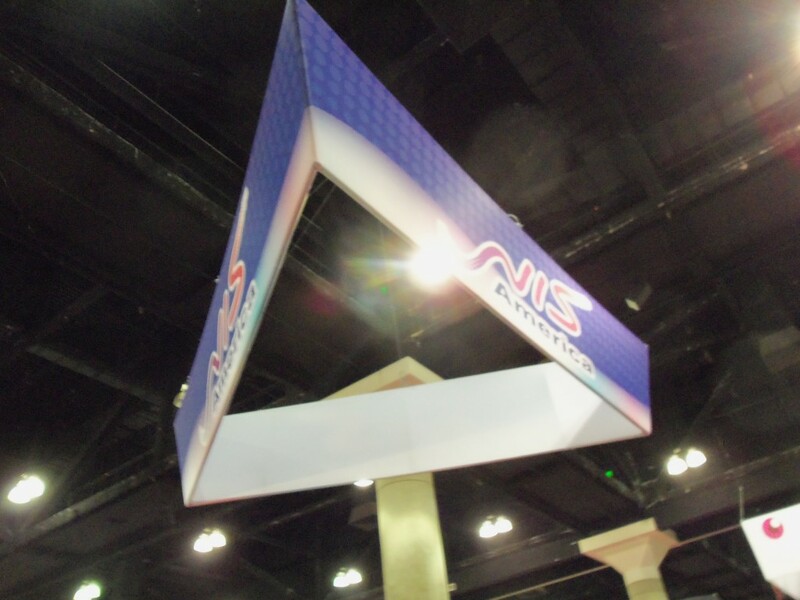 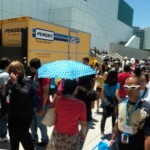 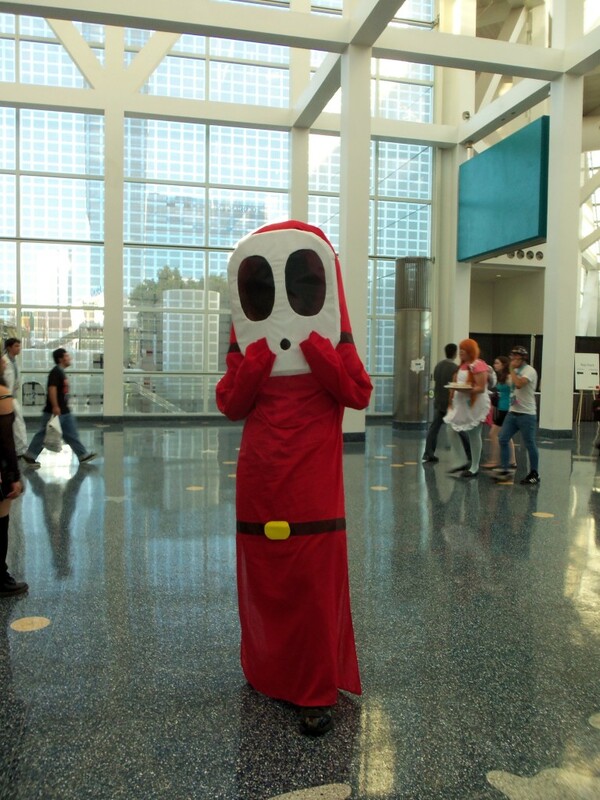 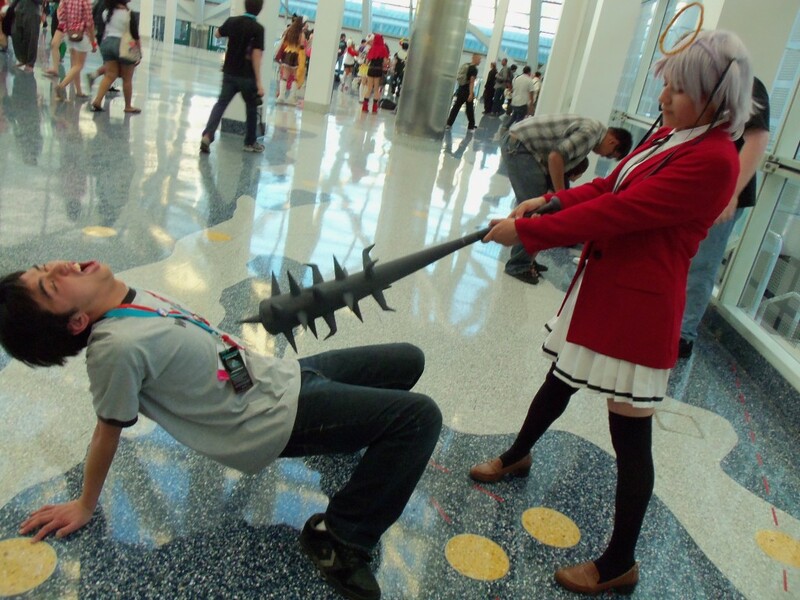 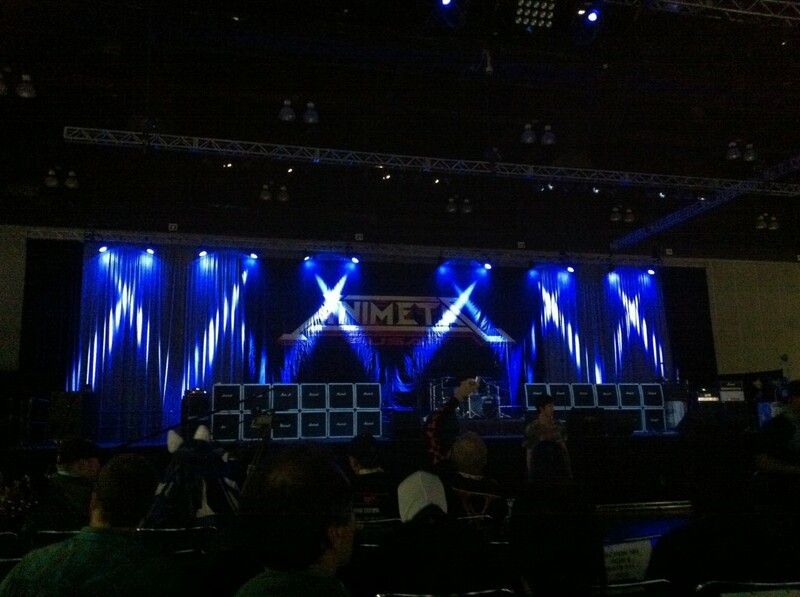 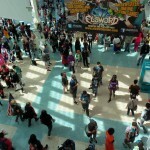 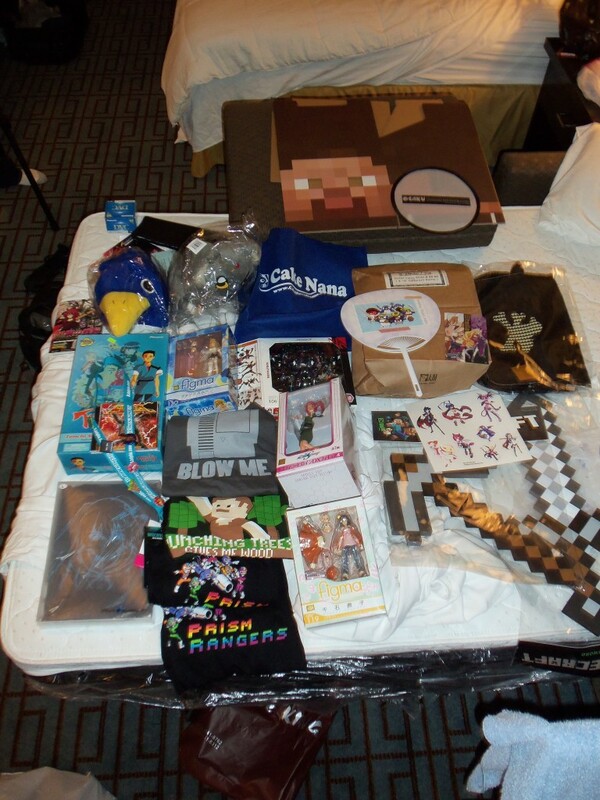 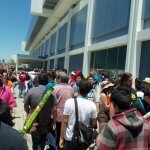 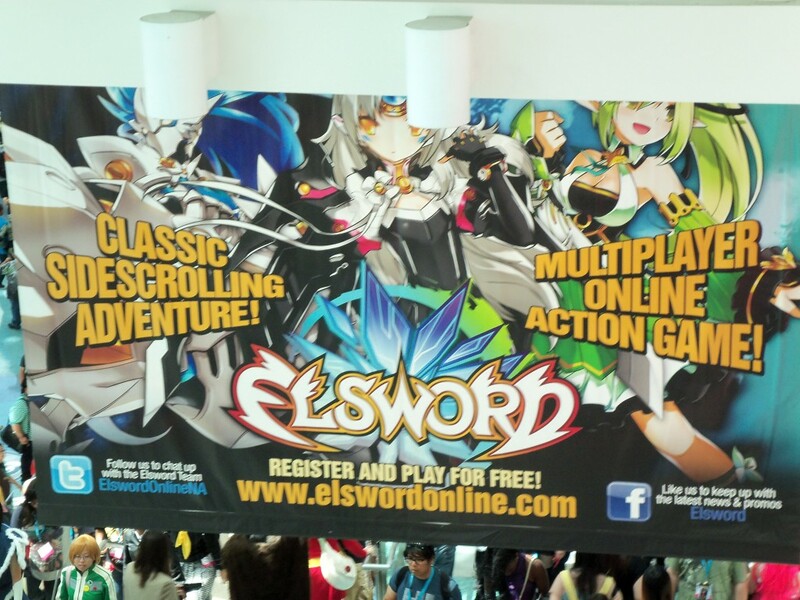 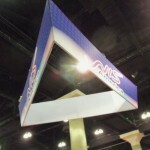 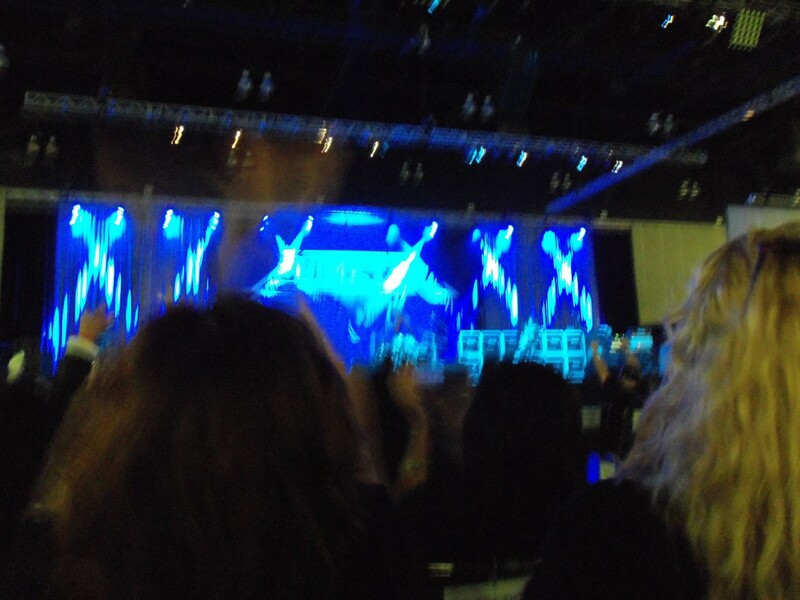 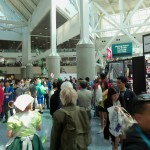 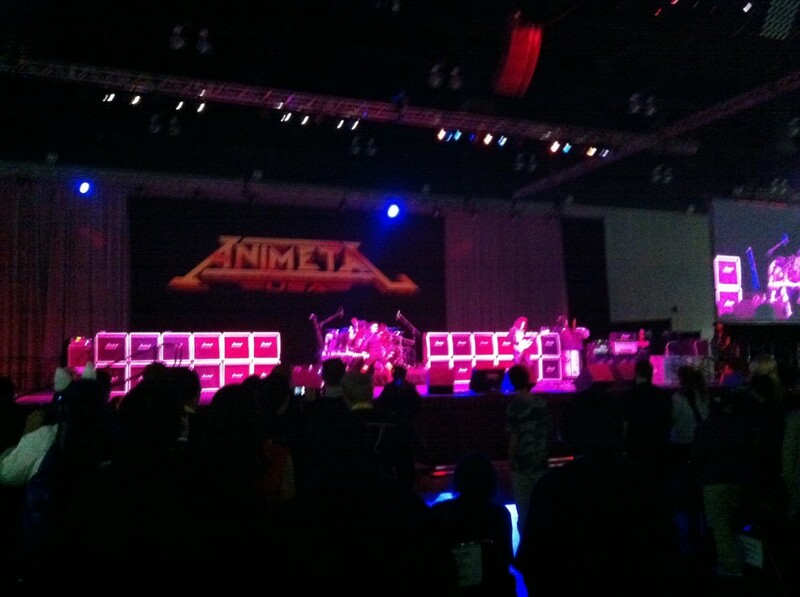 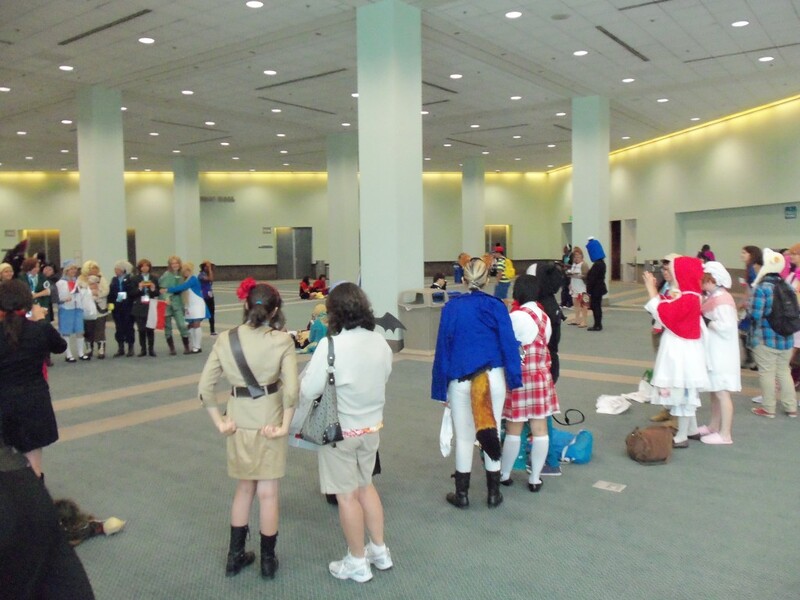 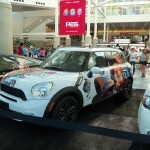 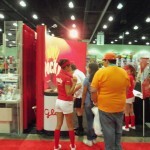 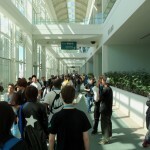 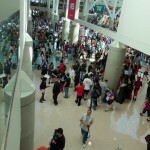 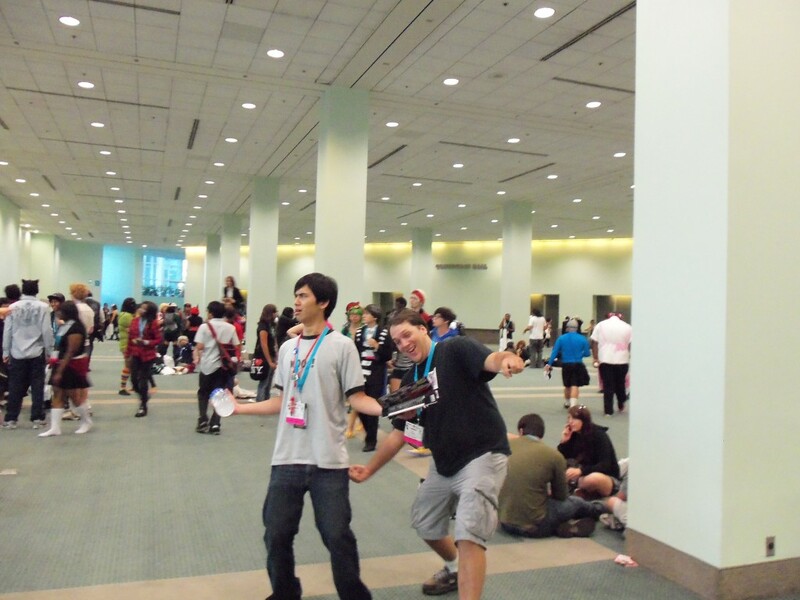 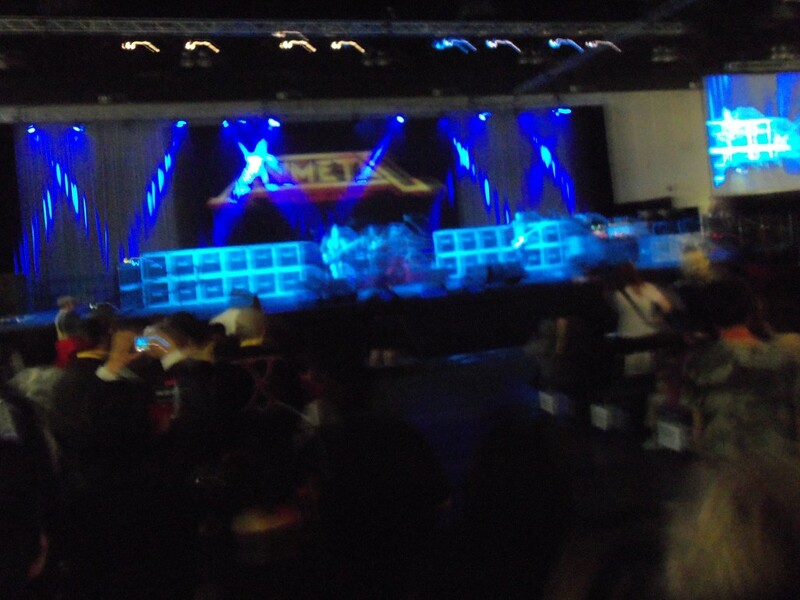 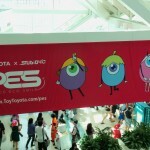 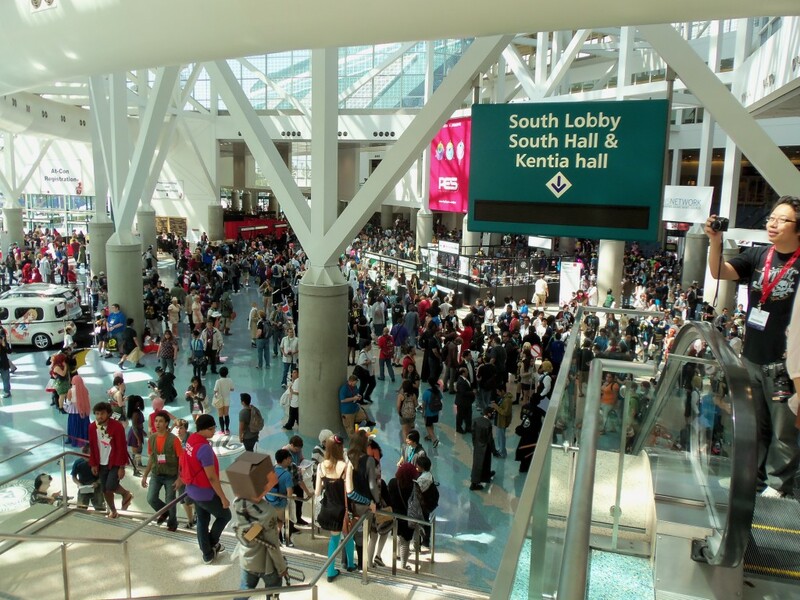 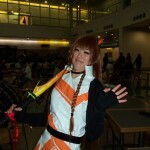 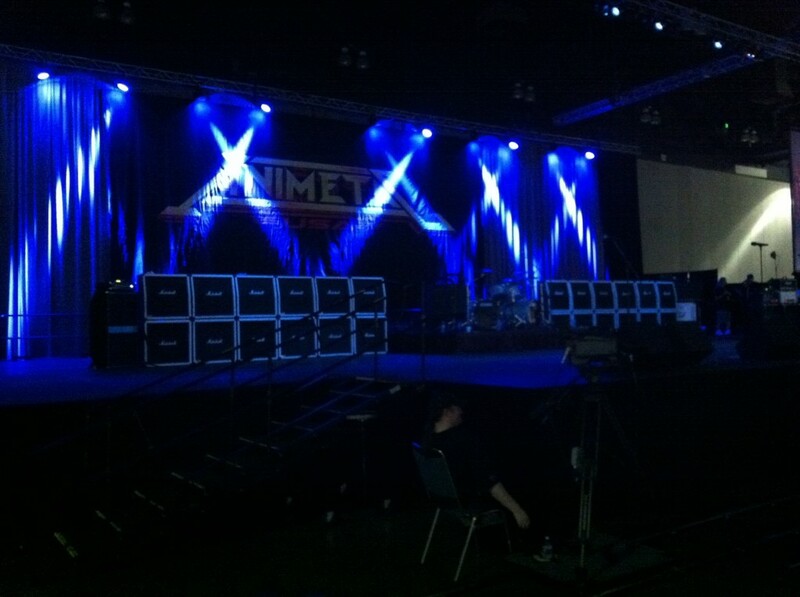 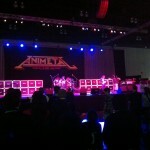 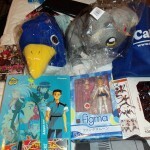 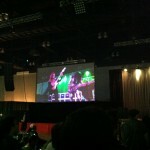 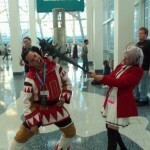 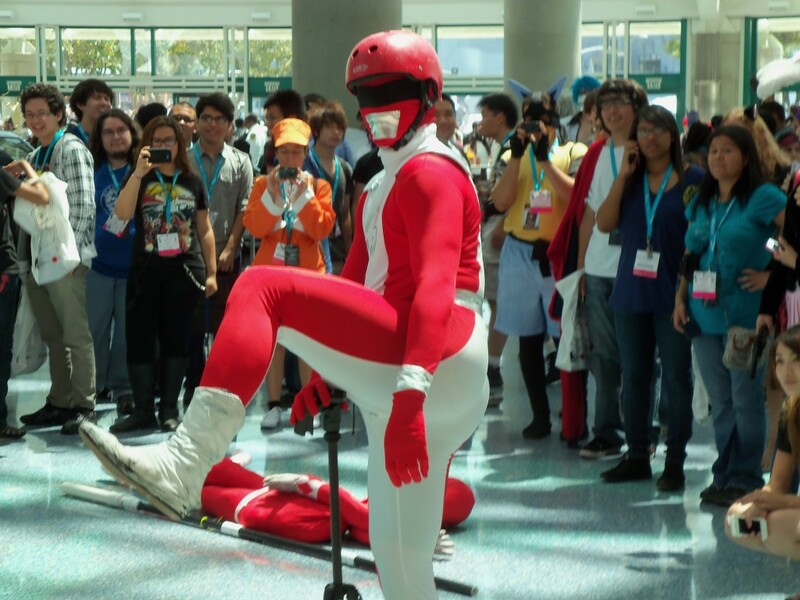 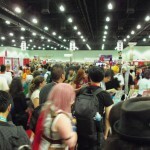 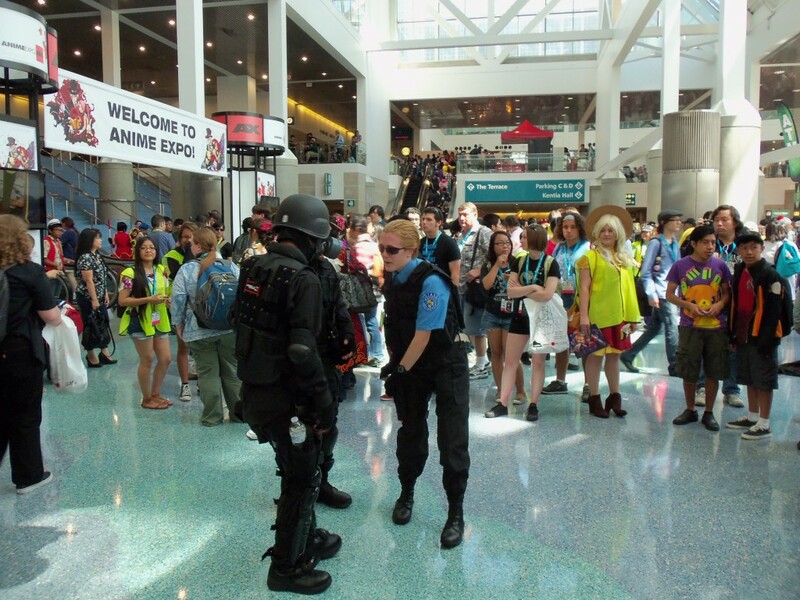 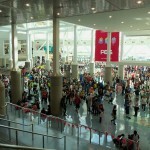 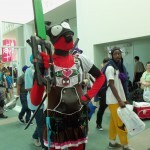 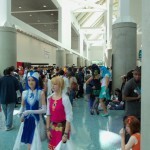 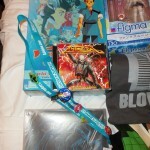 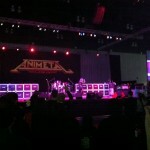 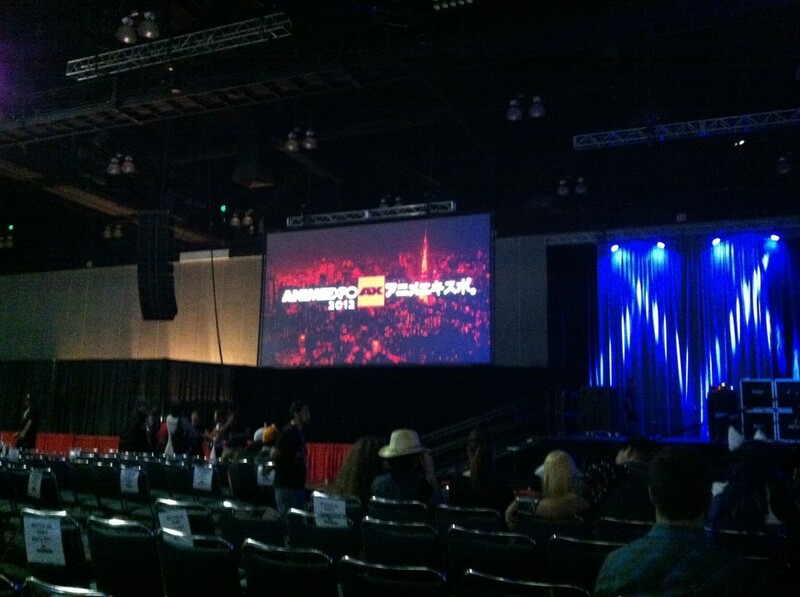 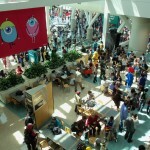 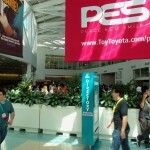 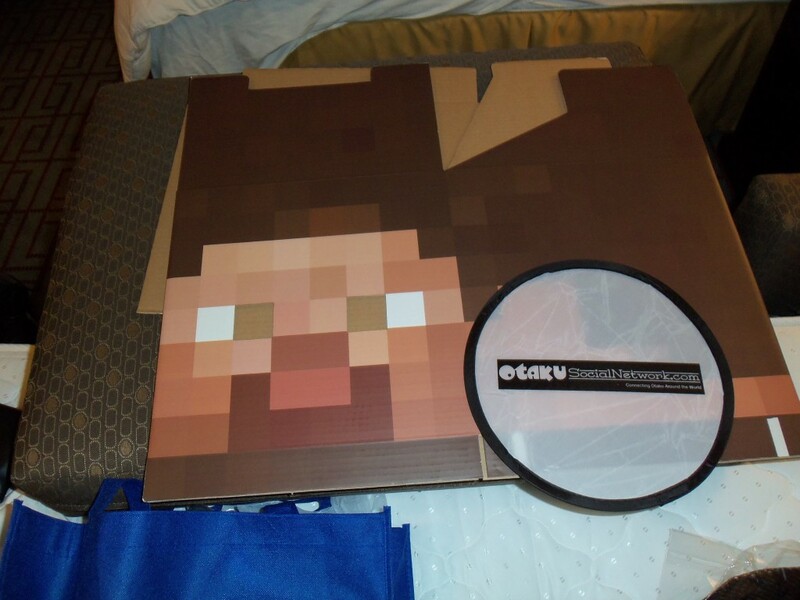 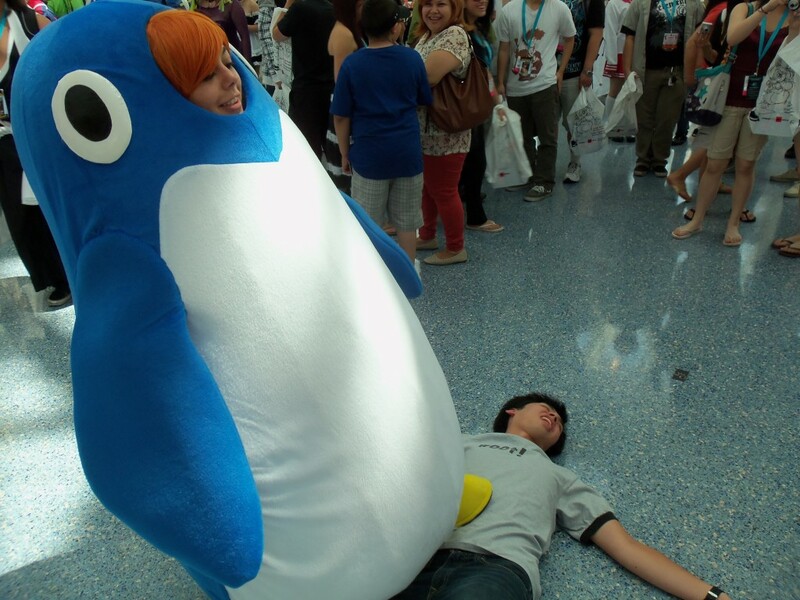 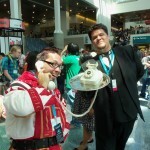 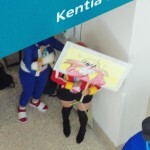 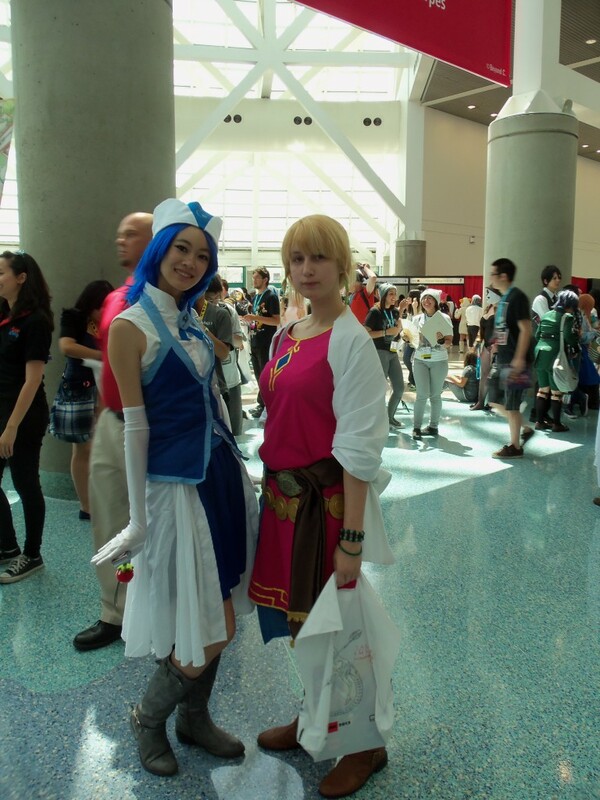 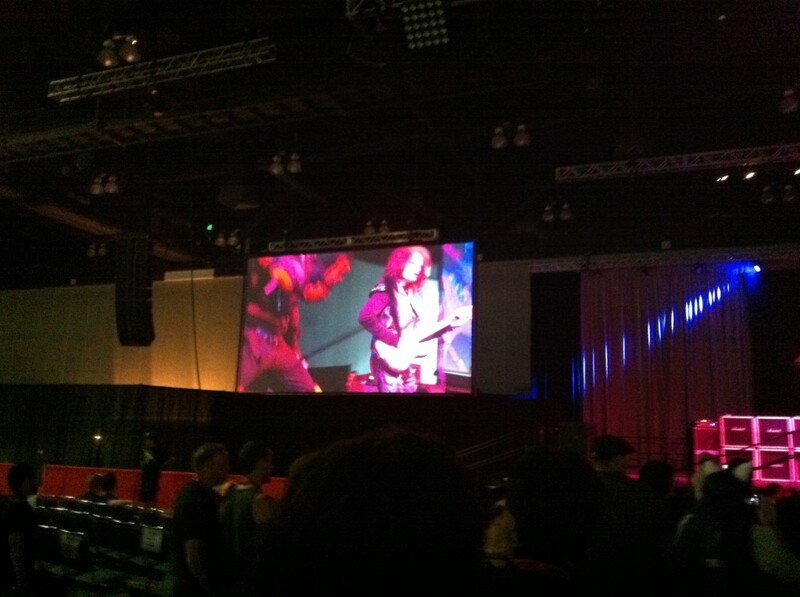 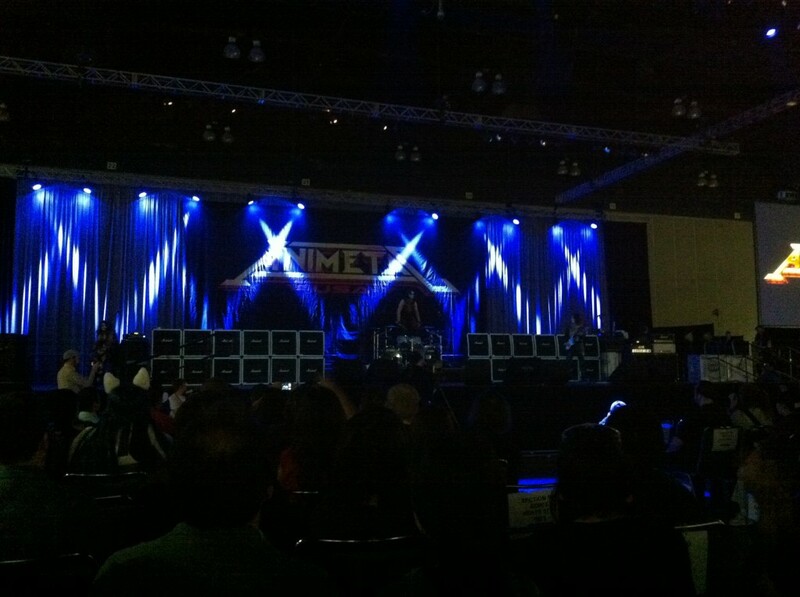 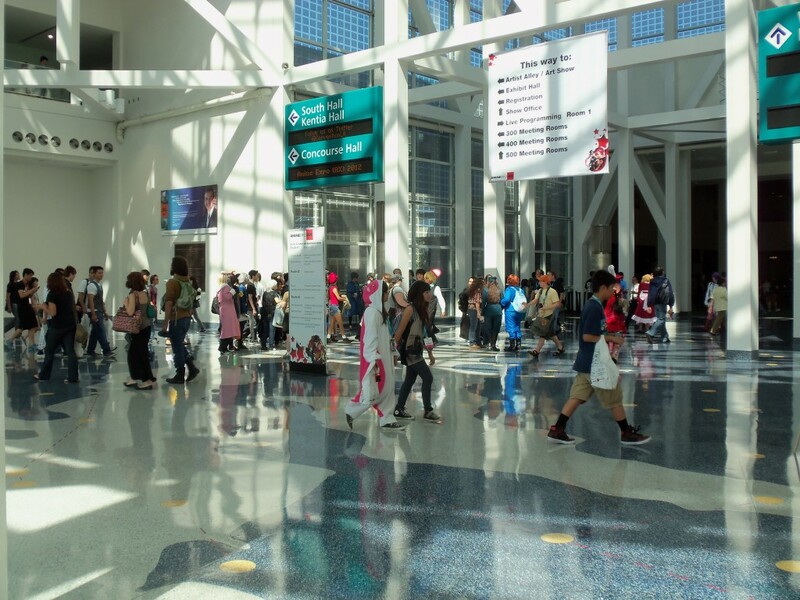 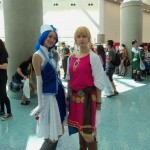 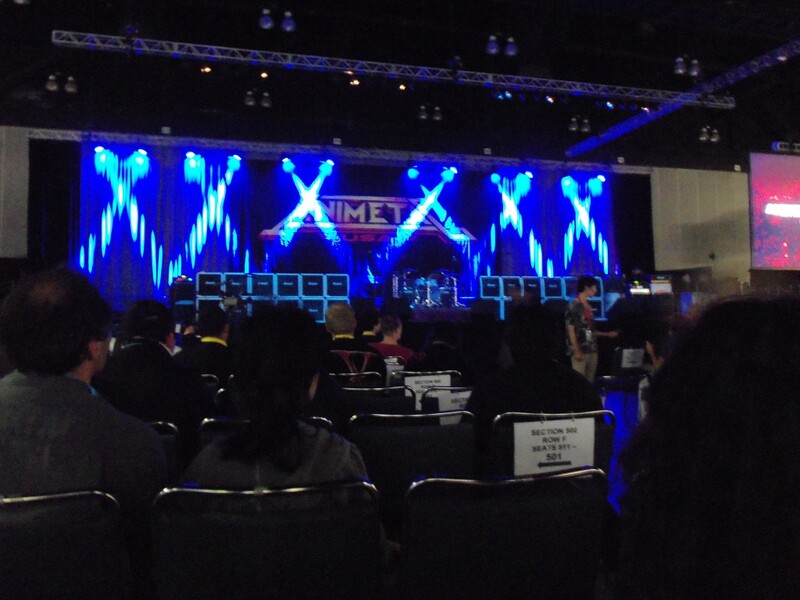 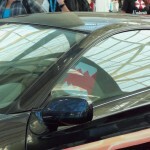 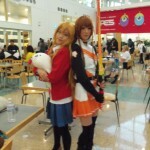 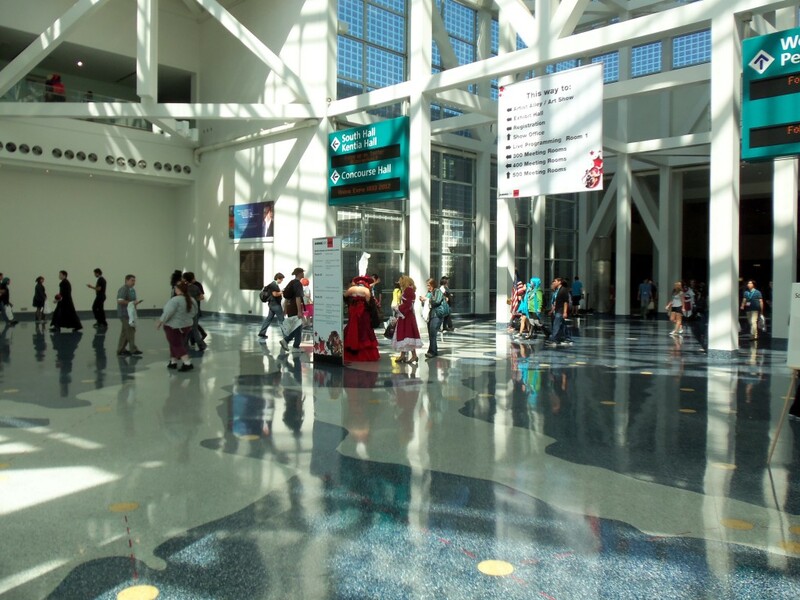 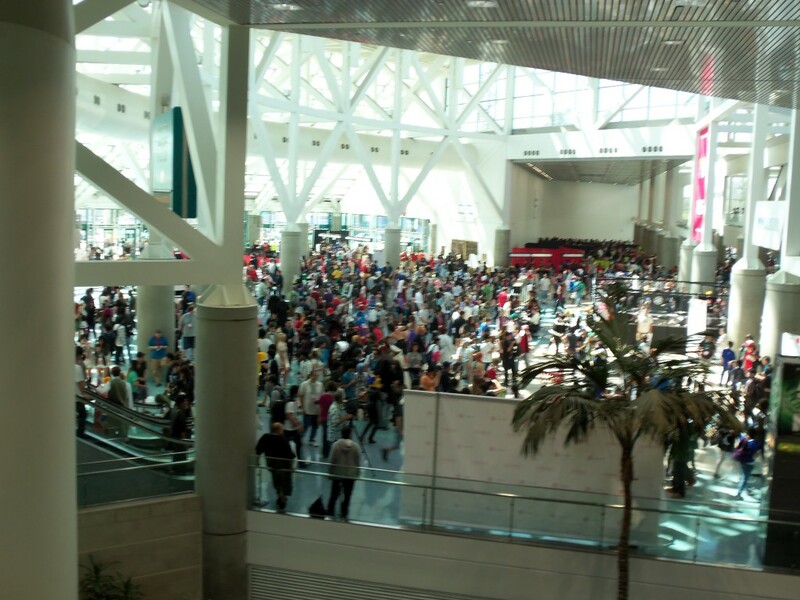 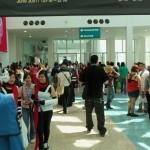 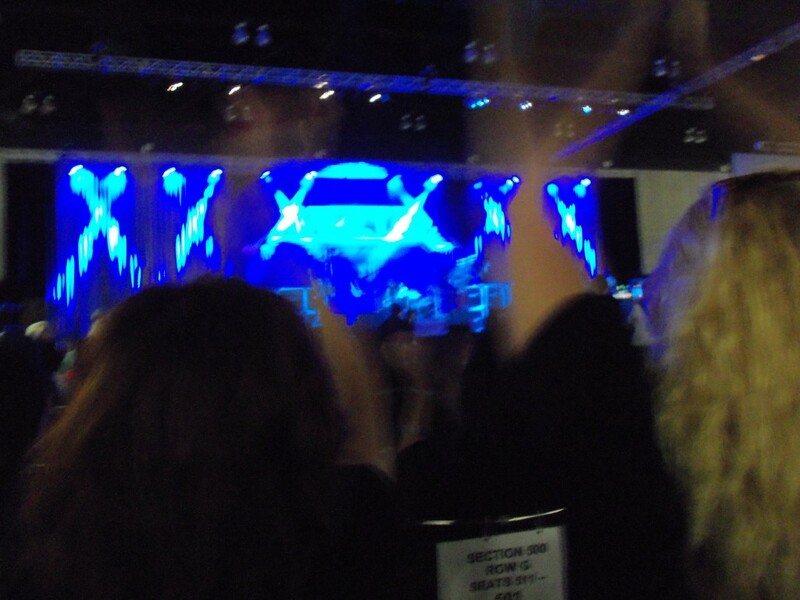 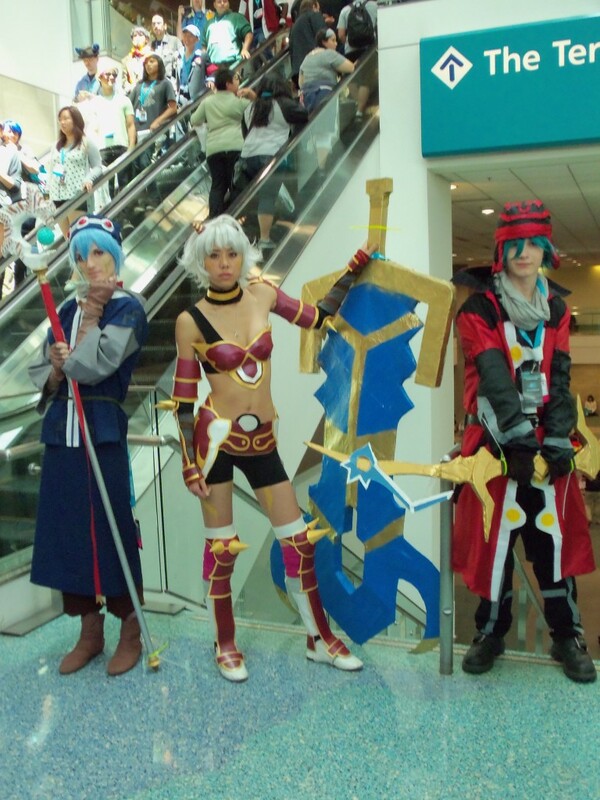 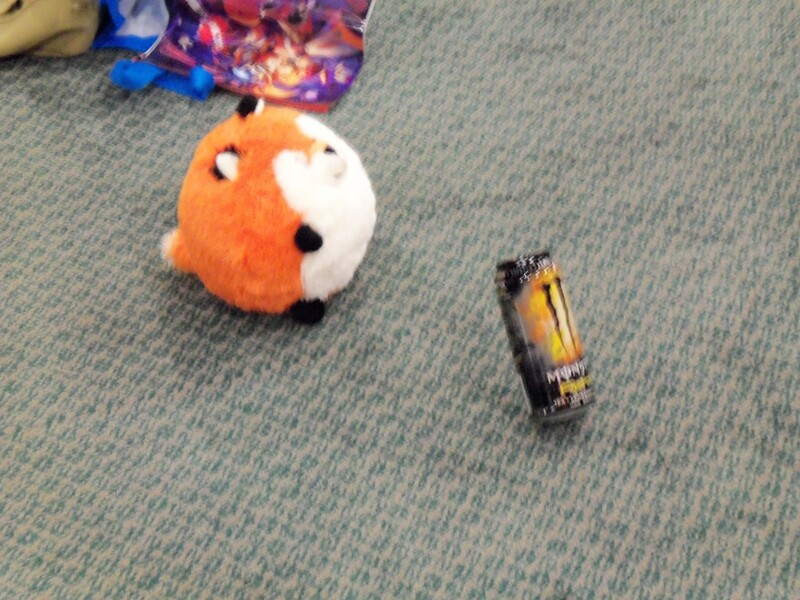 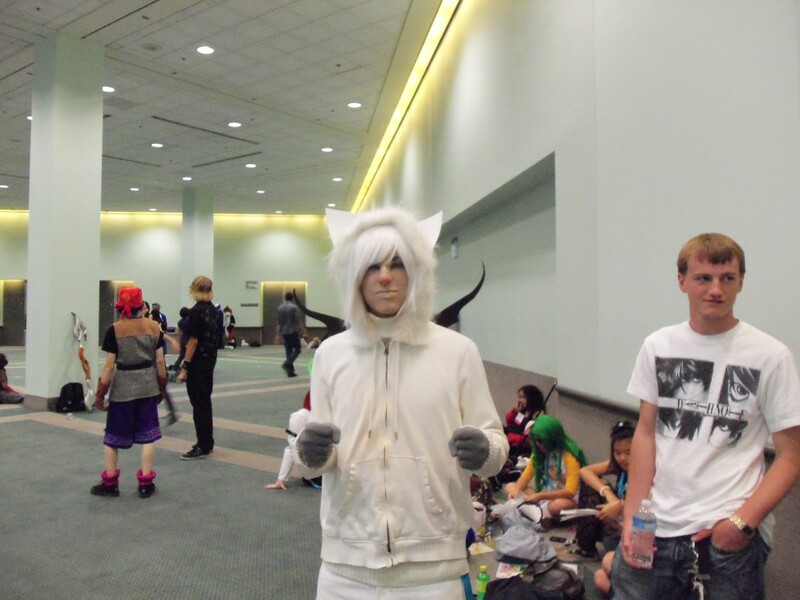 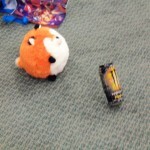 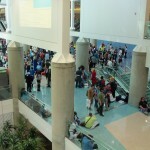 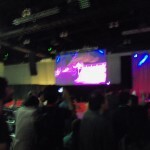 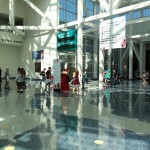 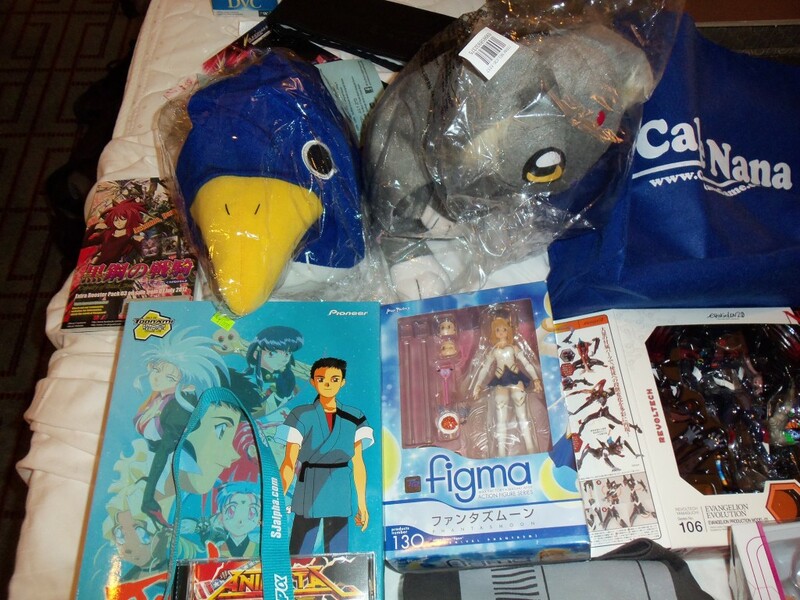 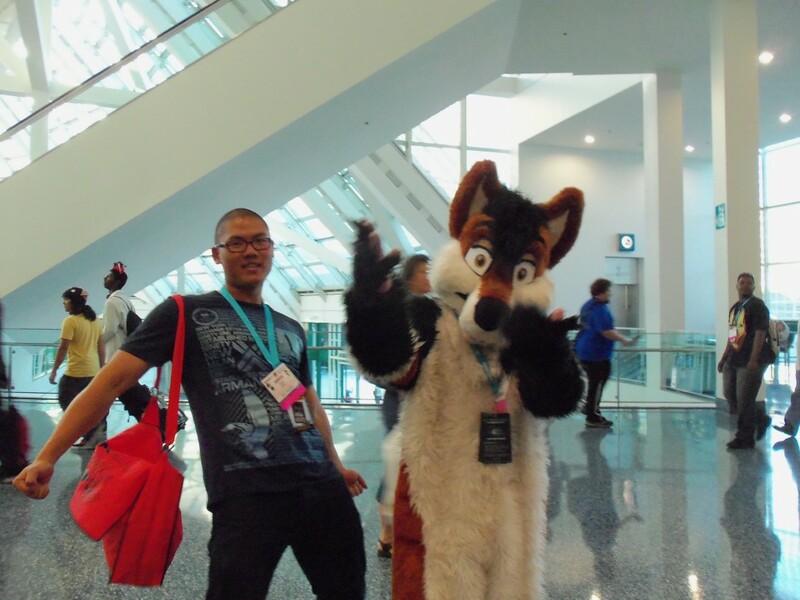 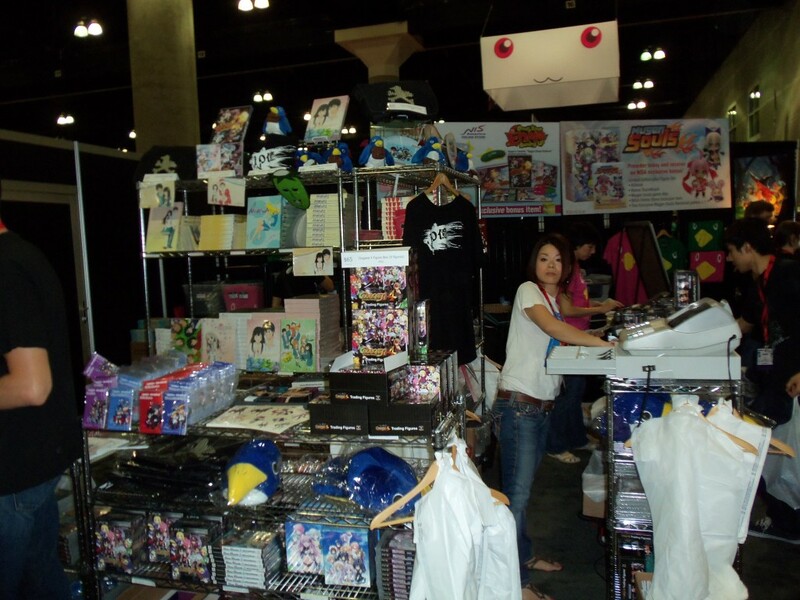 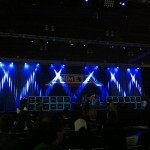 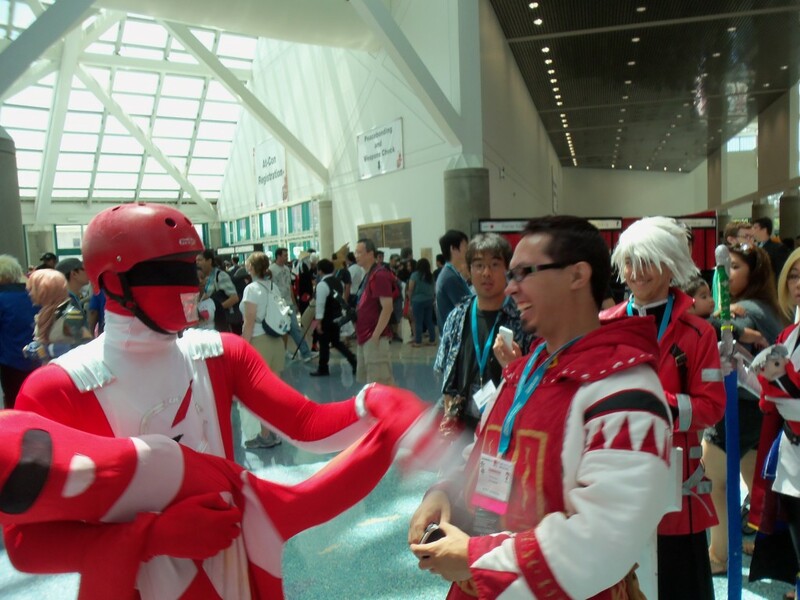 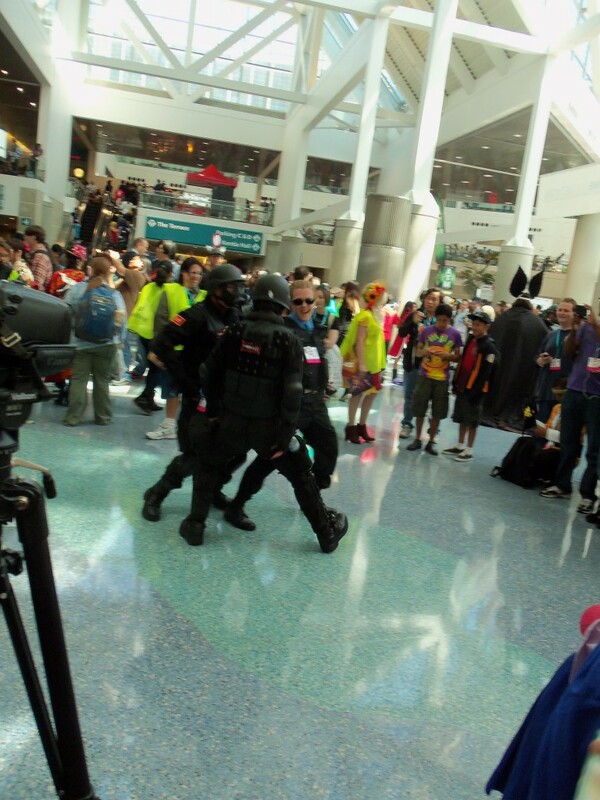 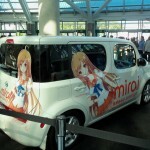 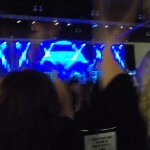 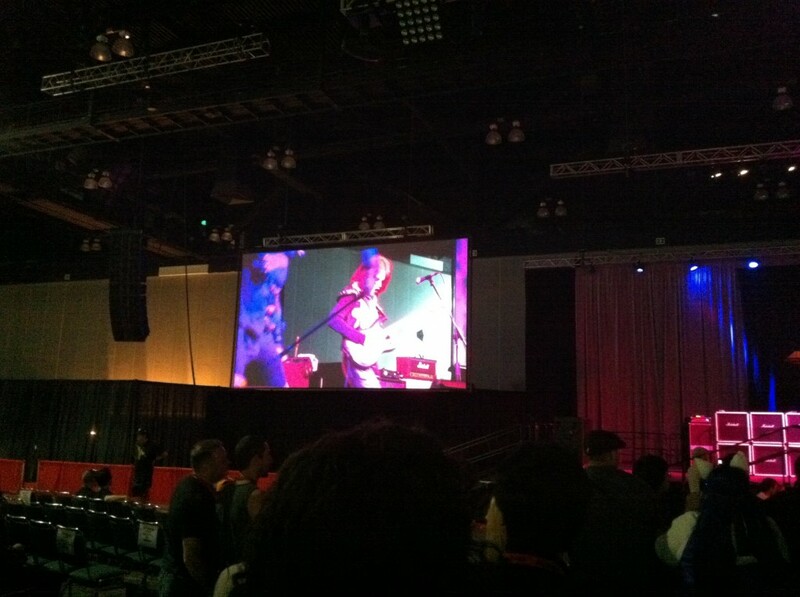 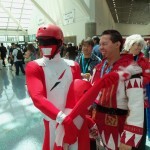 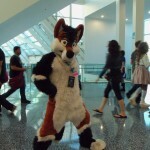 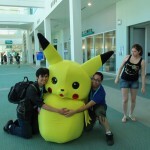 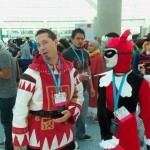 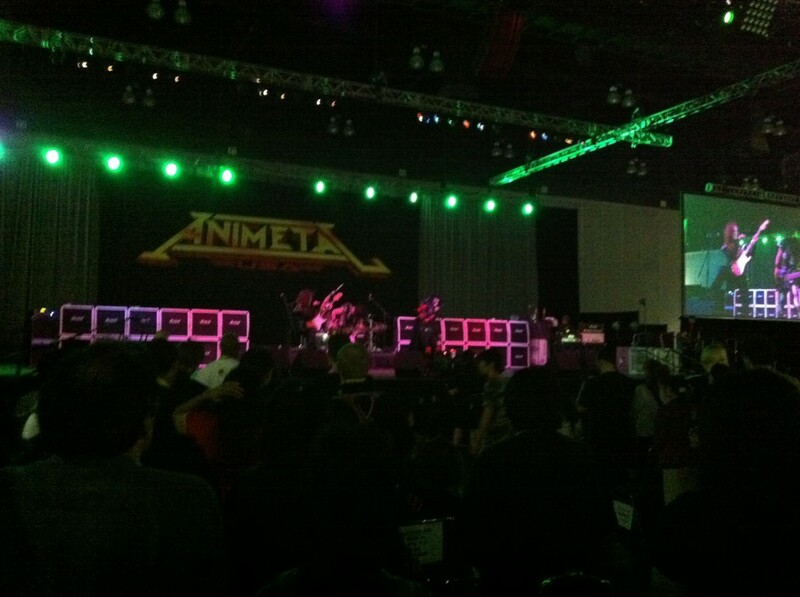 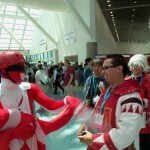 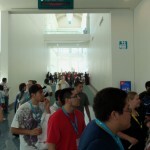 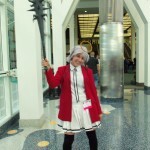 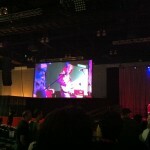 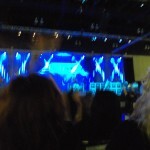 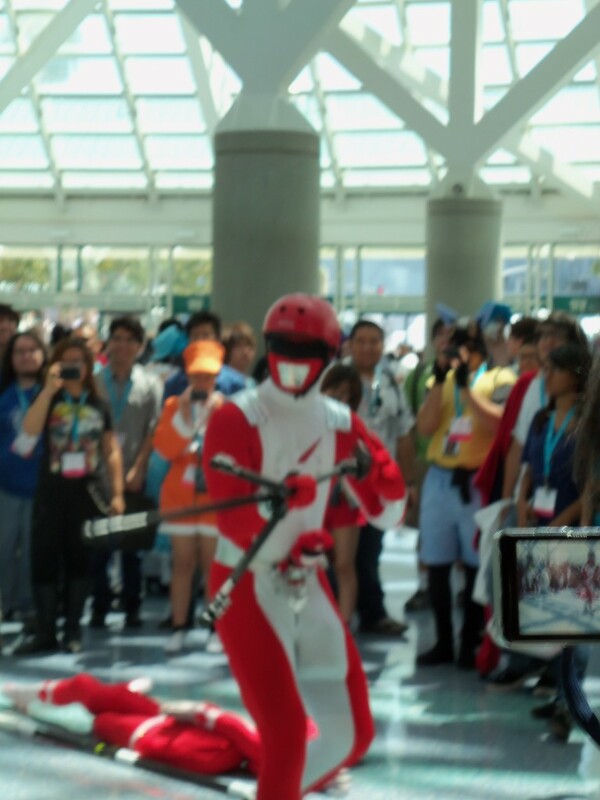 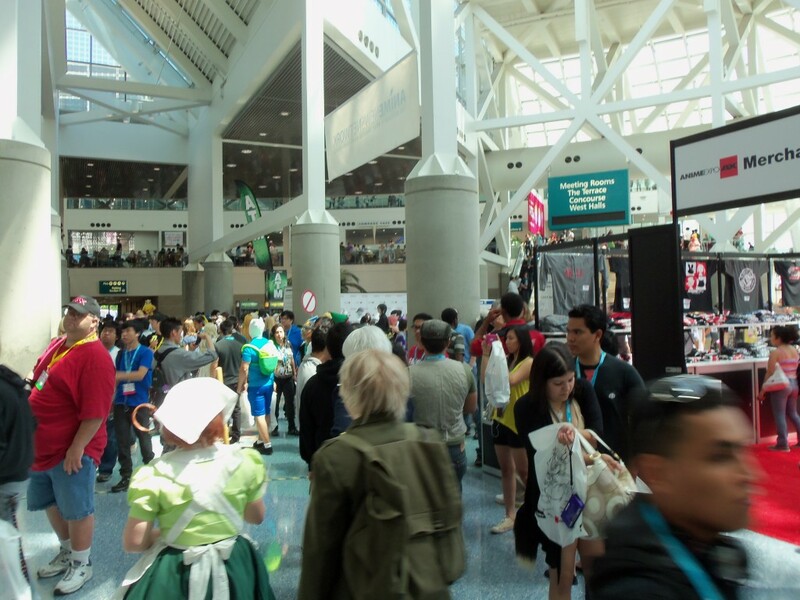 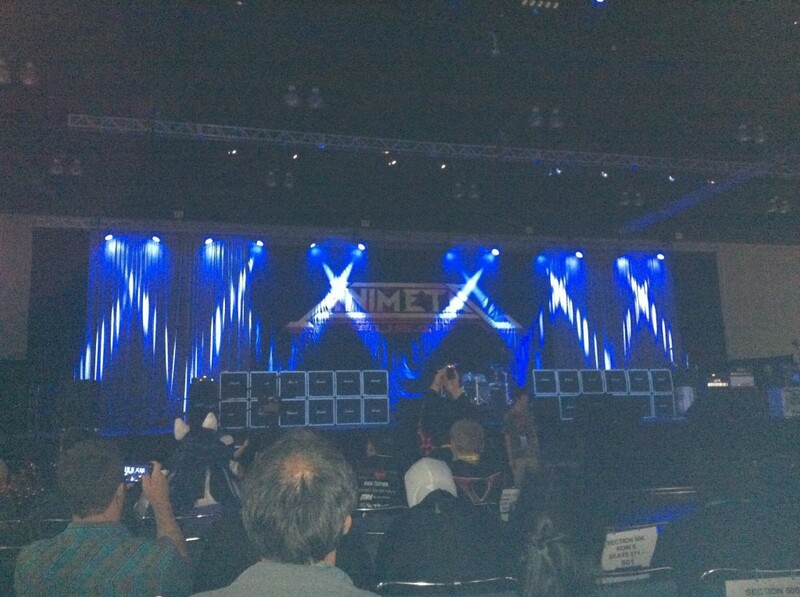 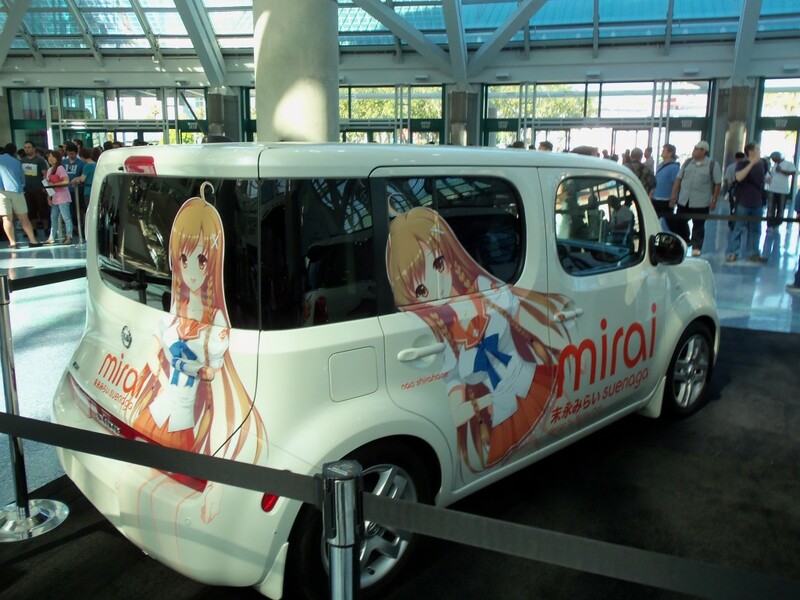 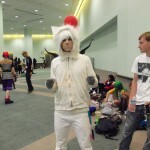 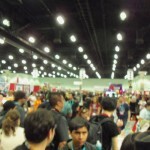 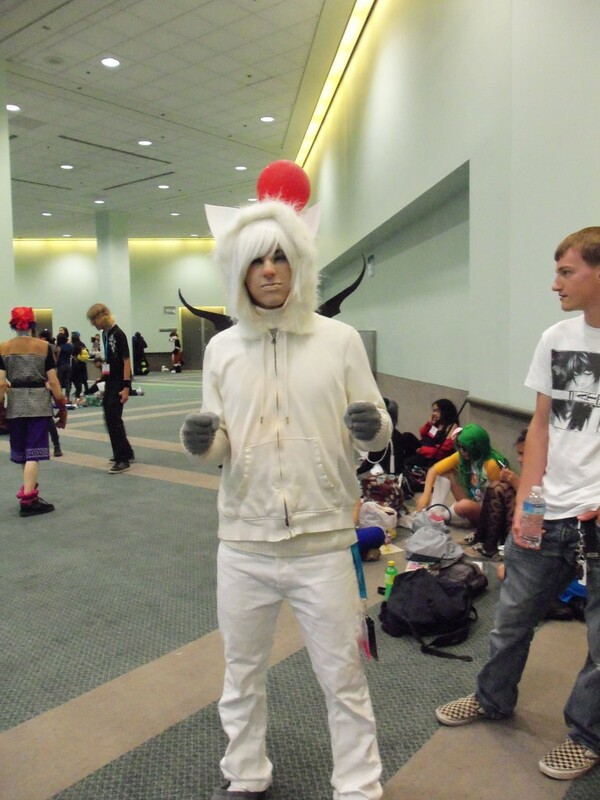 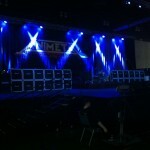 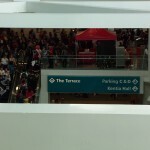 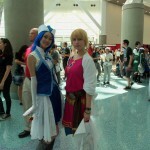 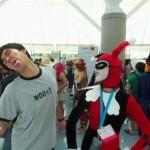 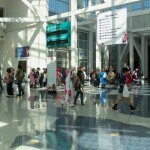 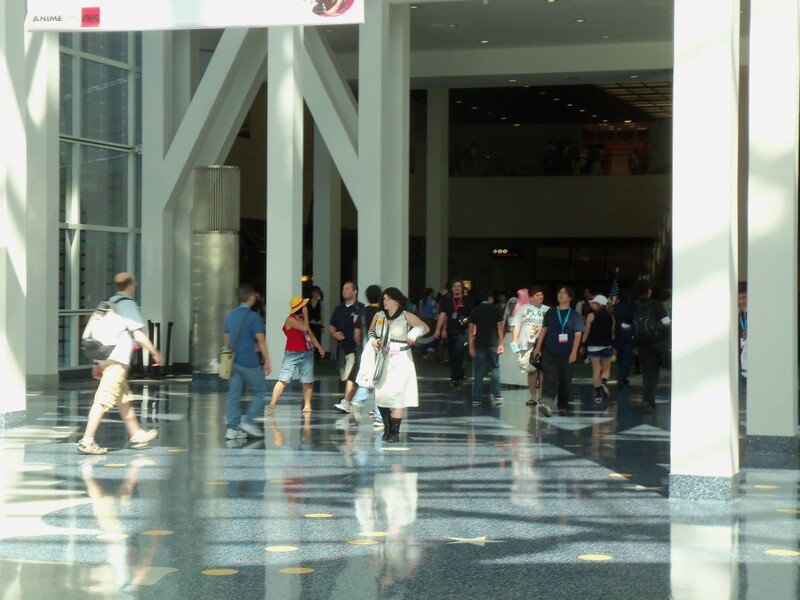 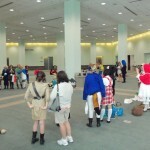 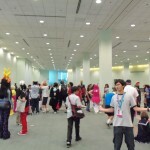 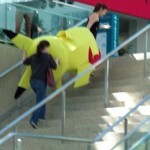 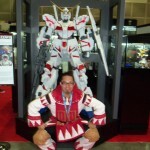 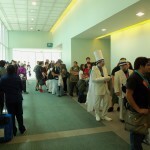 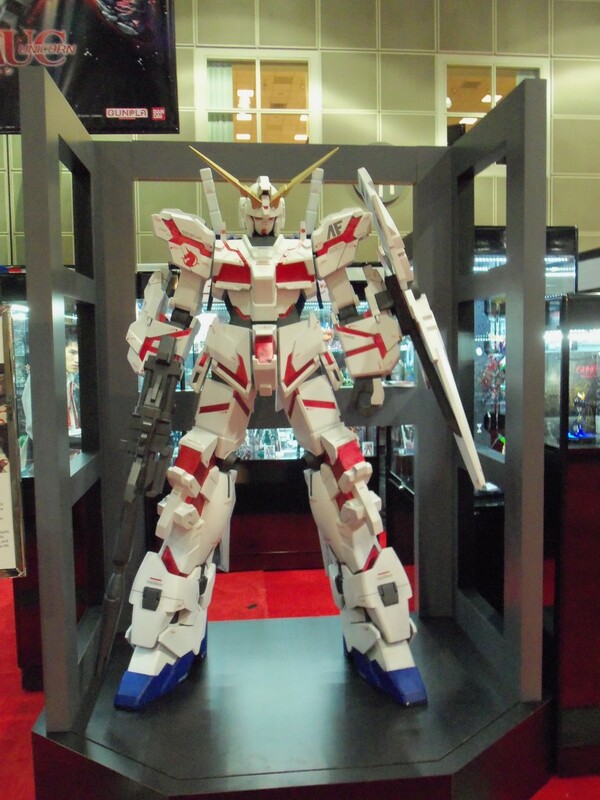 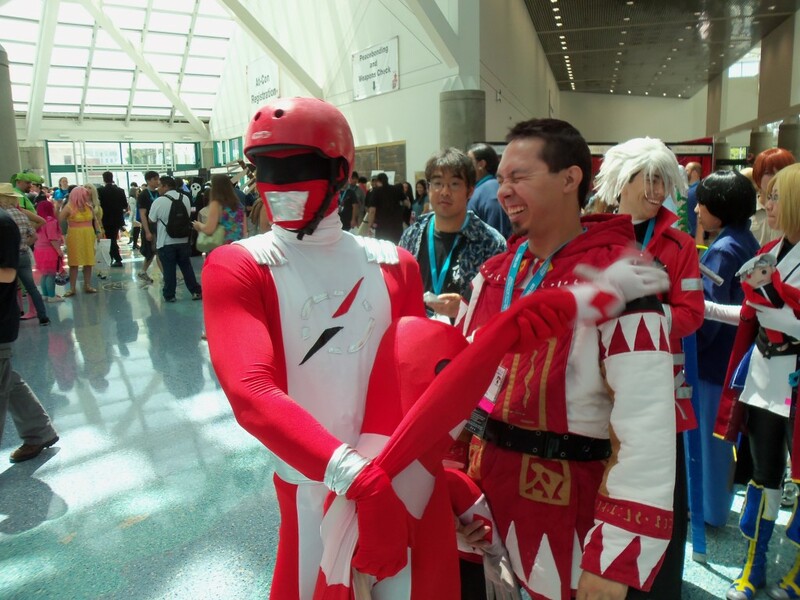 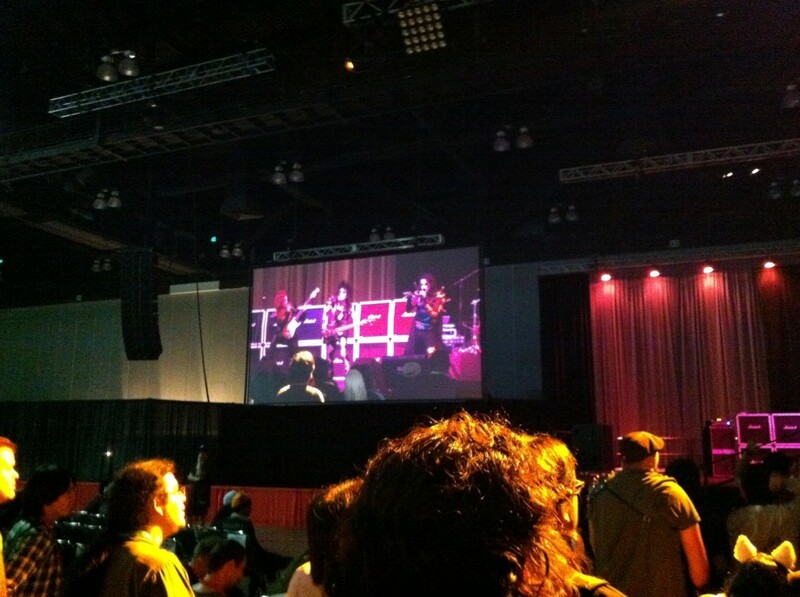 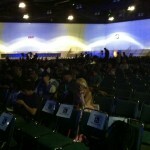 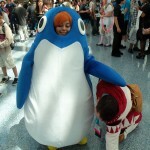 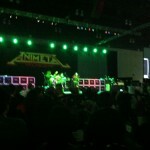 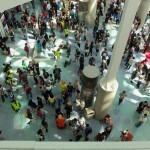 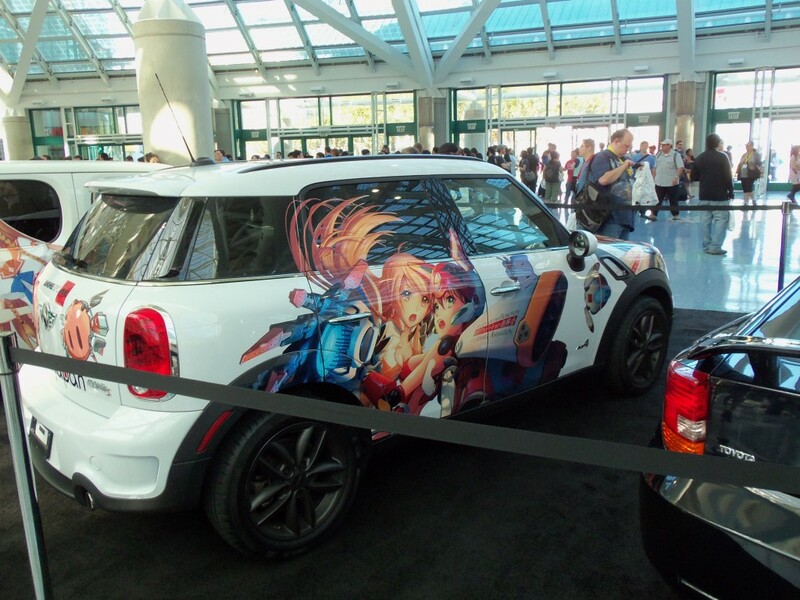 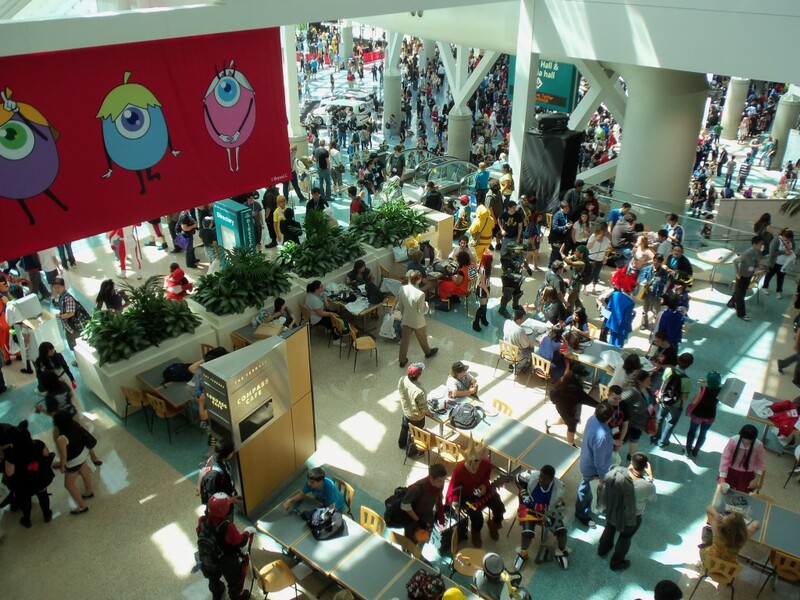 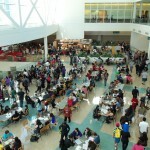 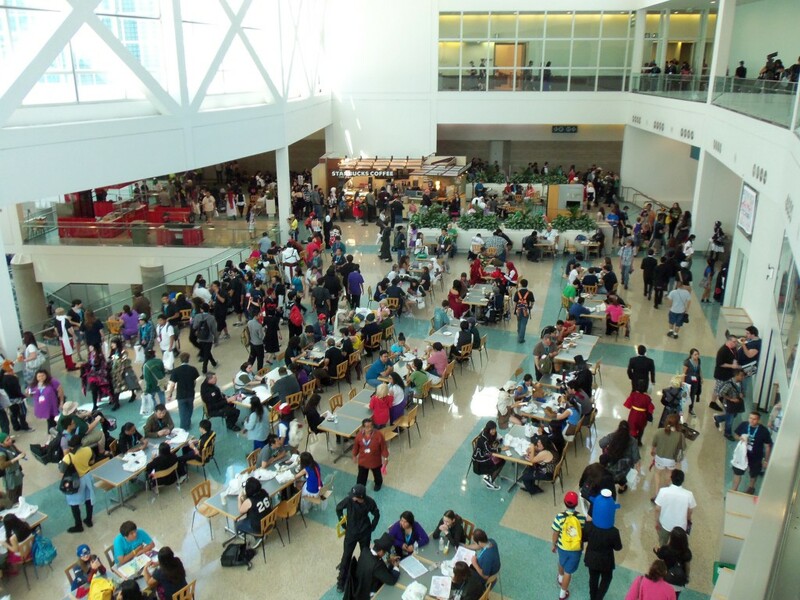 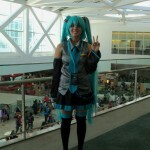 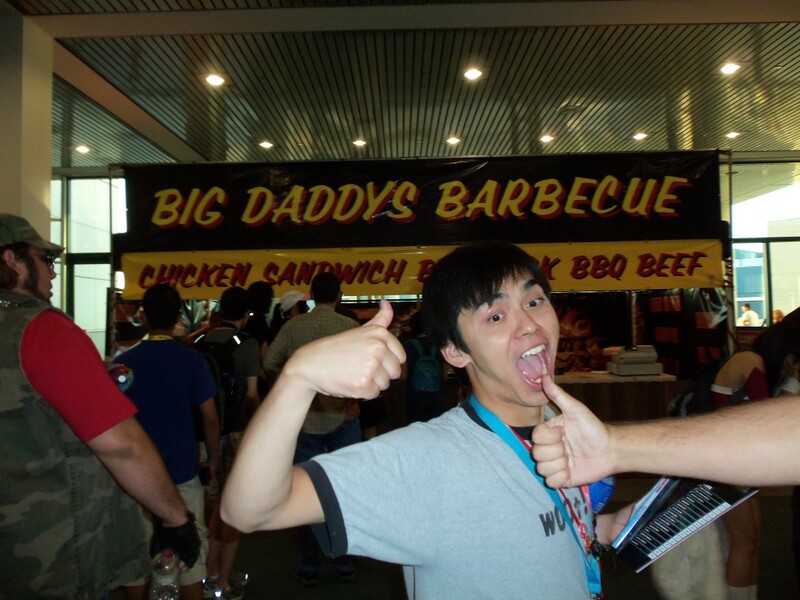 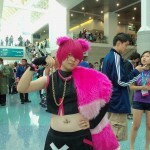 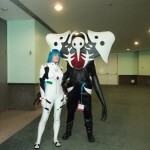 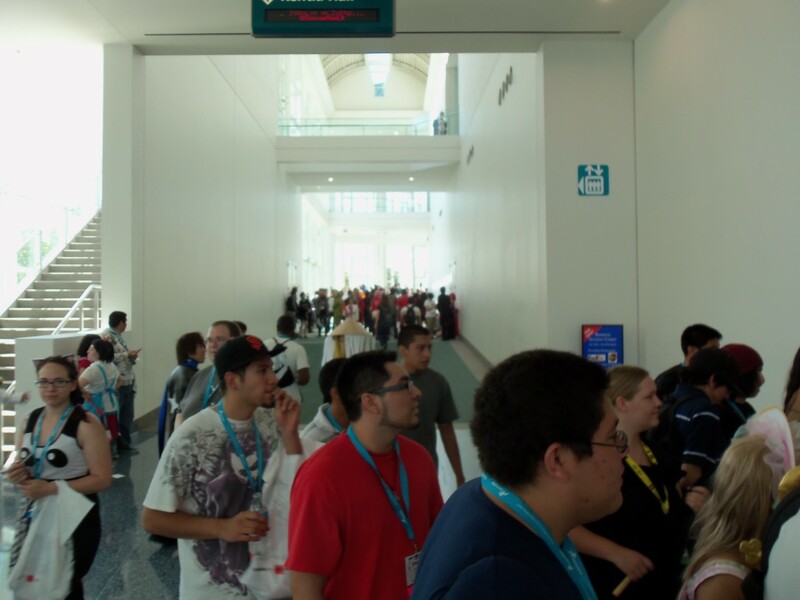 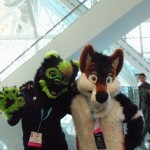 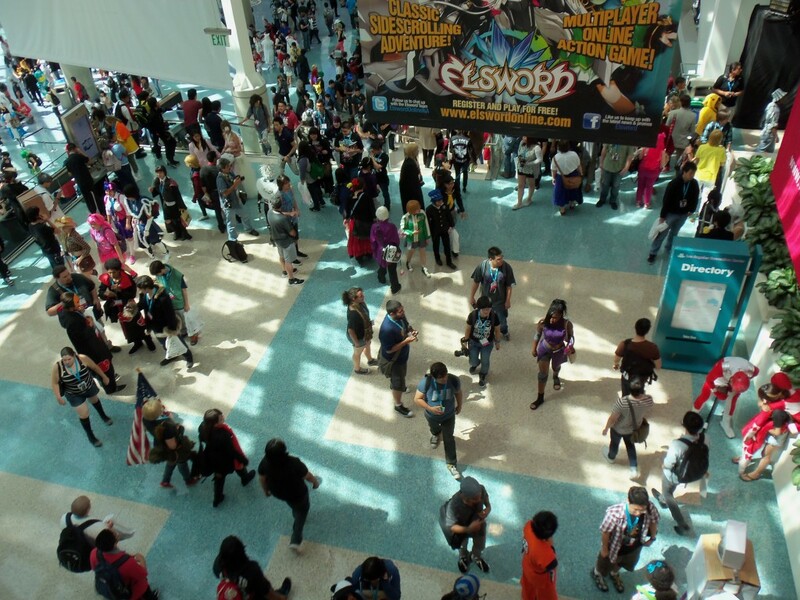 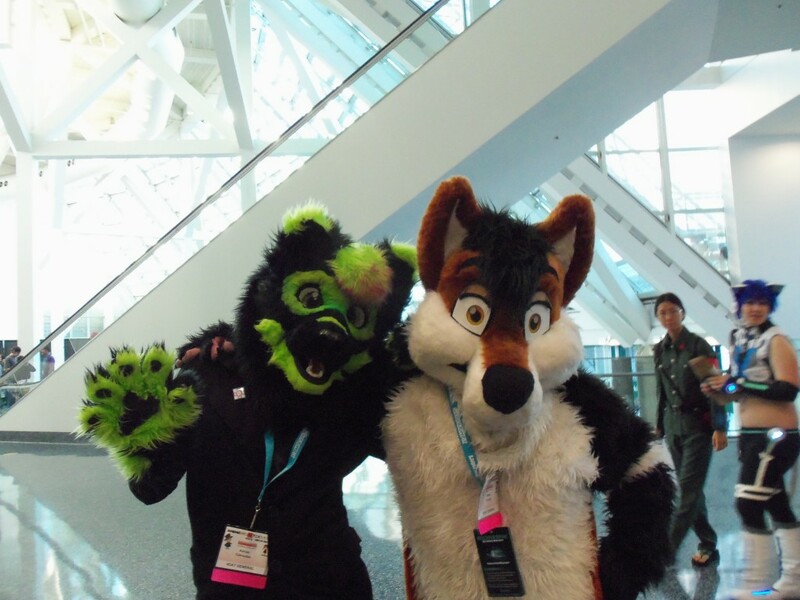 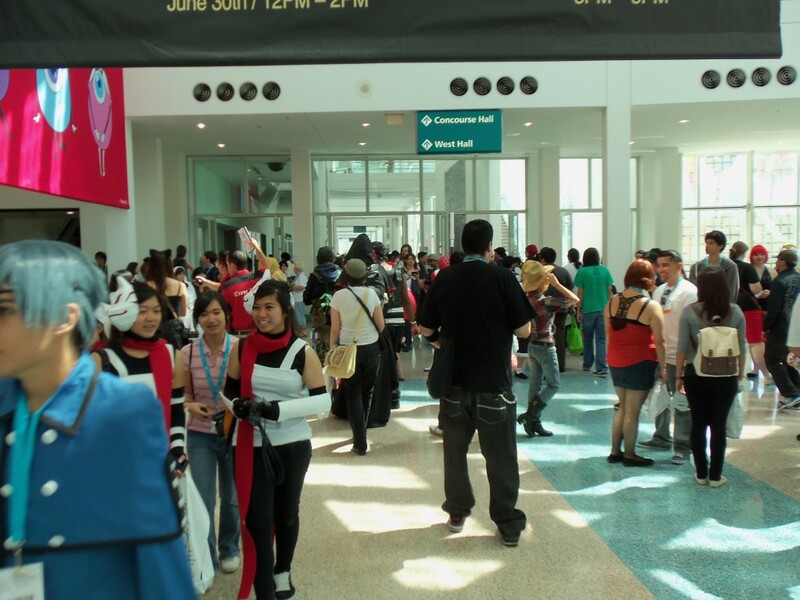 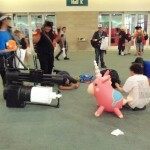 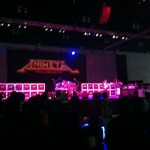 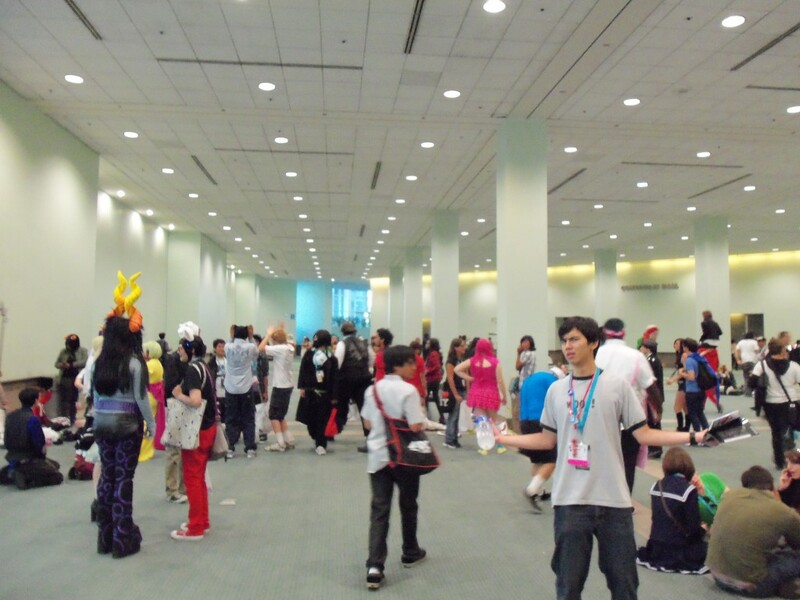 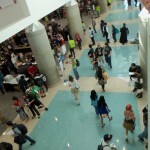 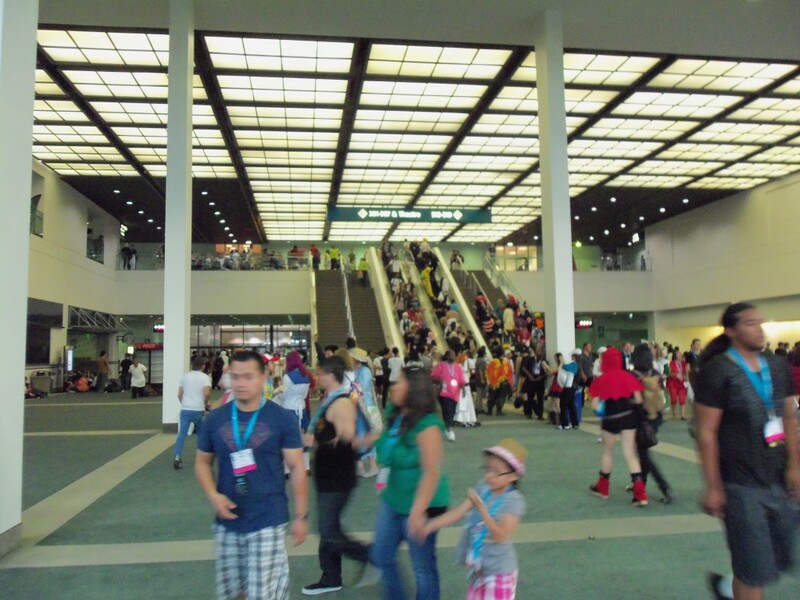 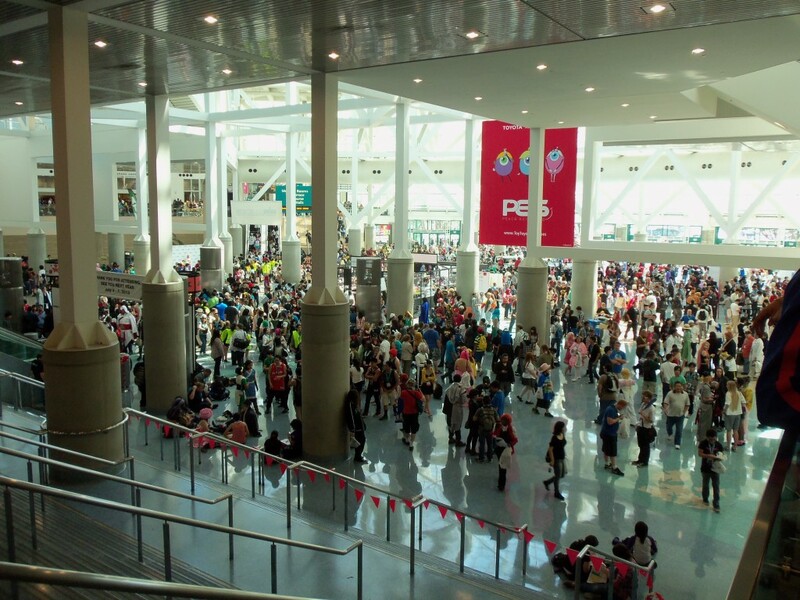 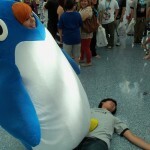 So that is all the video have from day 1 of Anime Expo 2012. 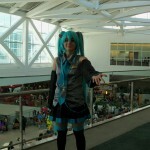 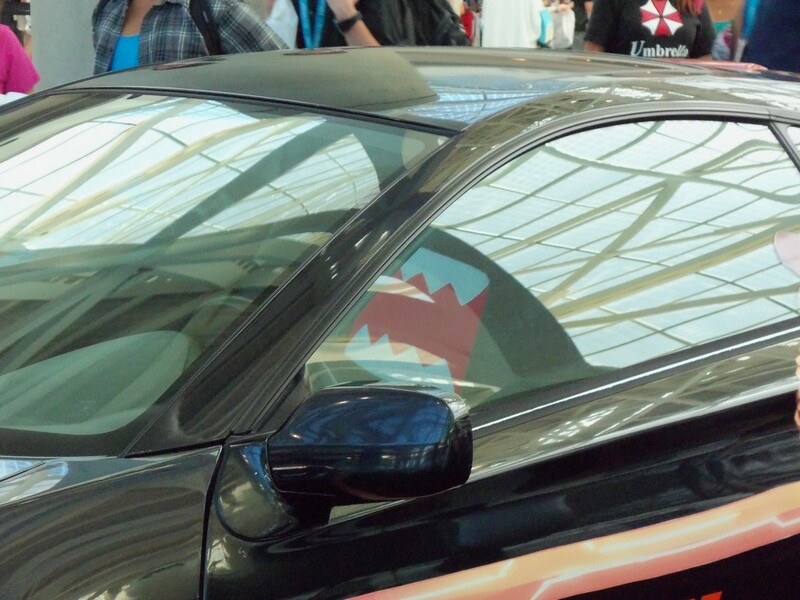 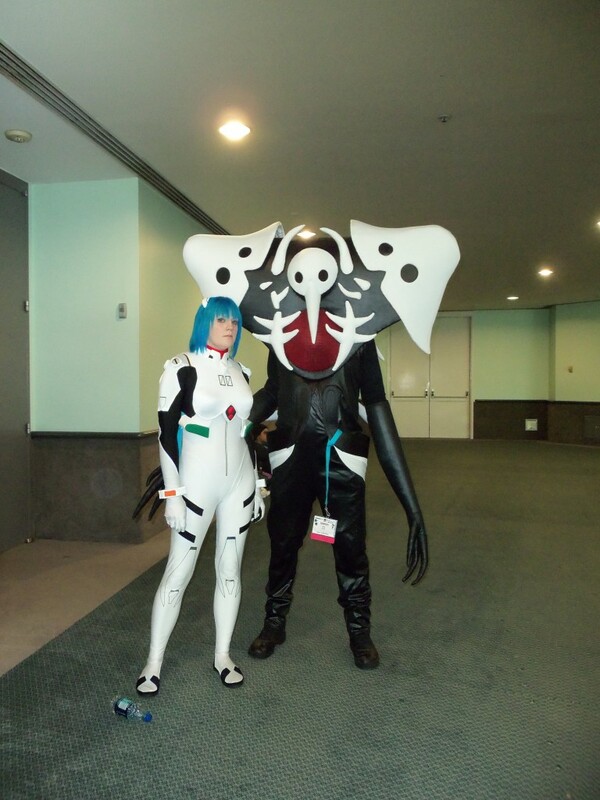 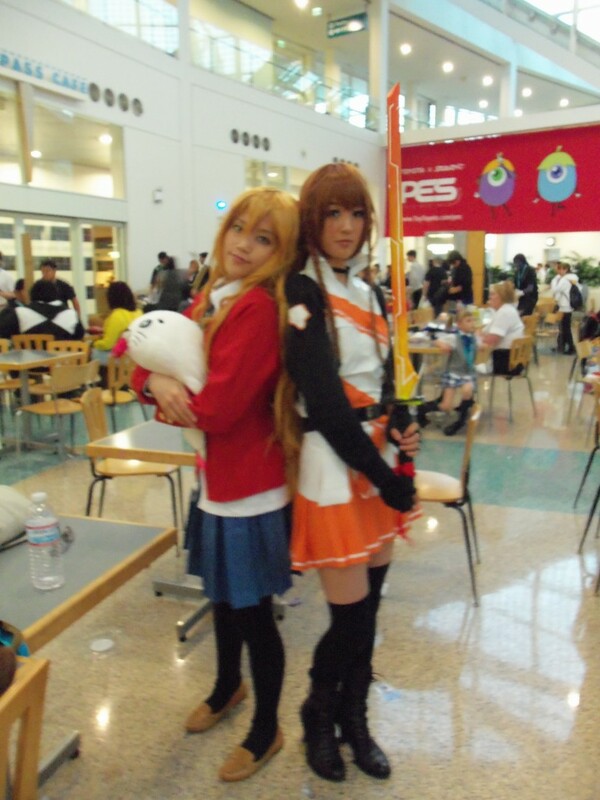 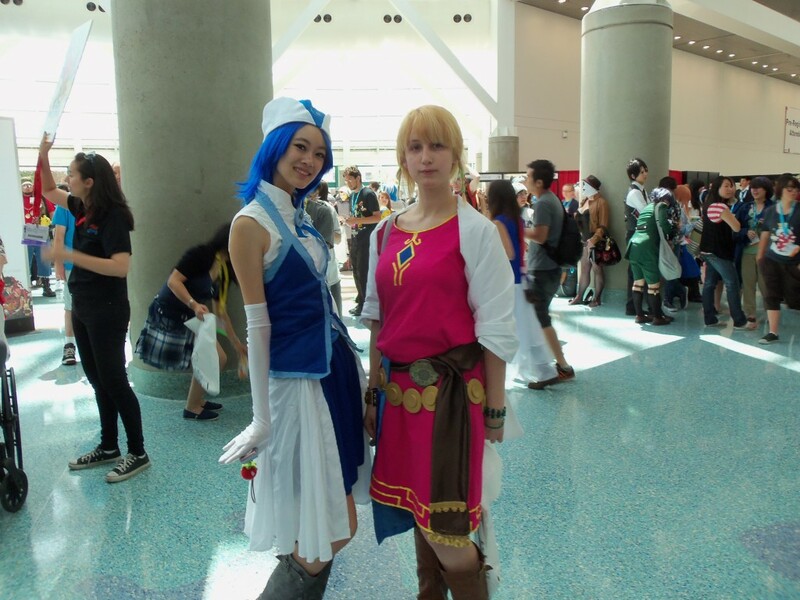 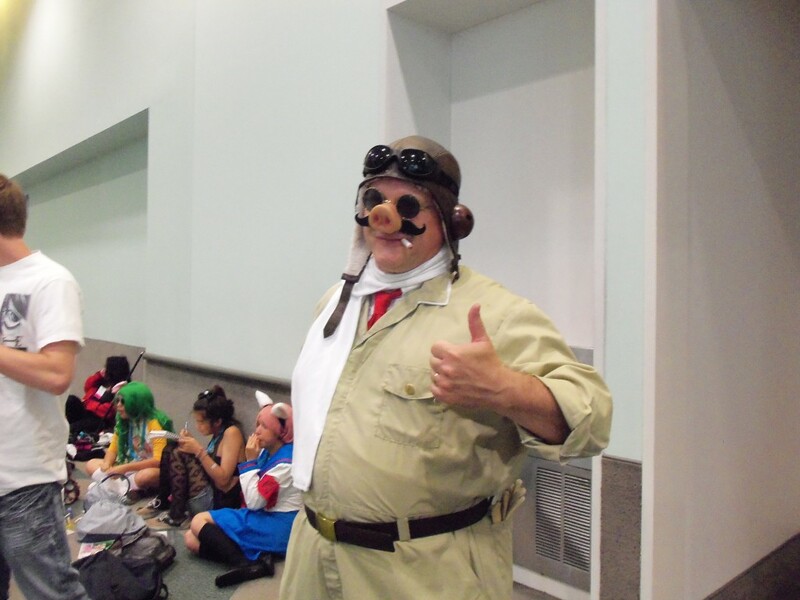 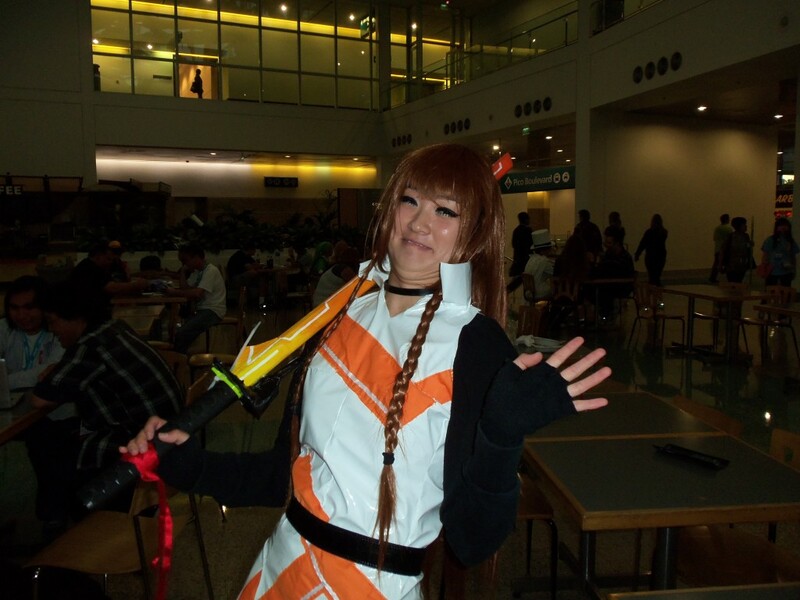 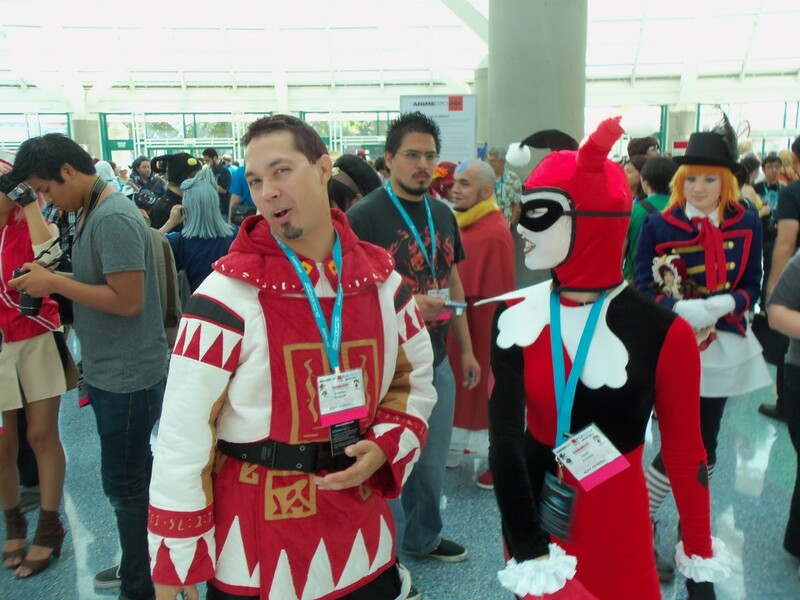 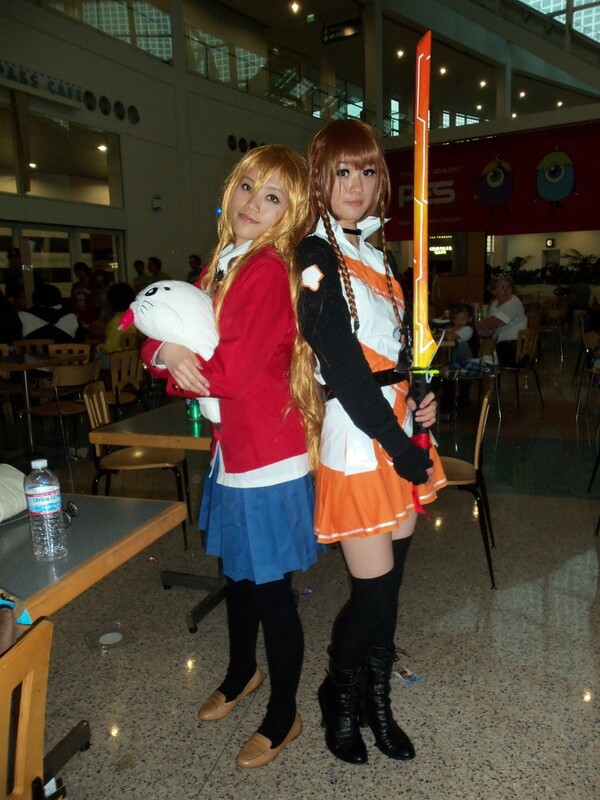 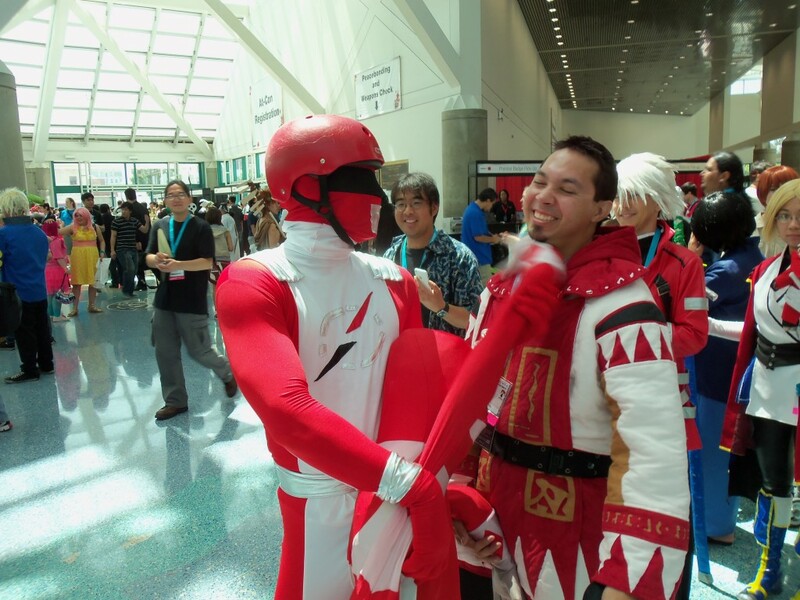 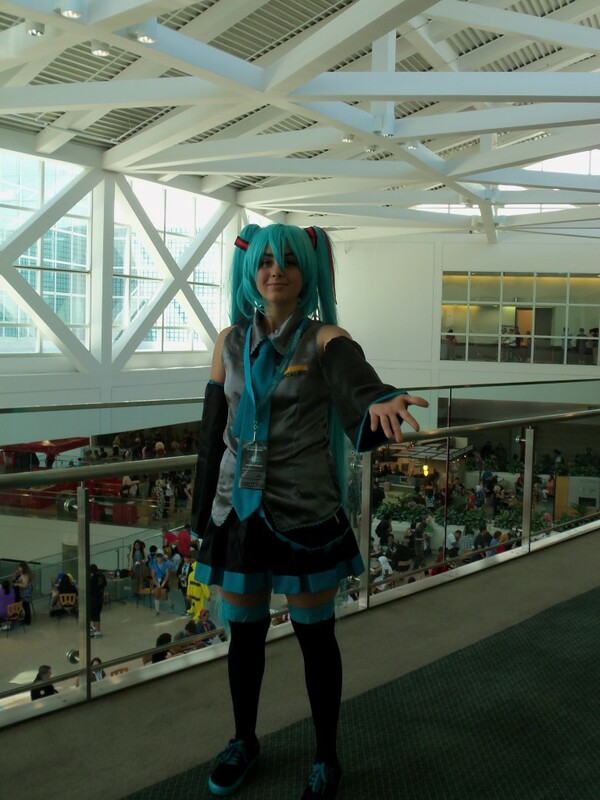 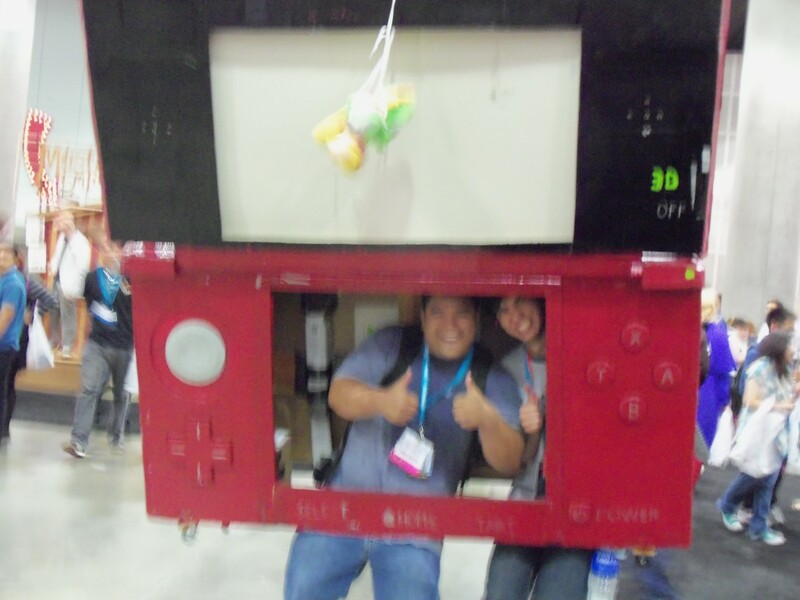 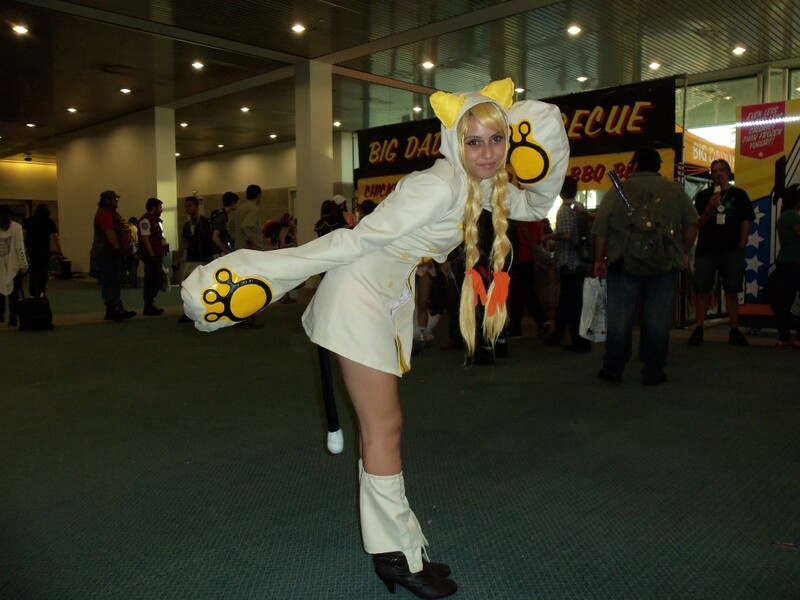 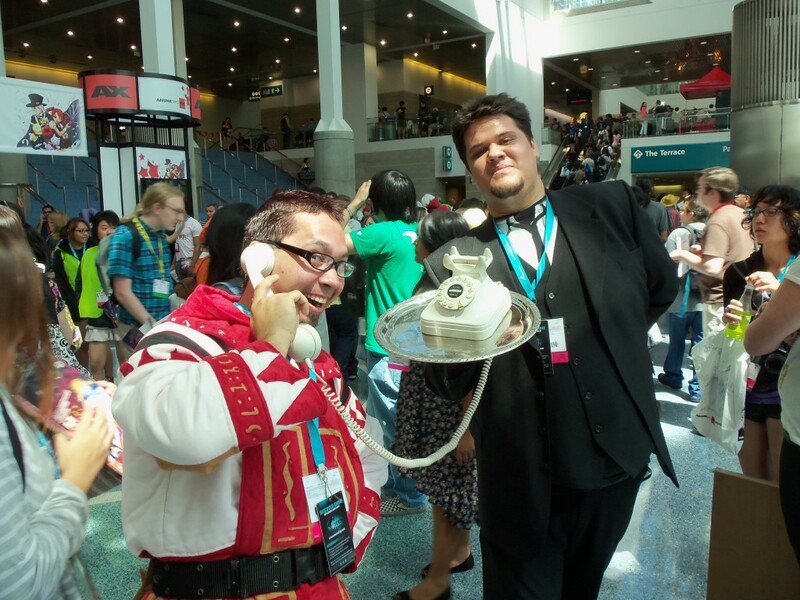 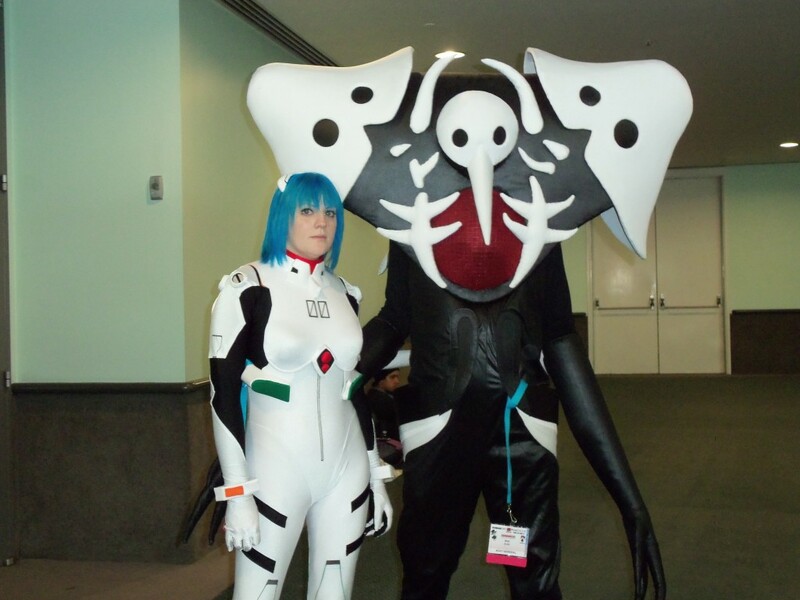 Make sure you check out the gallery below for pictures of cosplayers we got during the day. 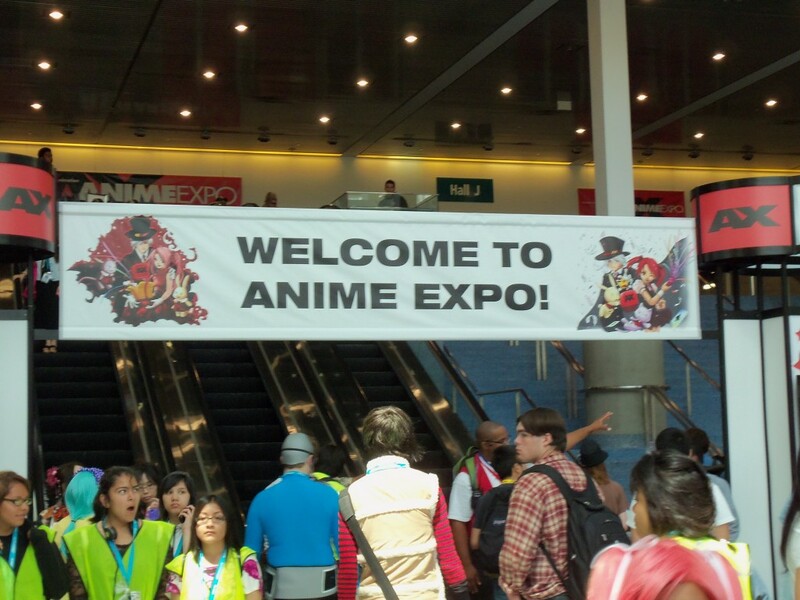 I hope you enjoyed day 1 and keep your eye out for our day 2 and 3 coverage, it should be published very soon! 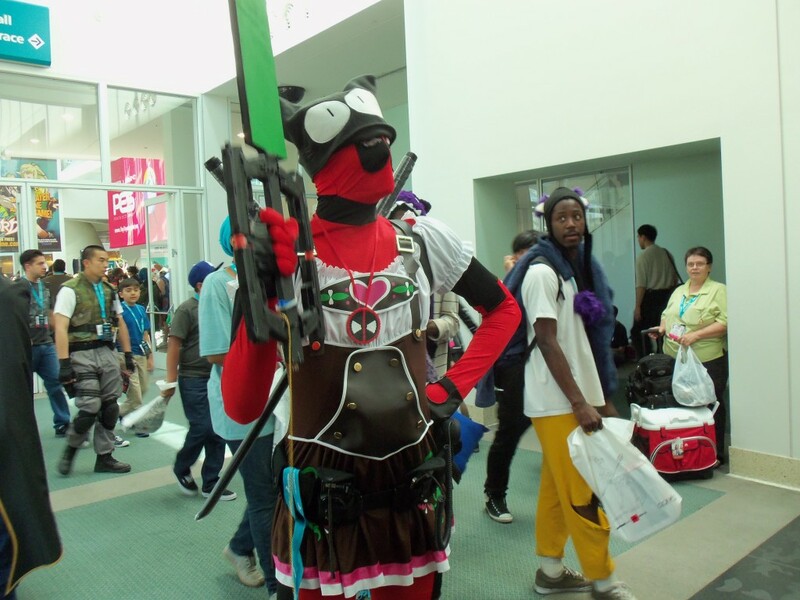 Deedo was shown on Nico Nico TV! 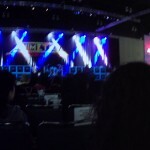 Check out this video of his interview! 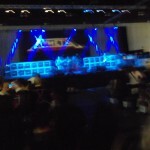 Sorry about the sound quality, this was taken at the very last second.